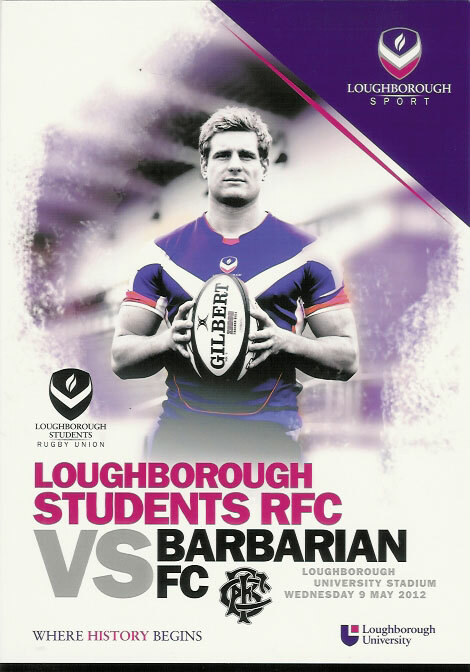 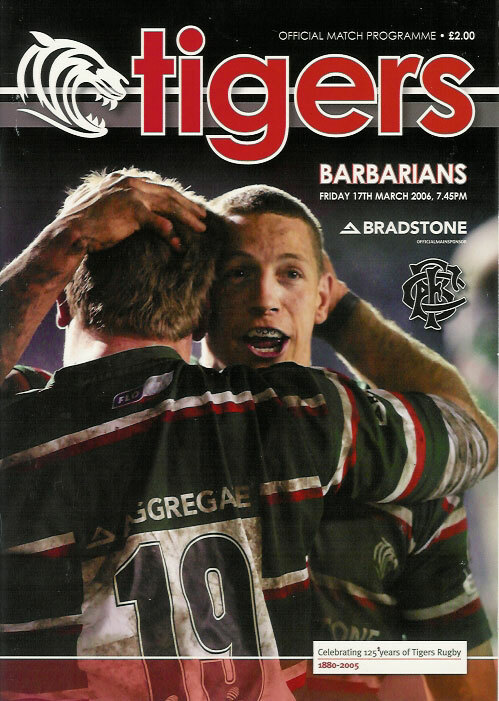 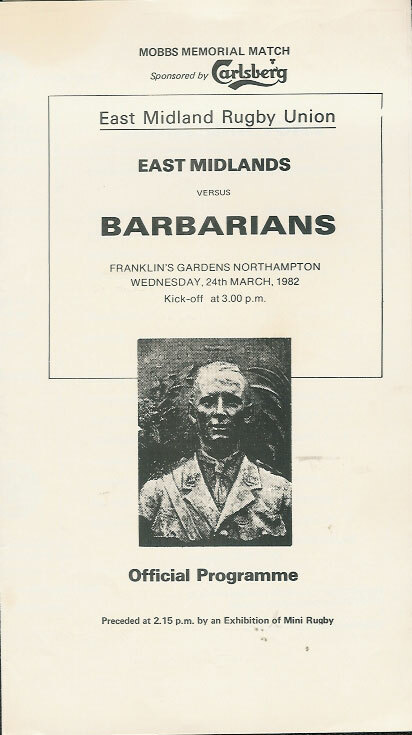 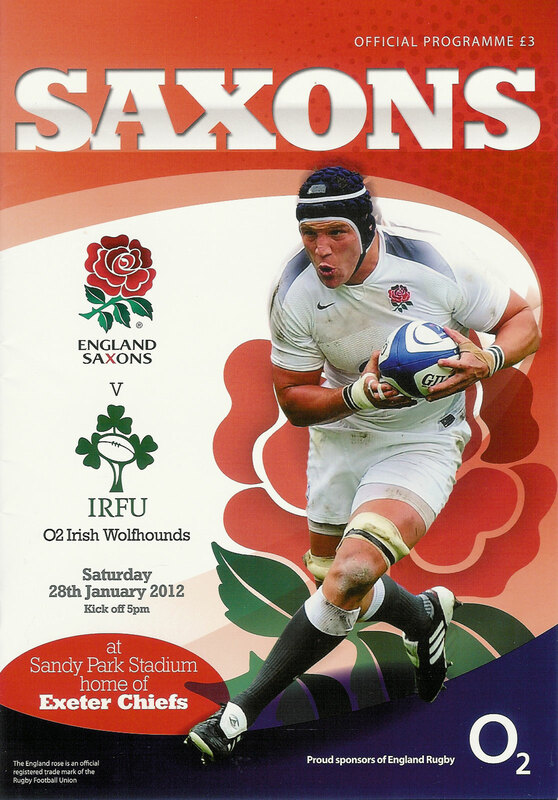 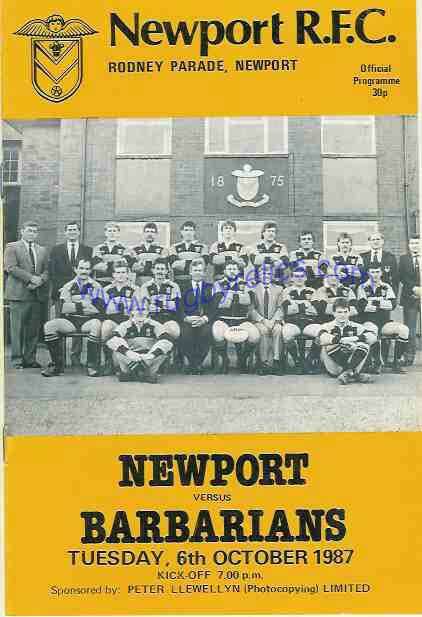 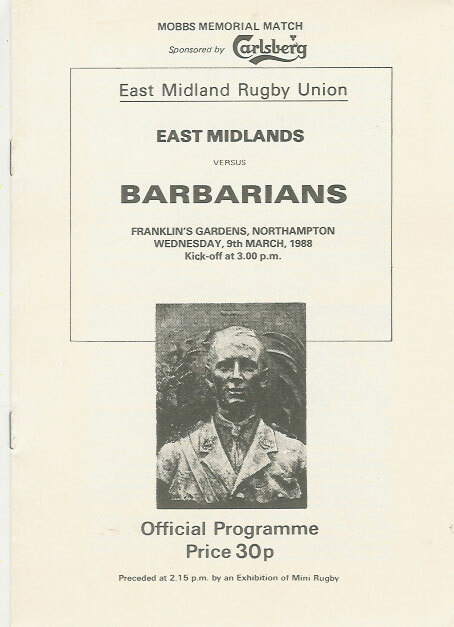 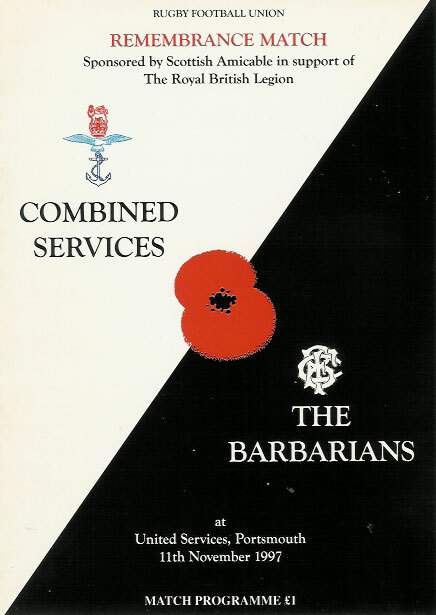 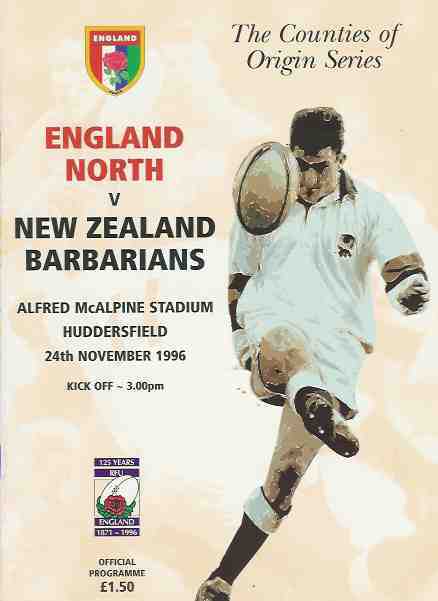 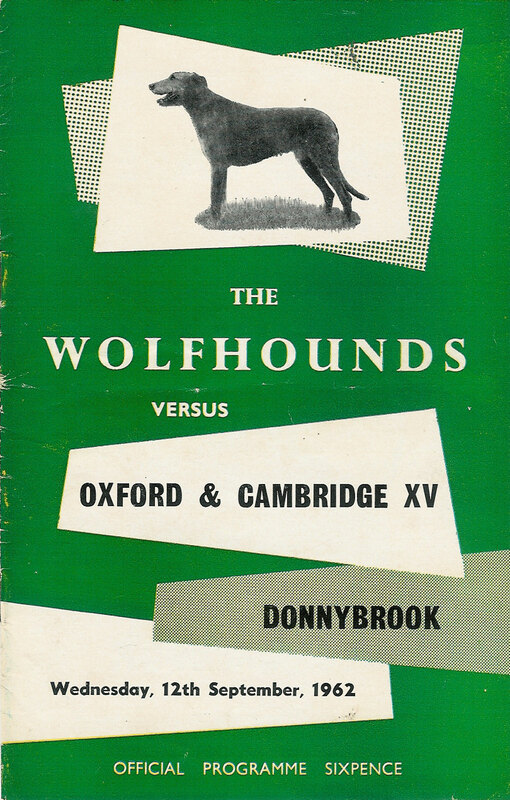 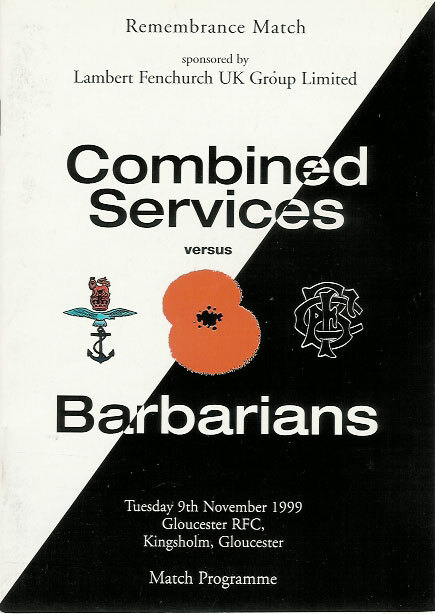 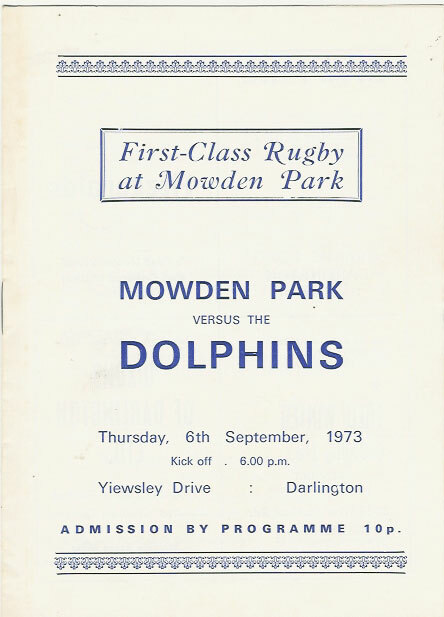 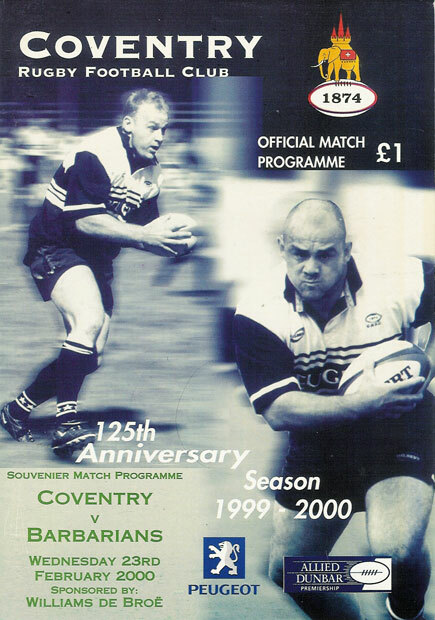 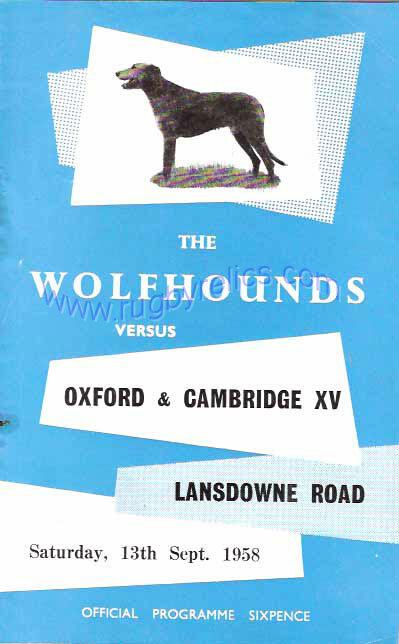 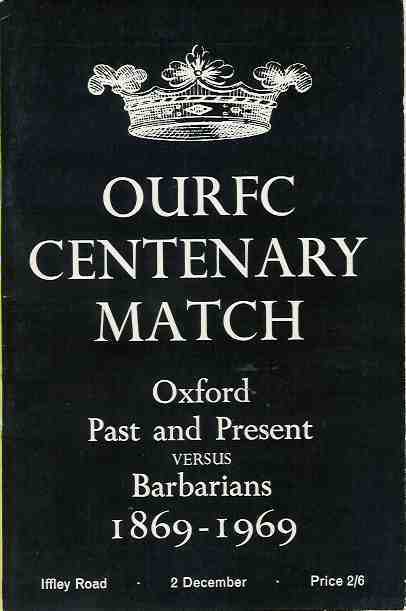 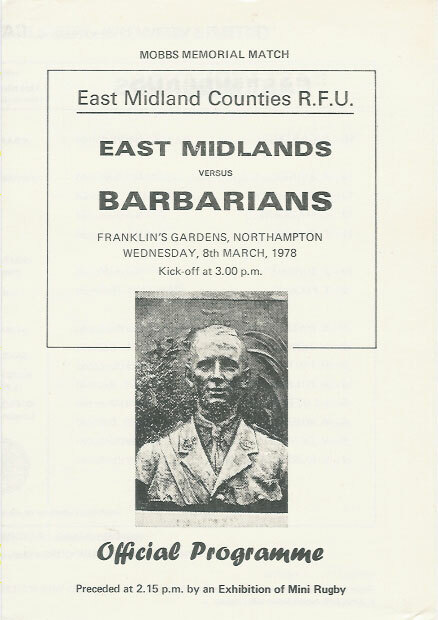 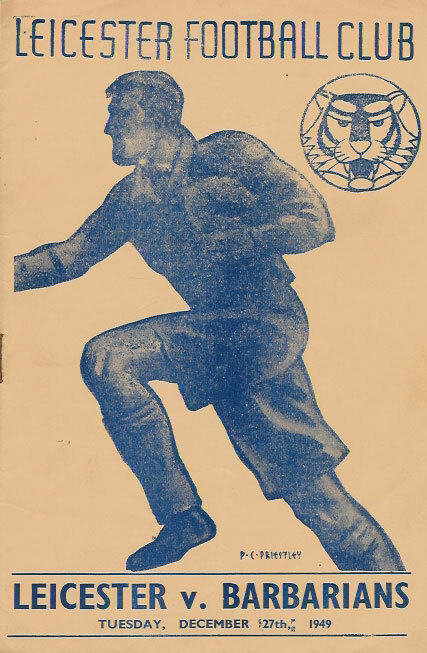 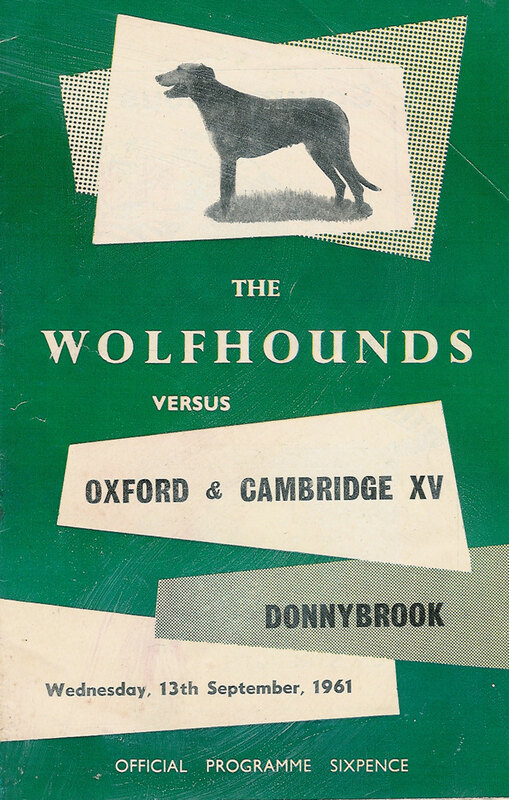 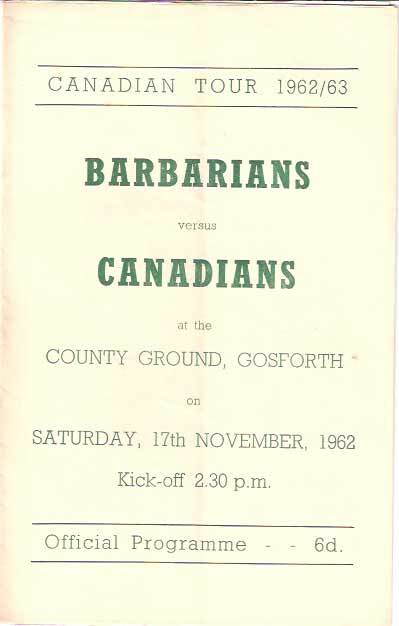 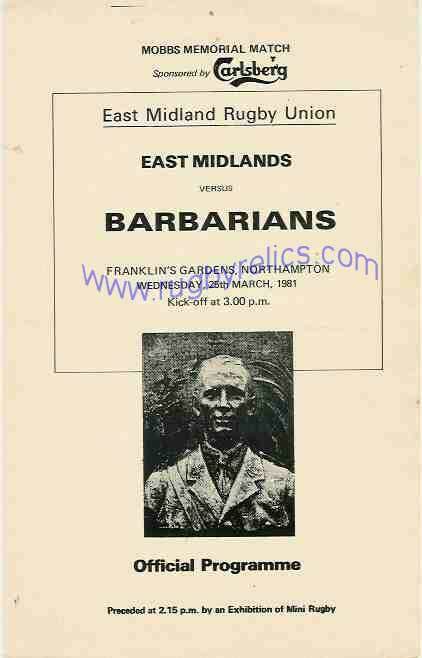 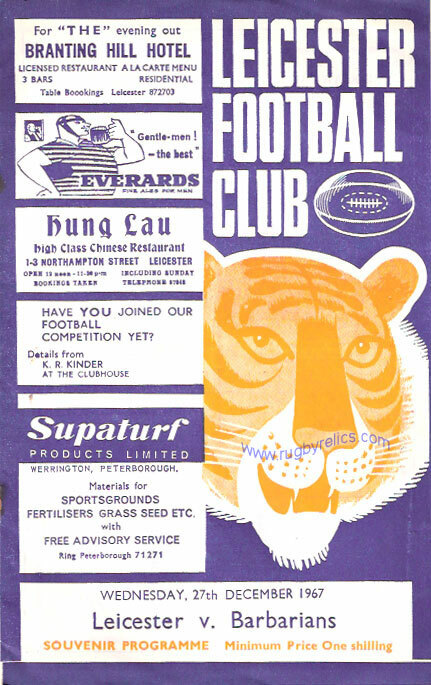 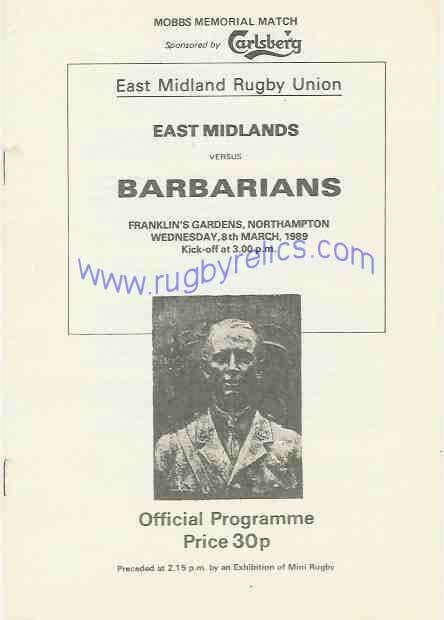 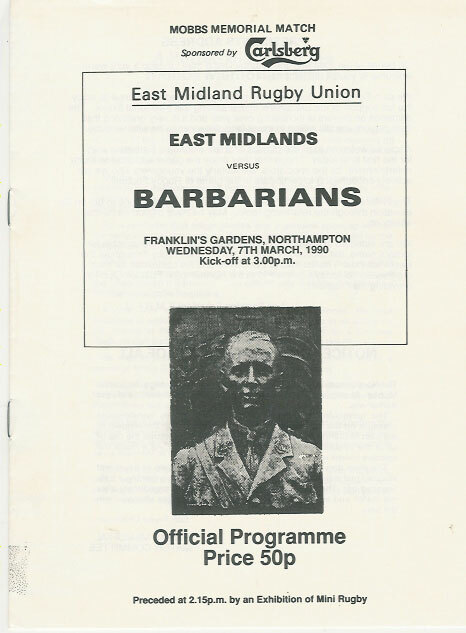 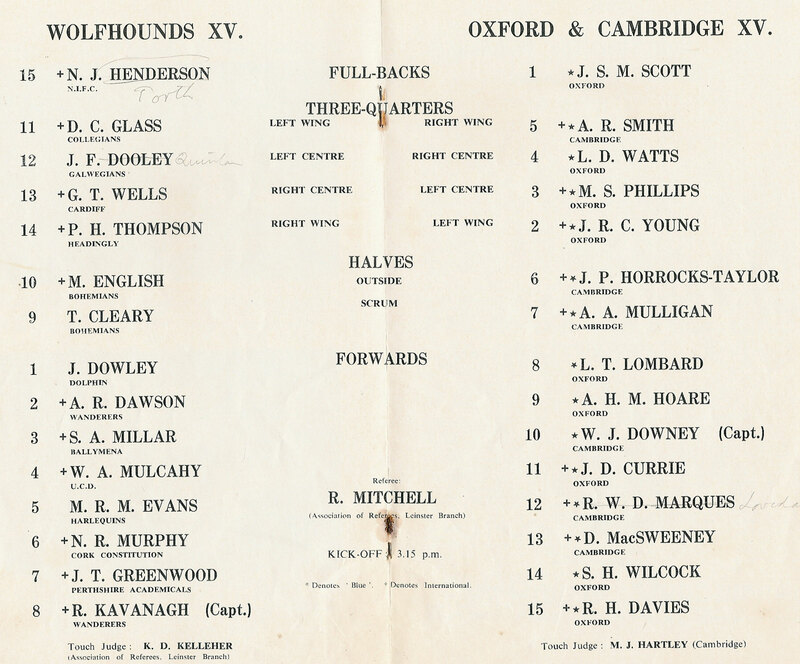 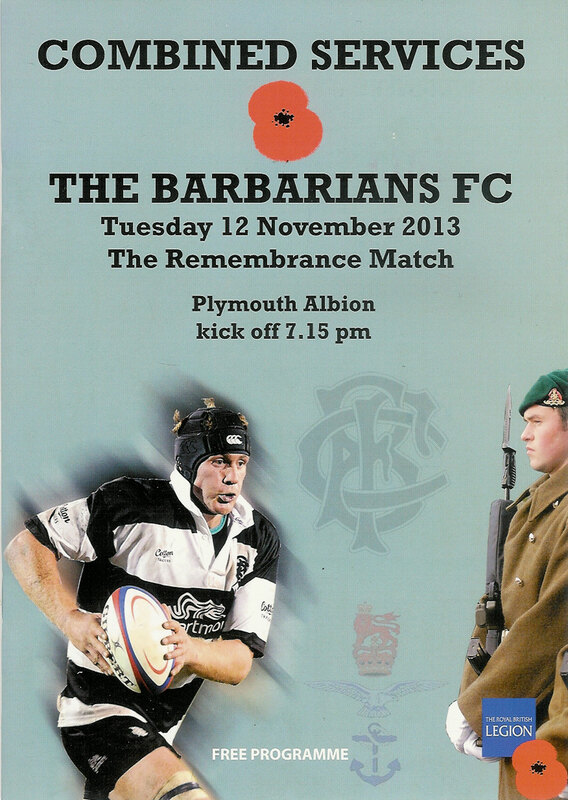 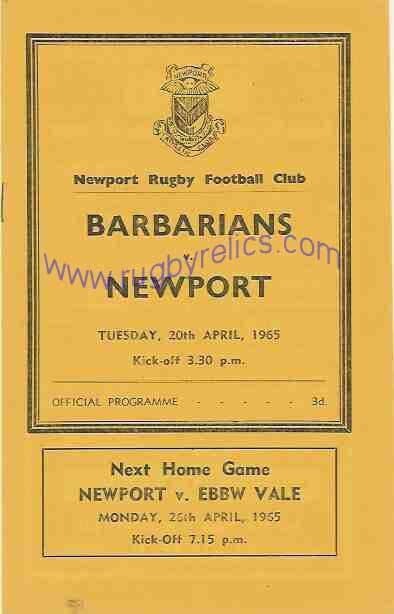 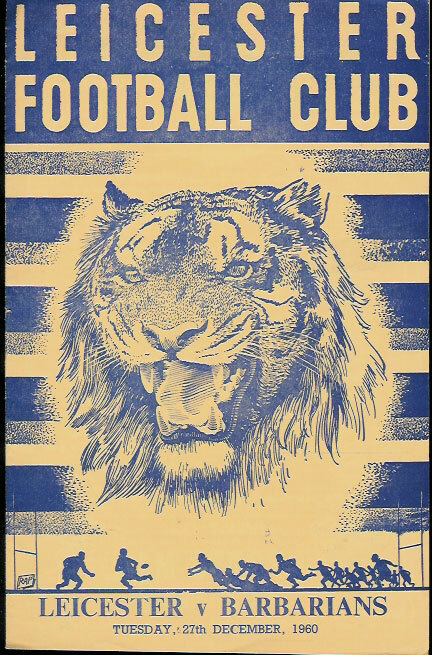 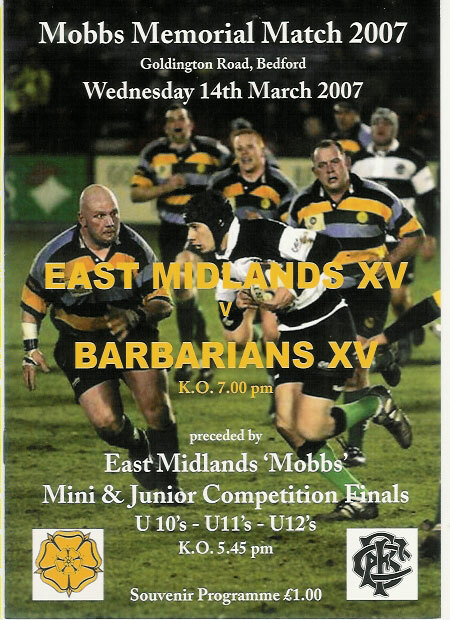 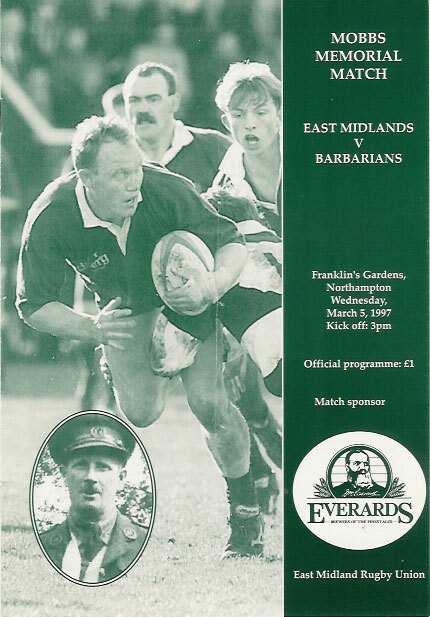 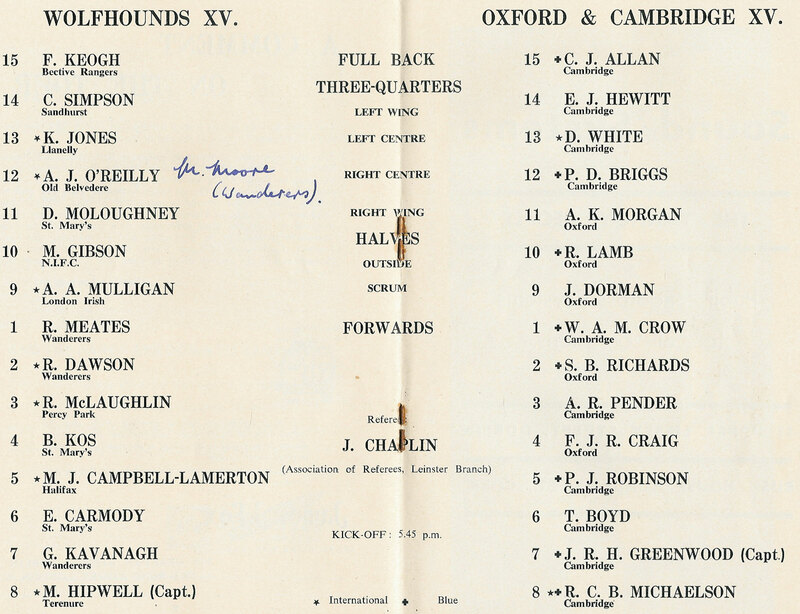 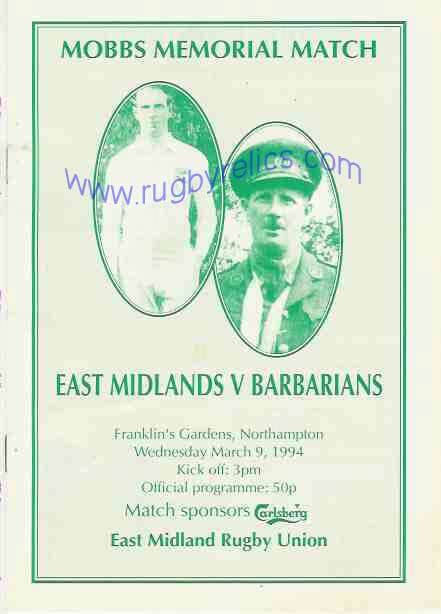 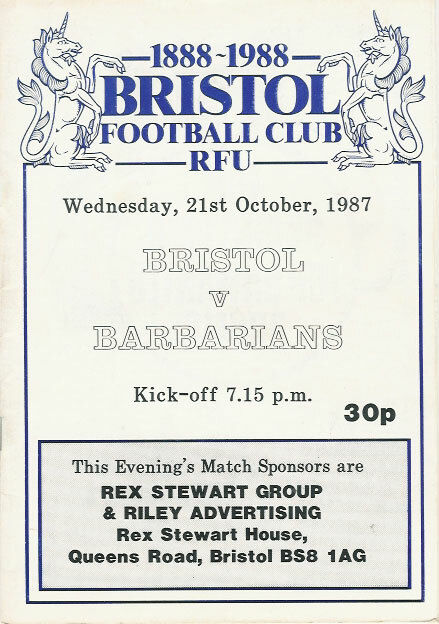 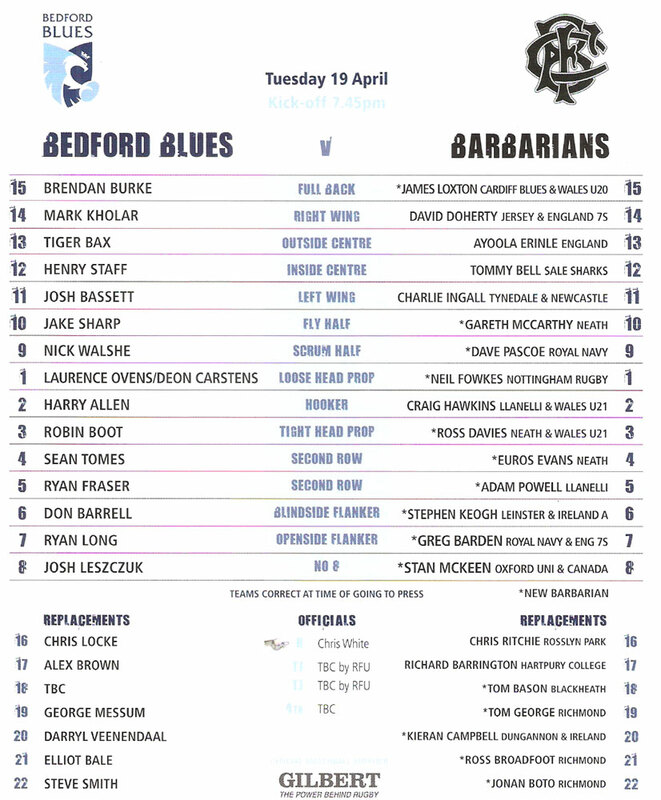 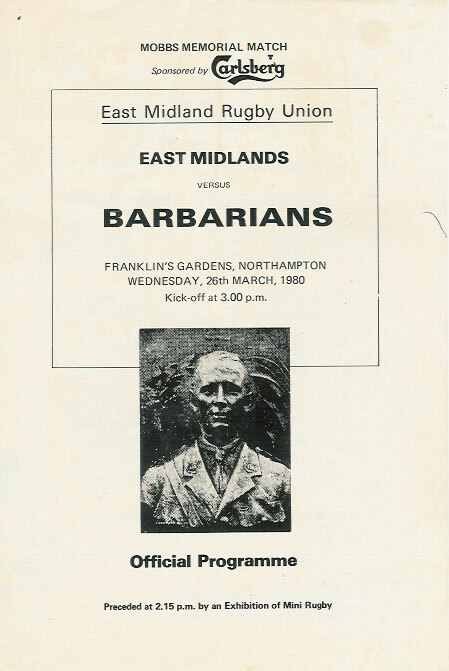 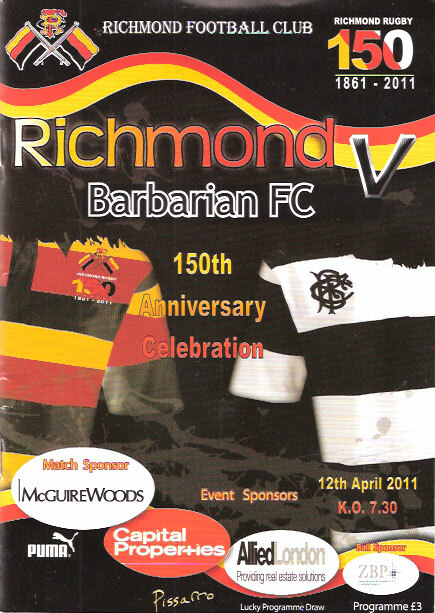 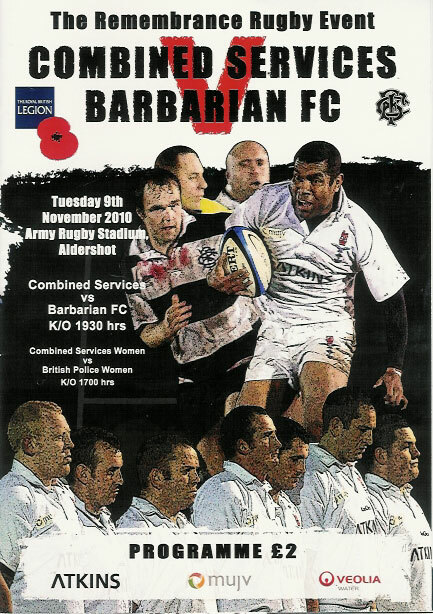 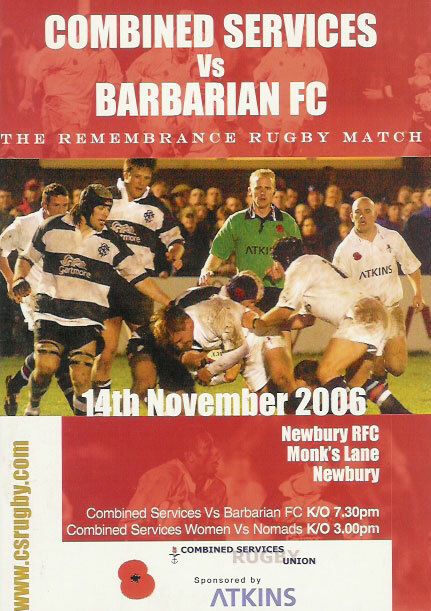 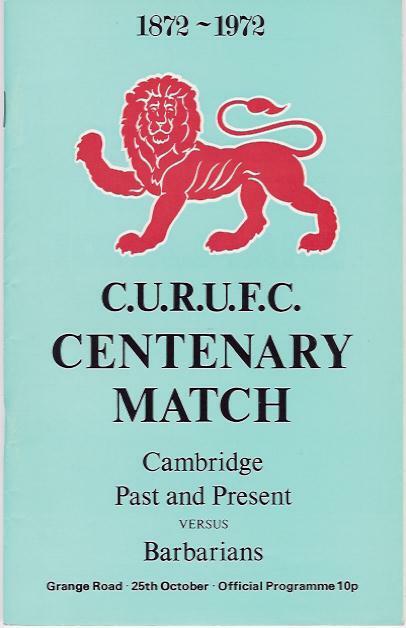 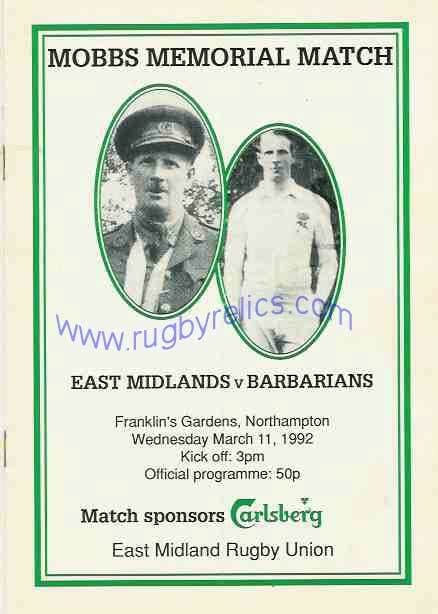 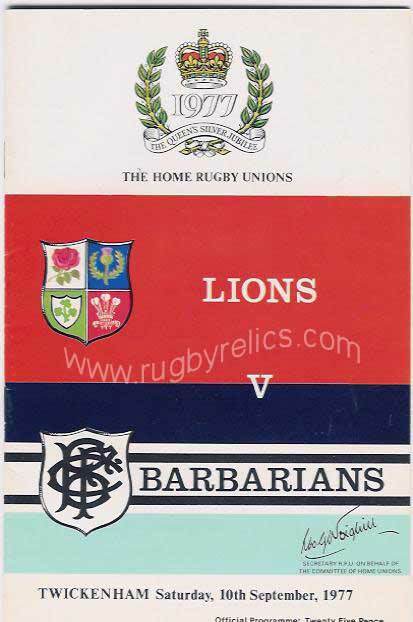 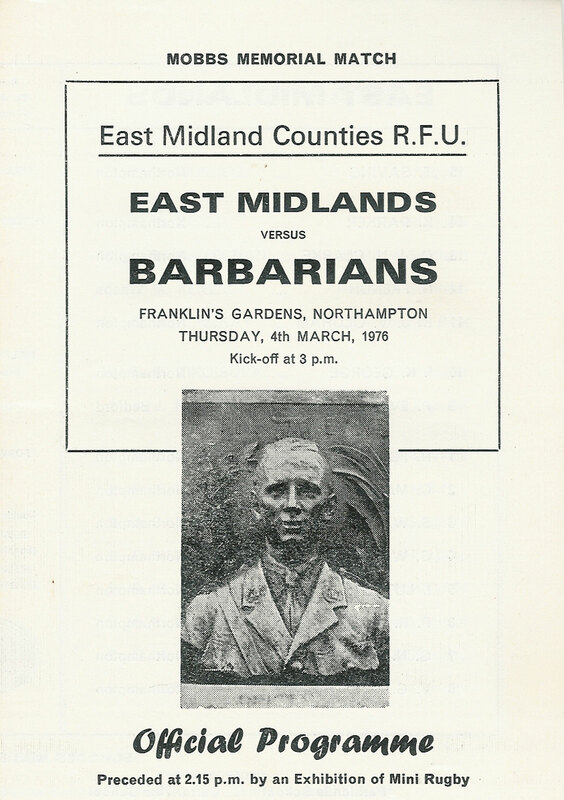 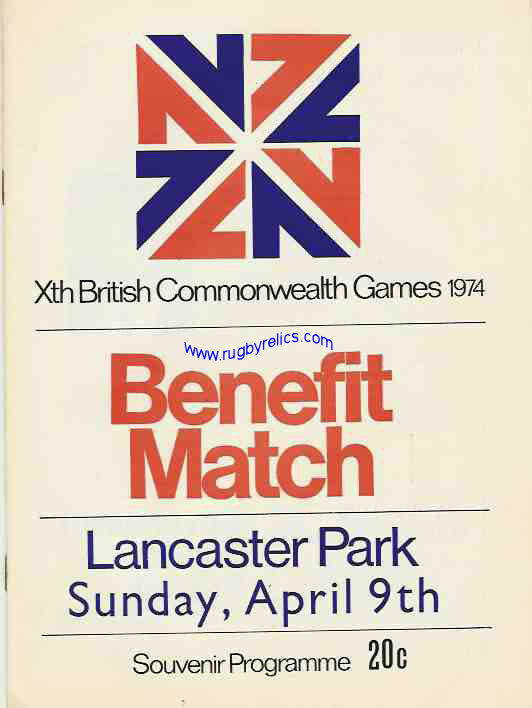 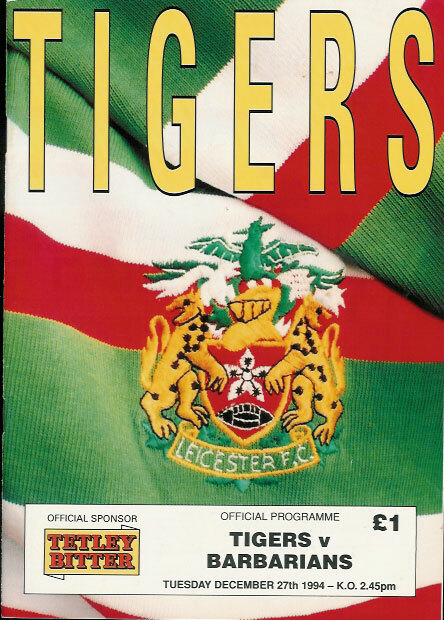 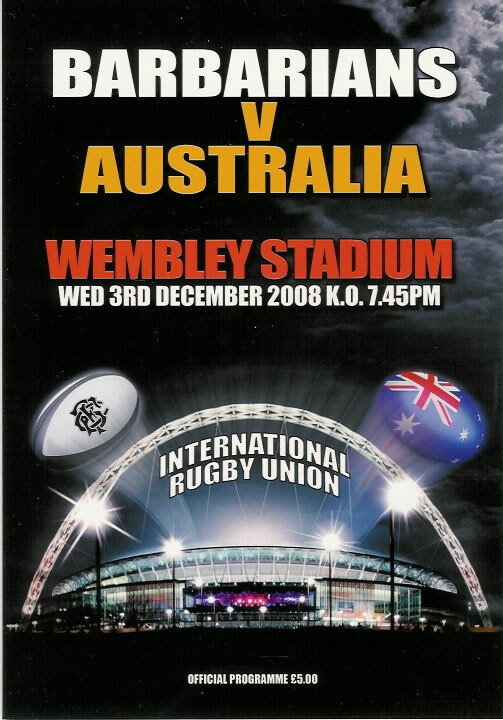 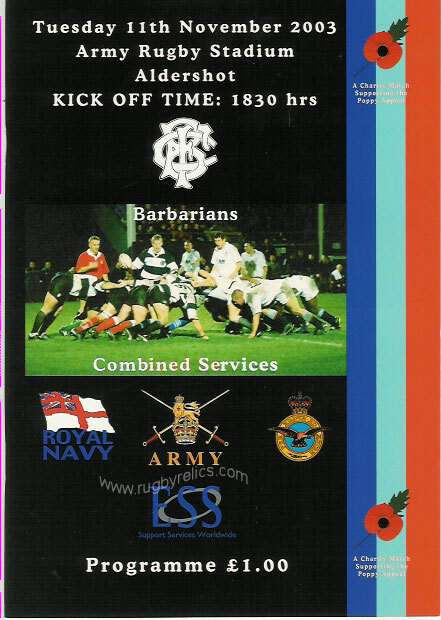 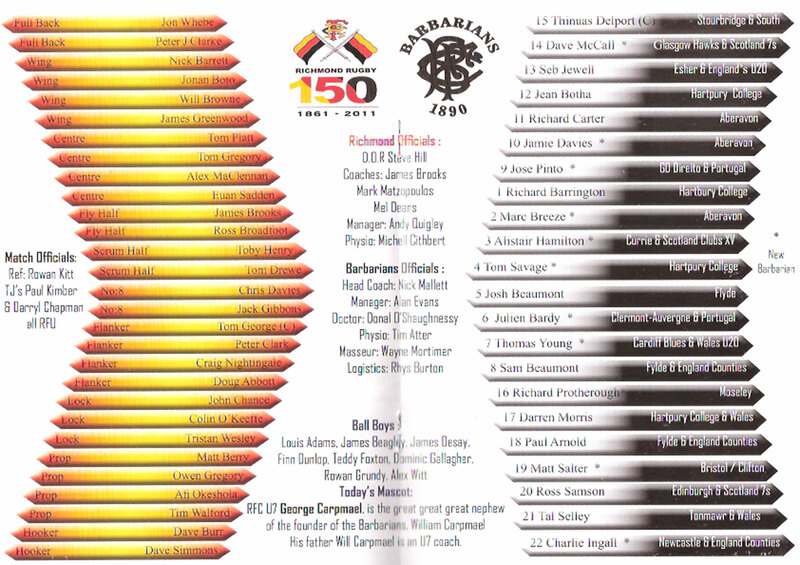 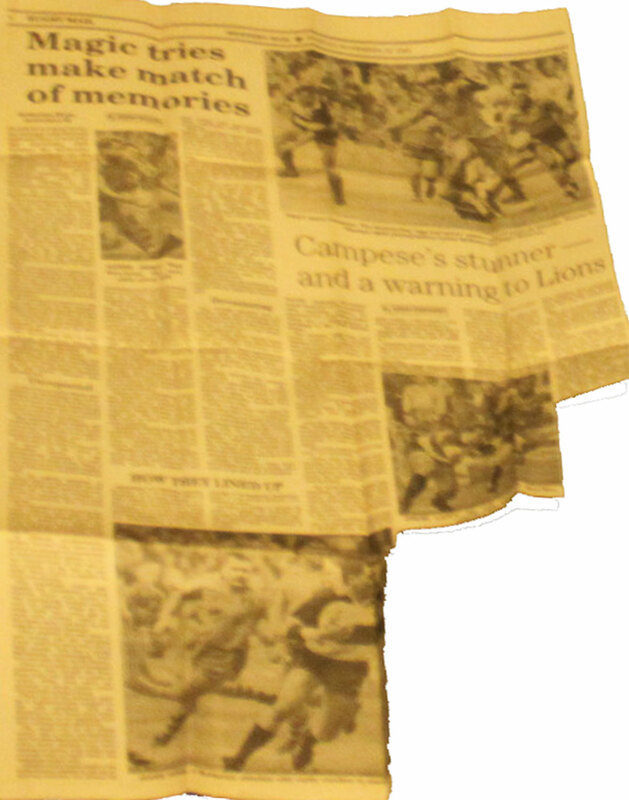 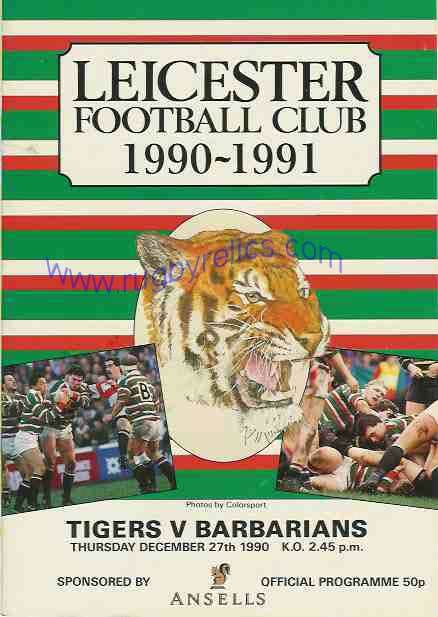 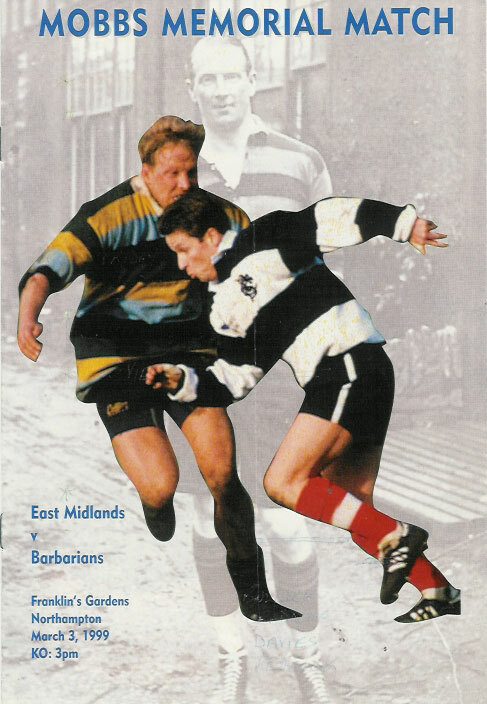 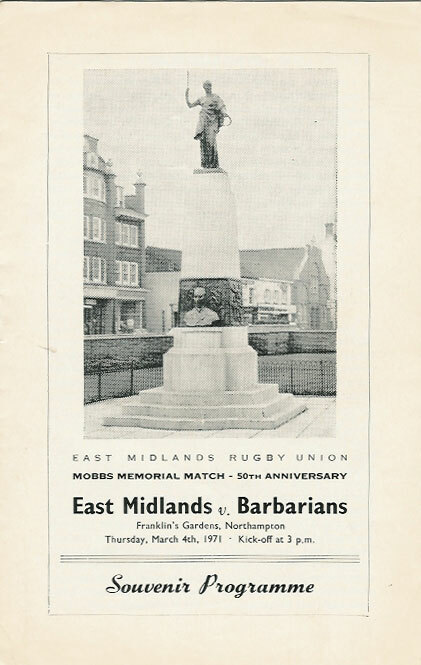 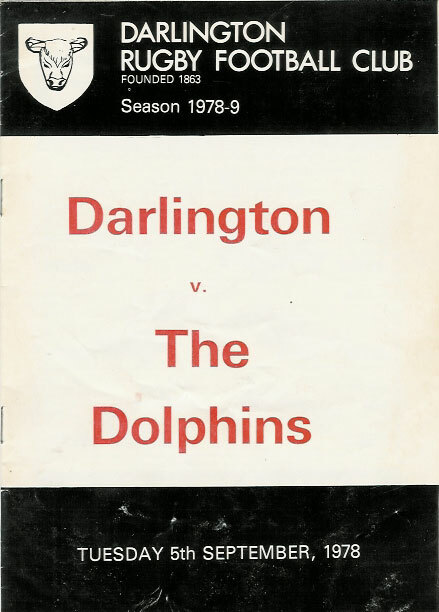 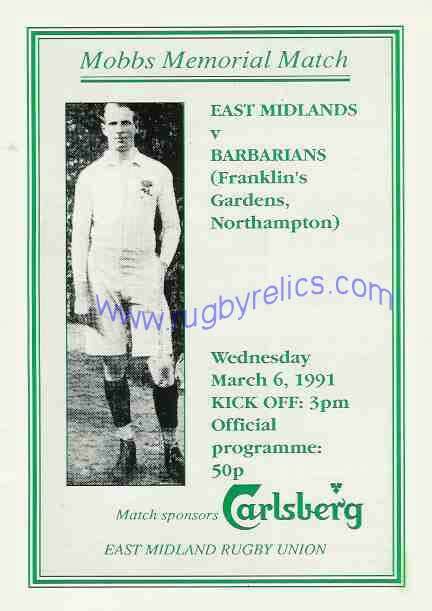 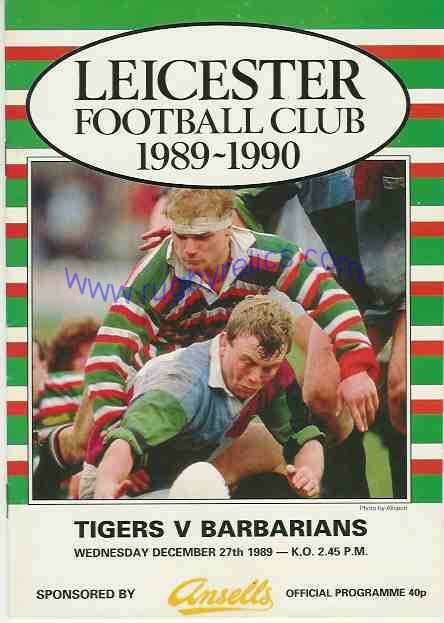 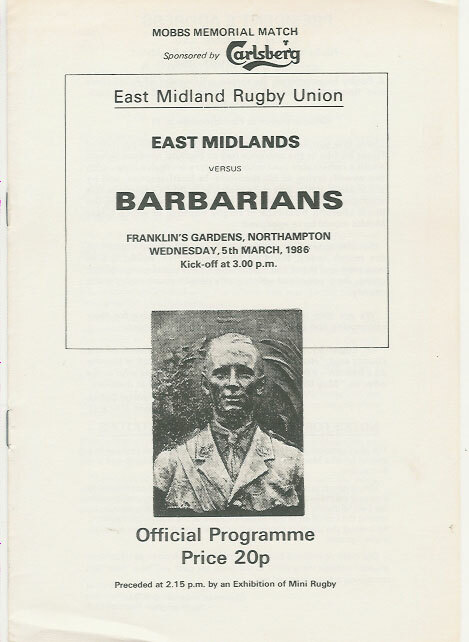 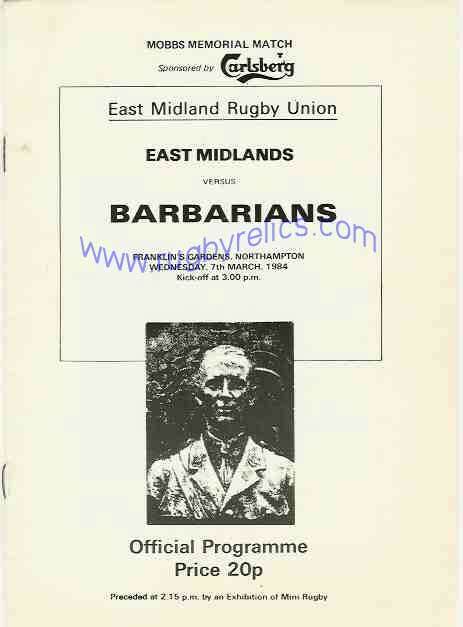 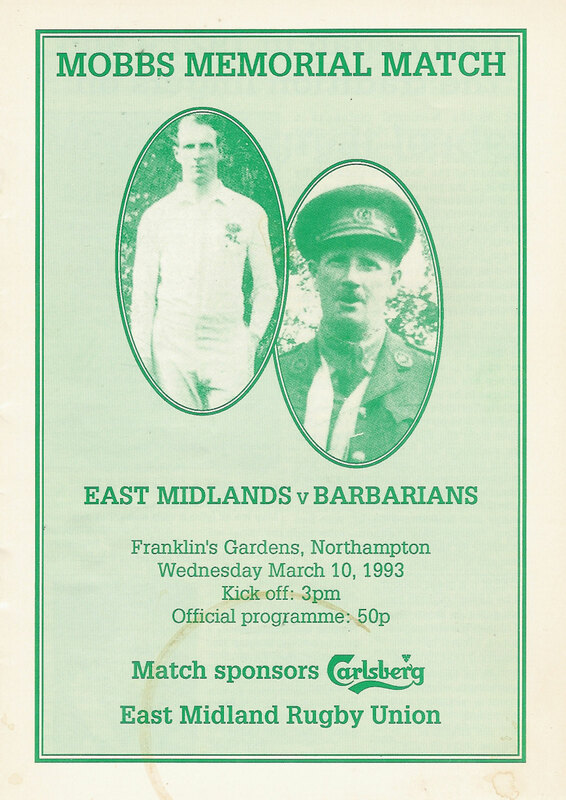 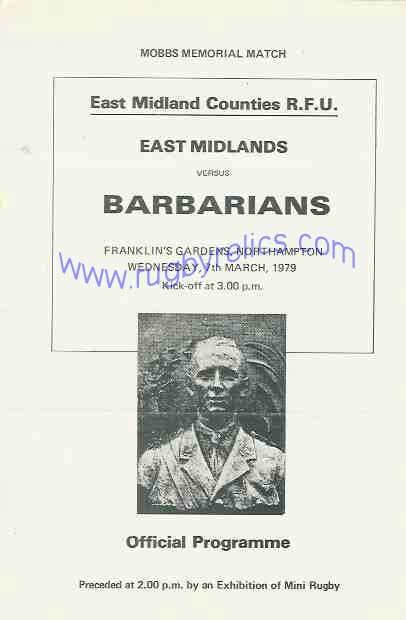 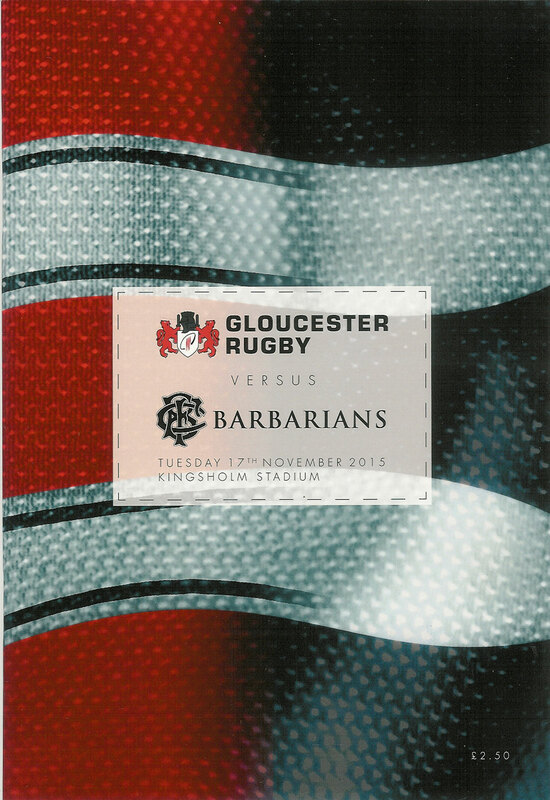 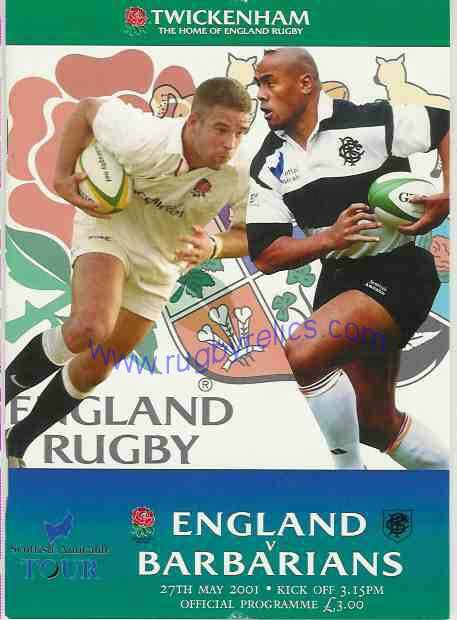 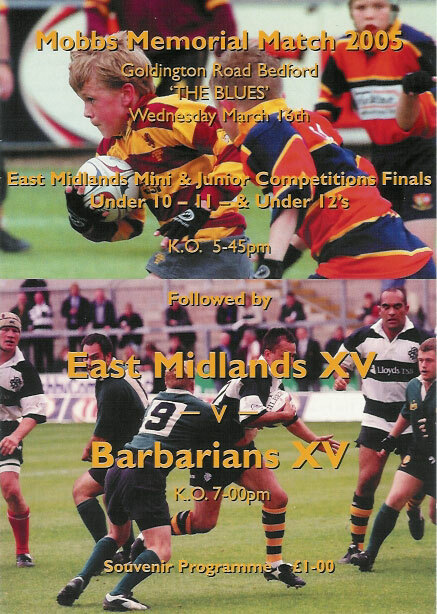 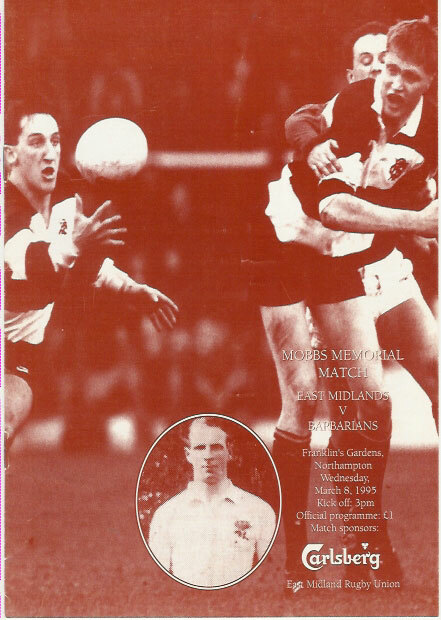 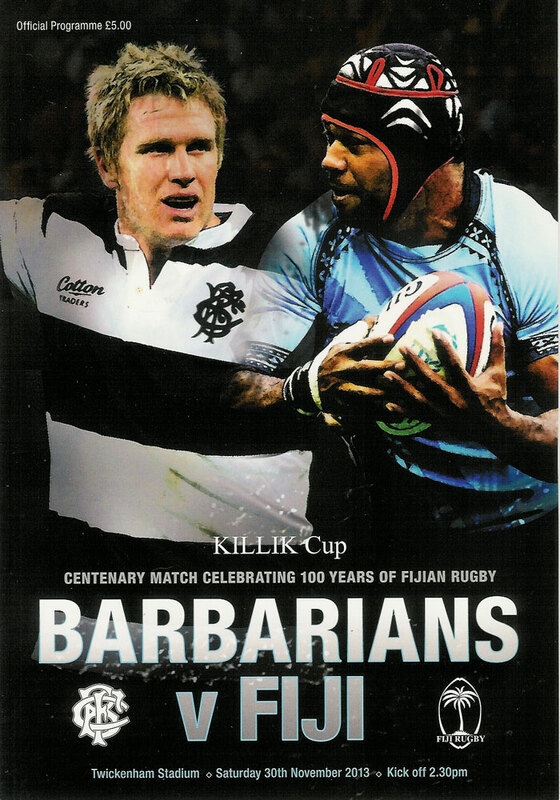 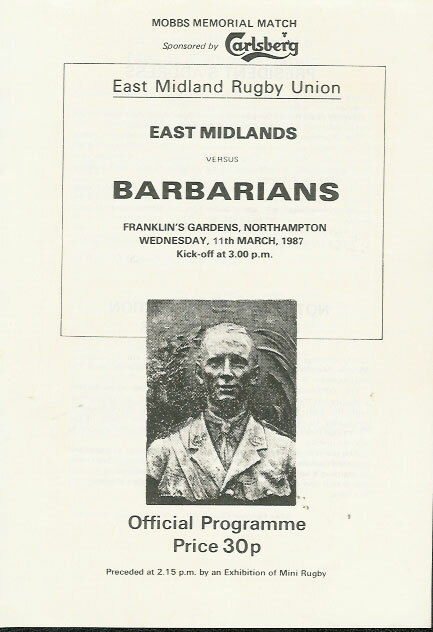 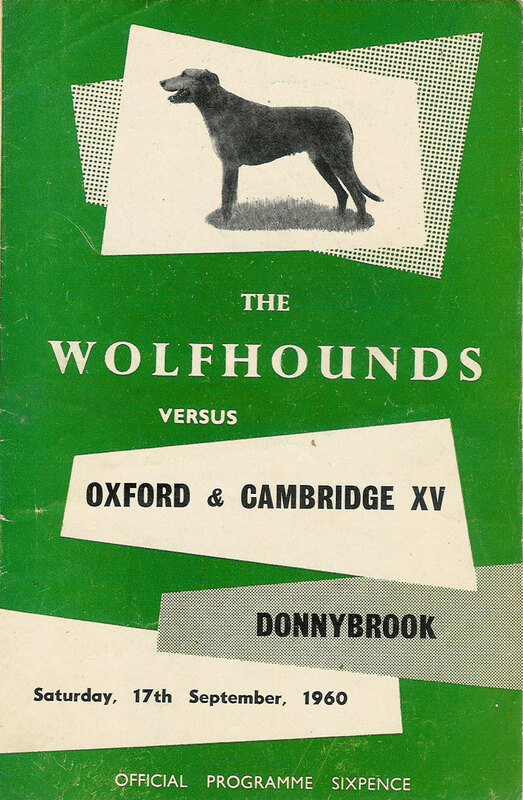 ENGLAND v BARBARIANS programmes are catalogued on the ENGLAND INTERNATIONAL PROGRAMMES page. 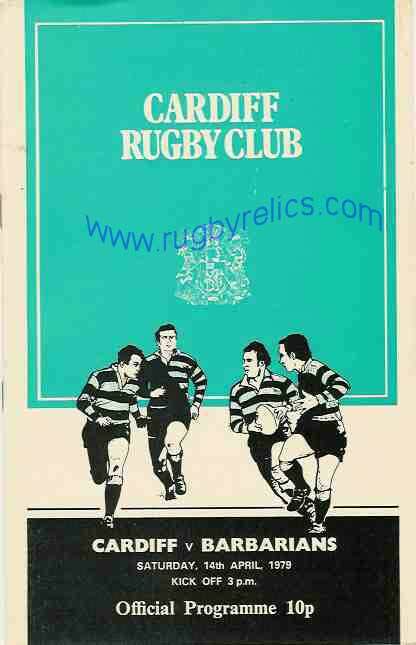 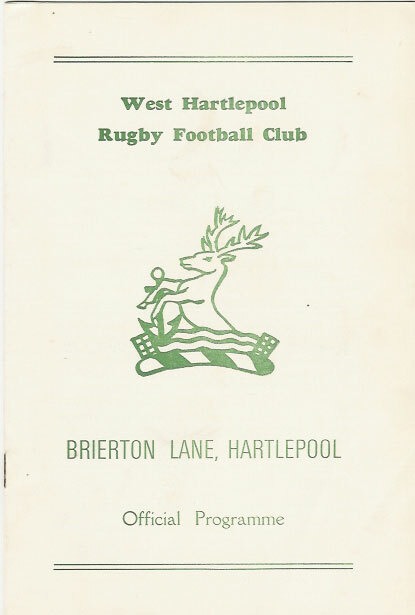 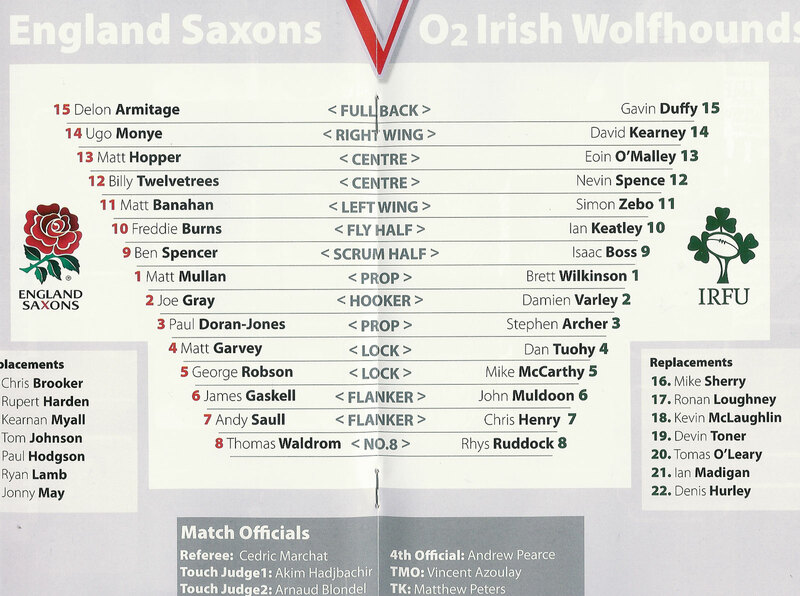 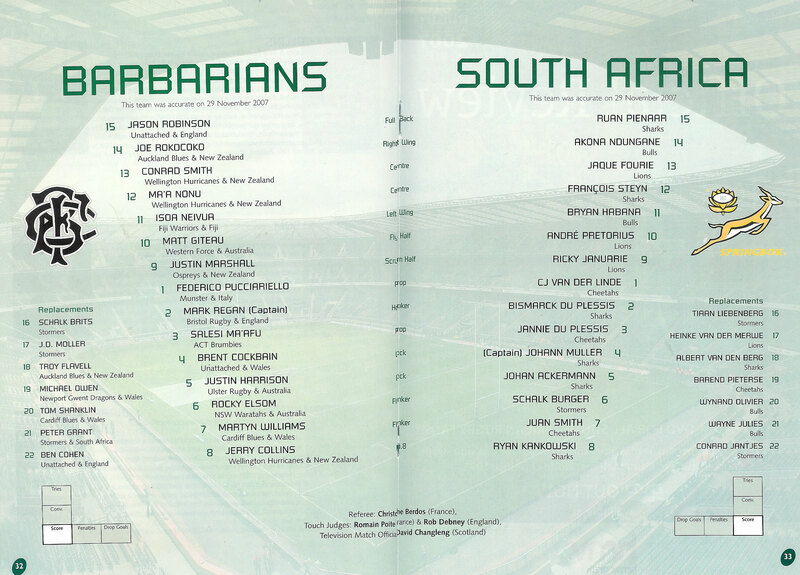 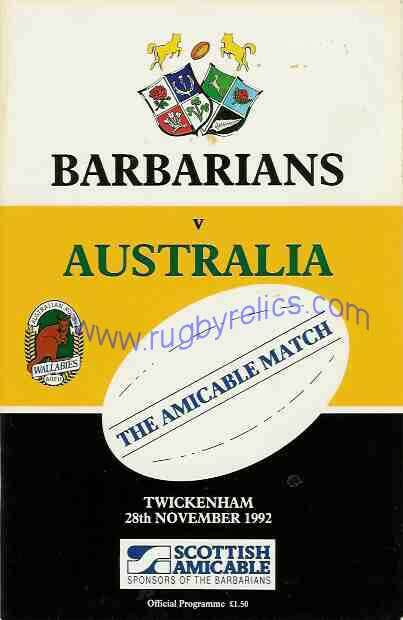 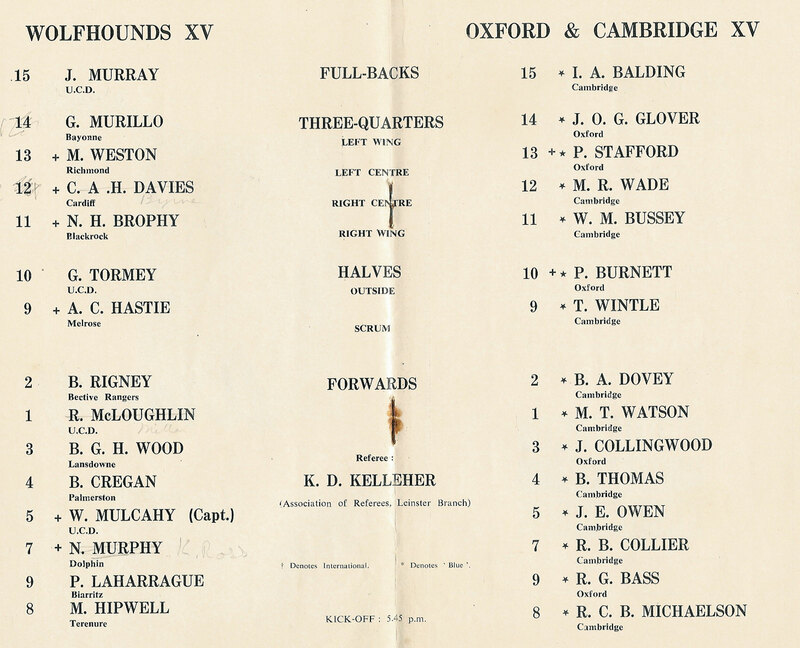 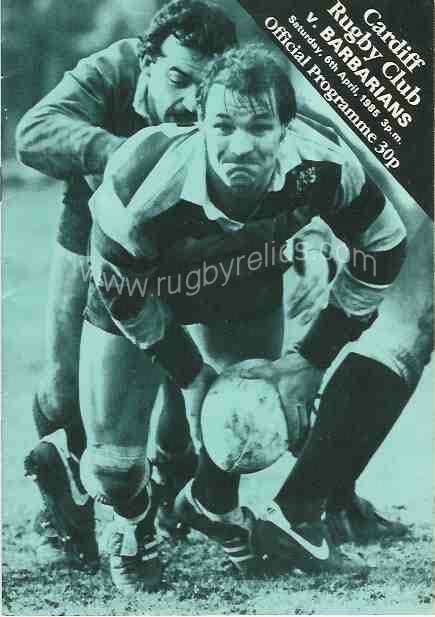 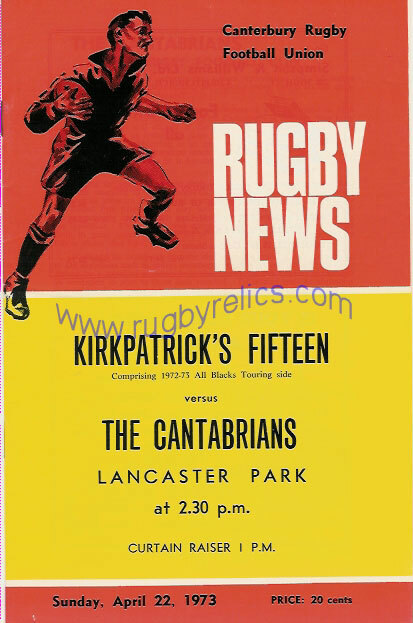 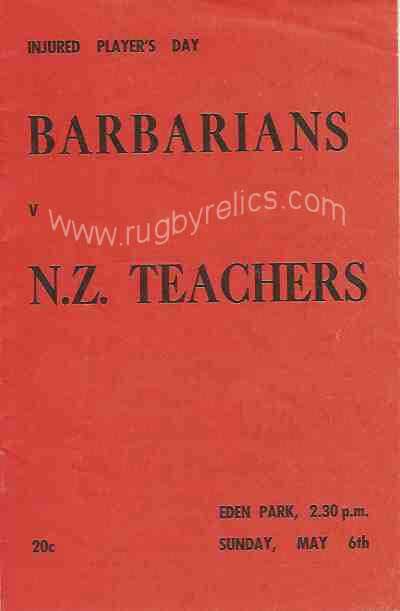 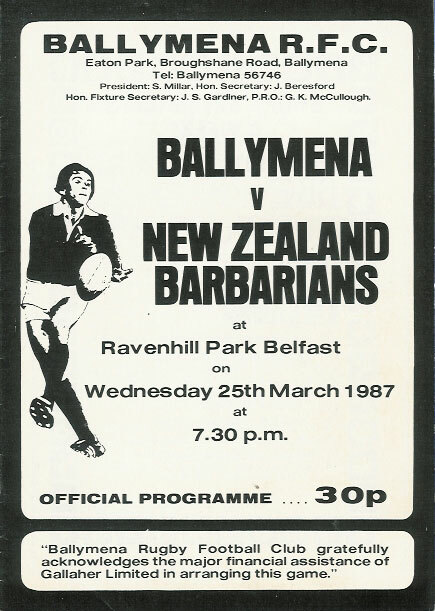 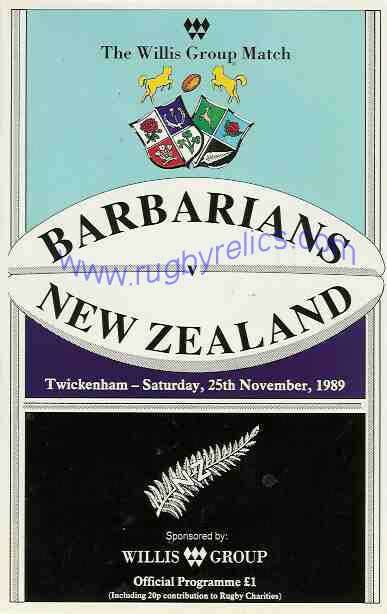 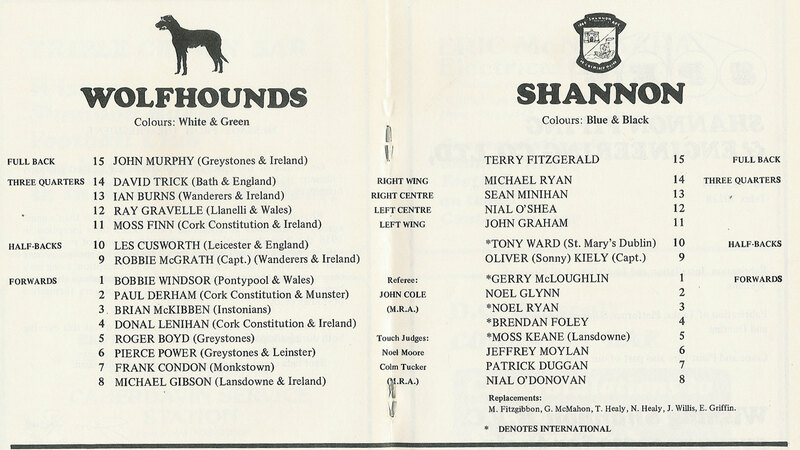 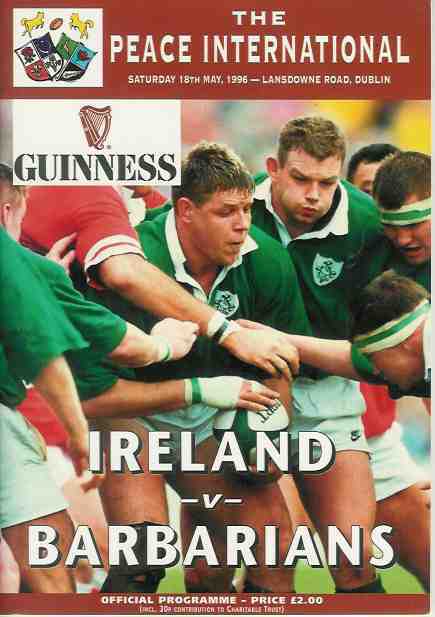 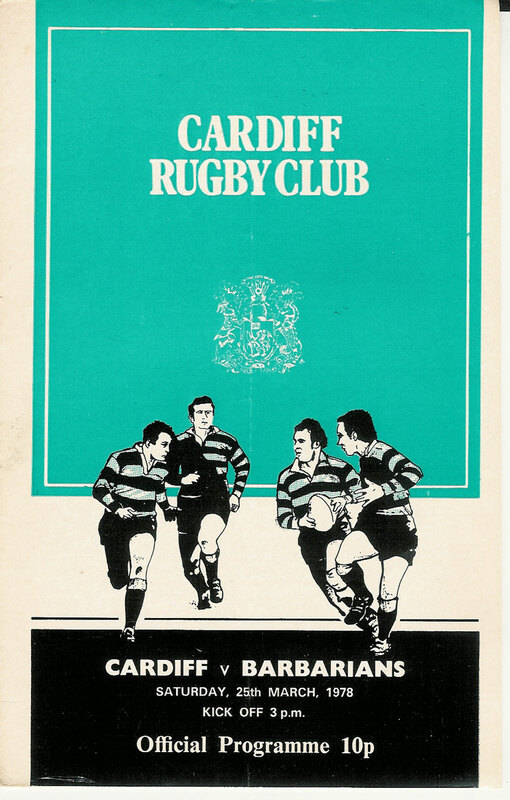 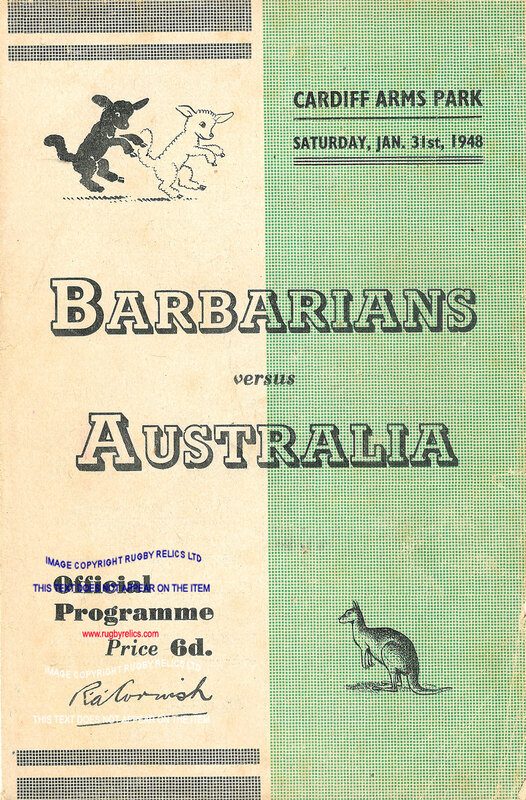 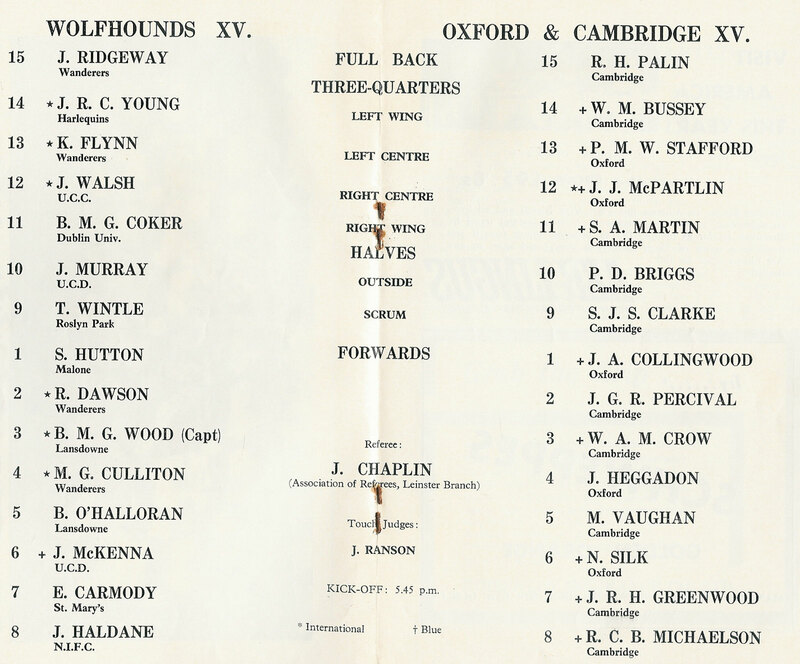 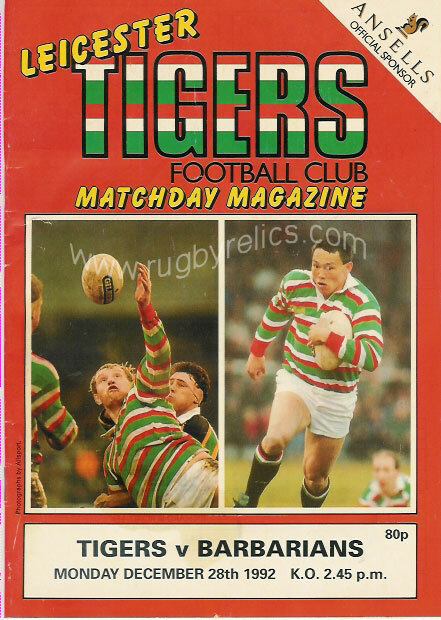 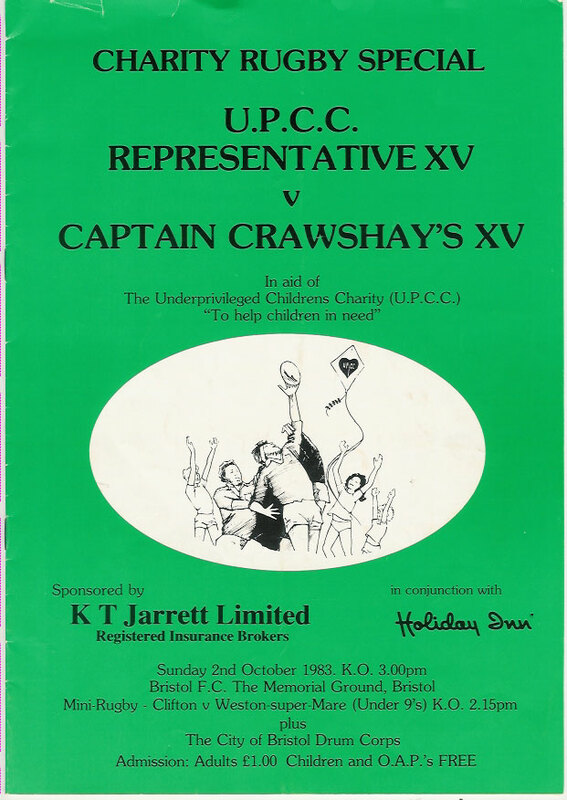 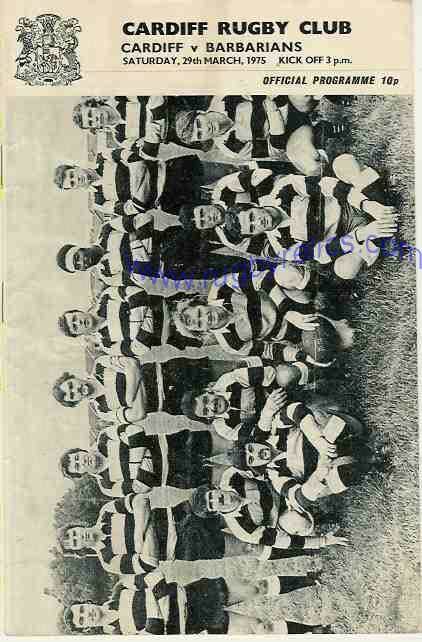 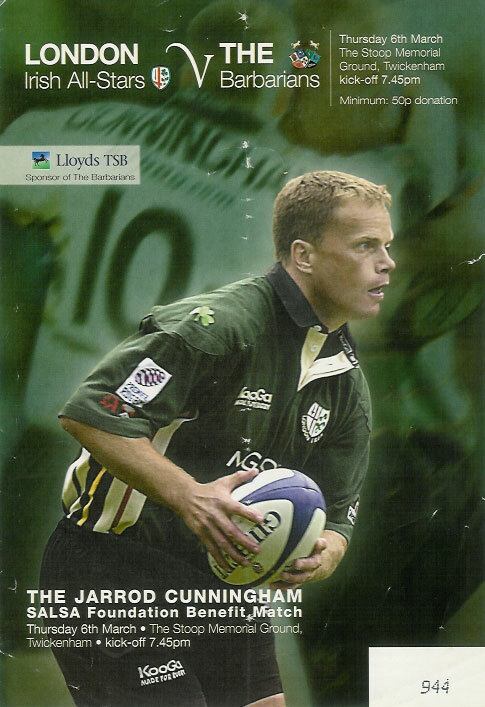 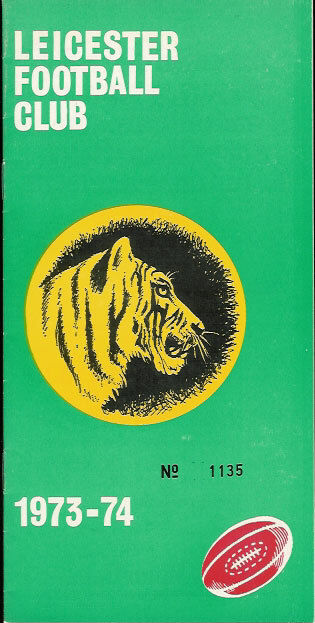 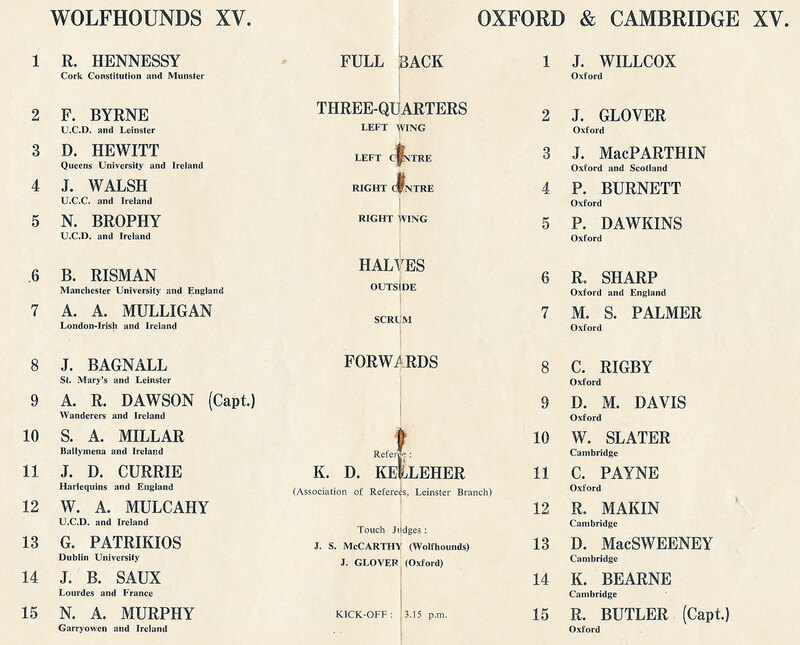 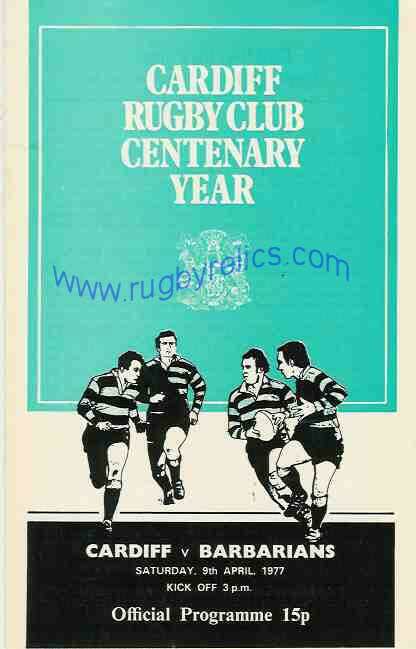 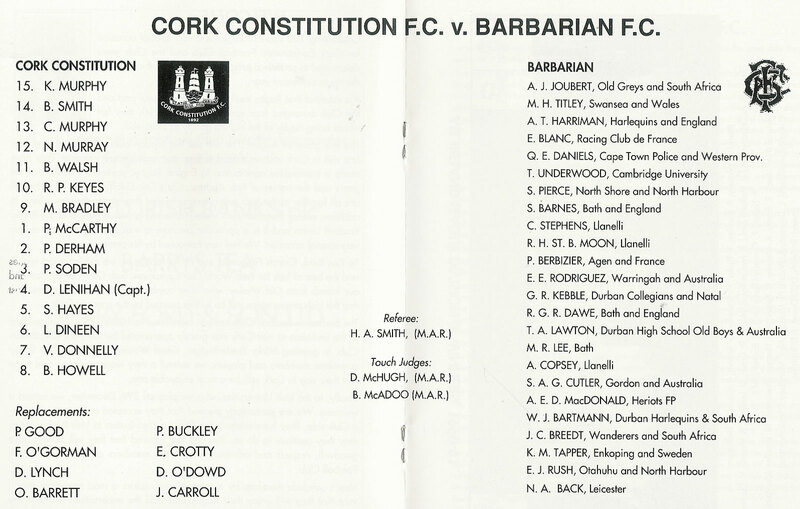 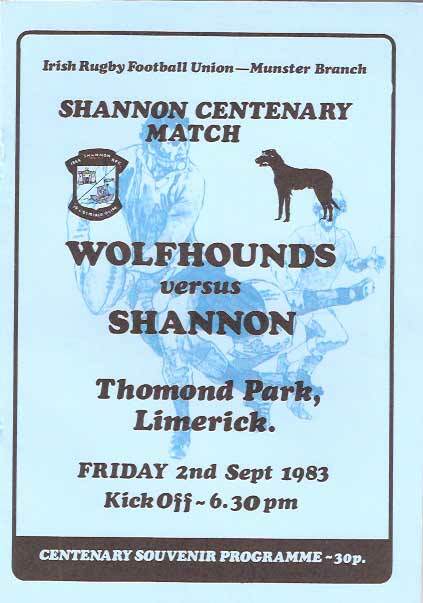 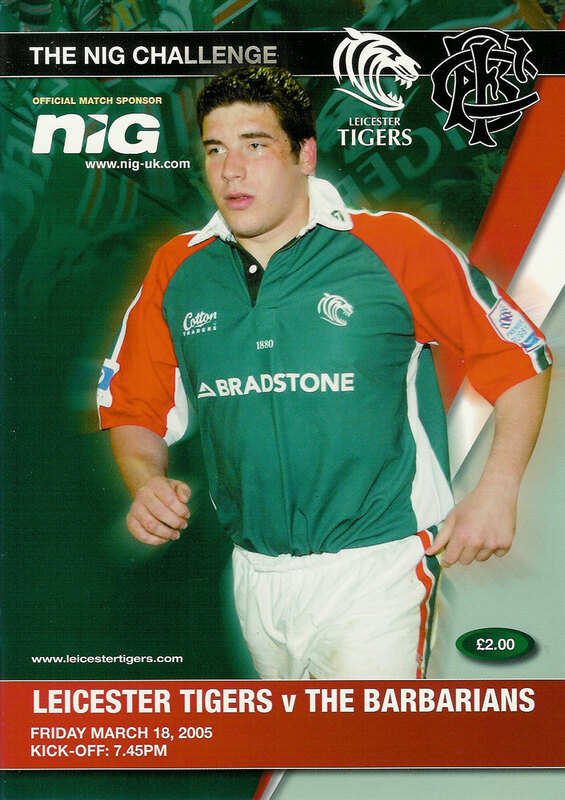 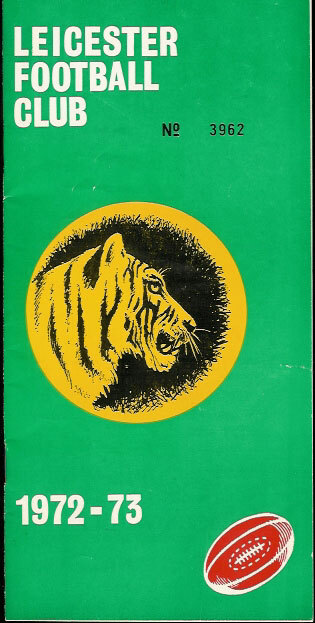 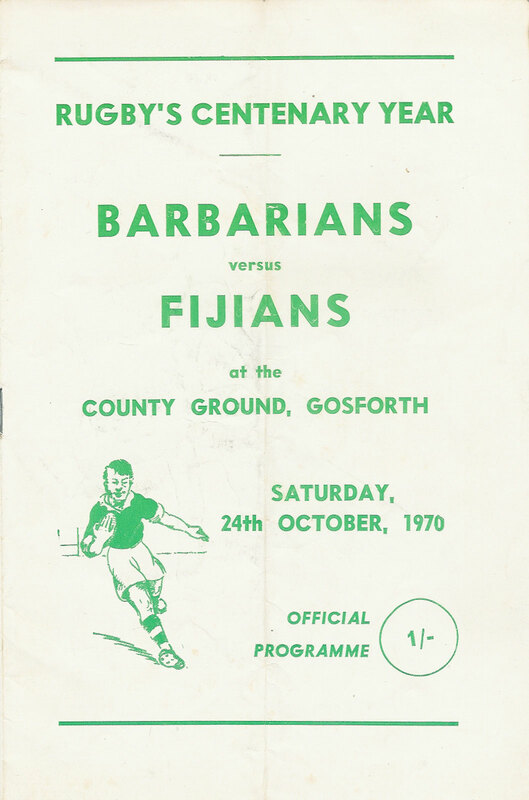 IRELAND v BARBARIANS programmes are catalogued on the IRELAND INTERNATIONAL PROGRAMMES page. 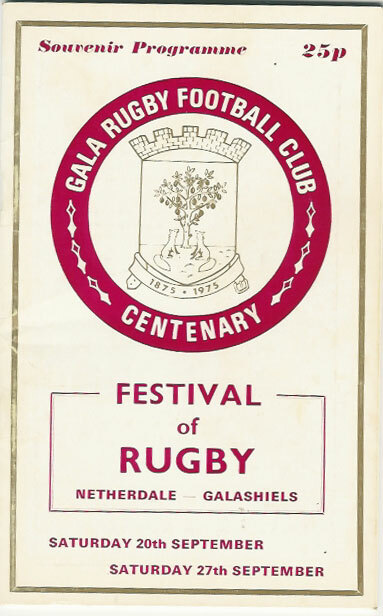 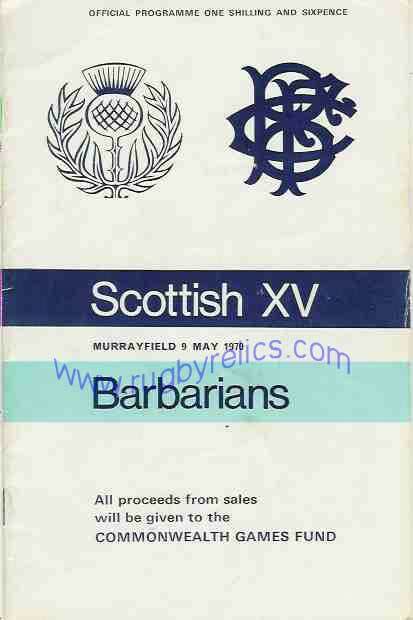 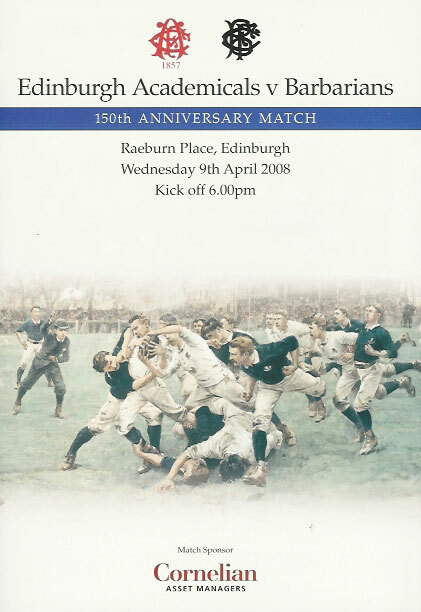 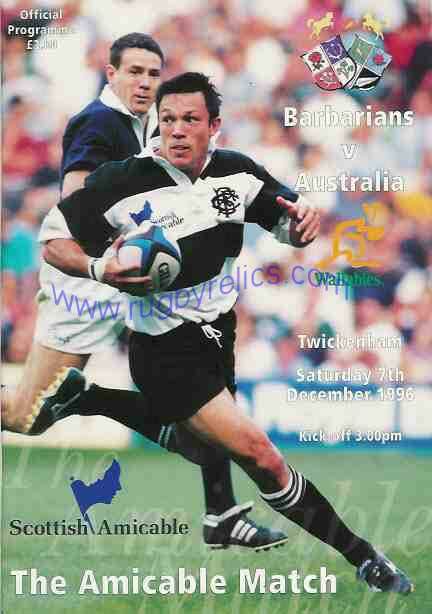 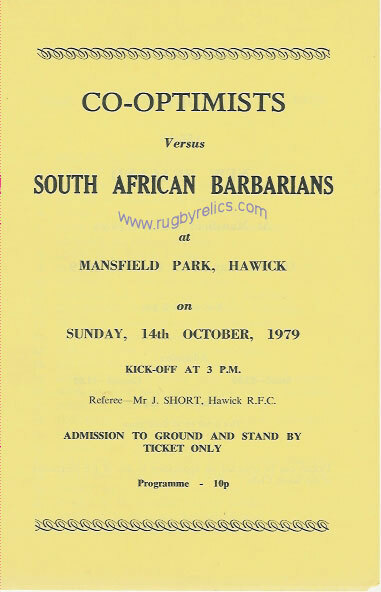 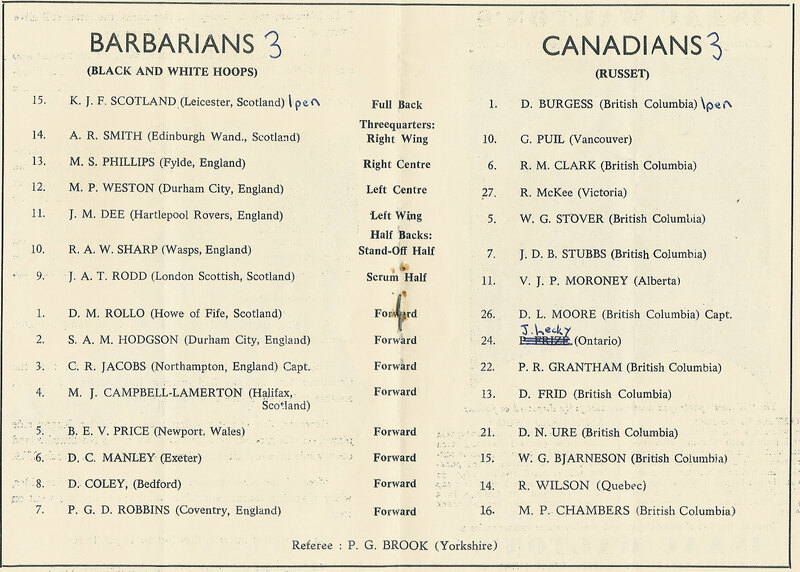 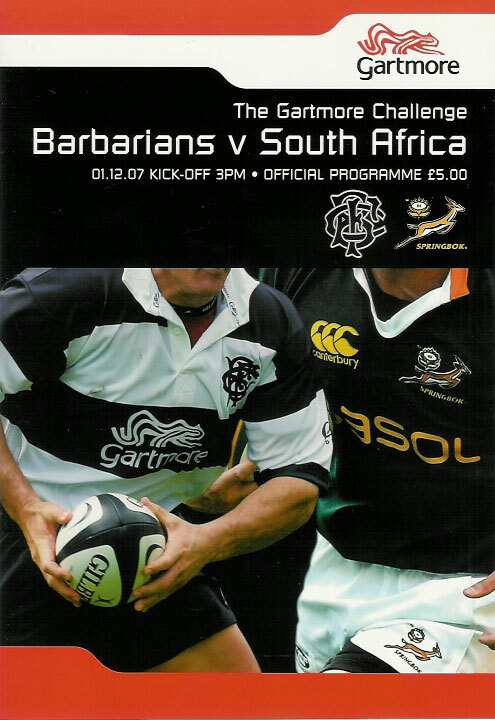 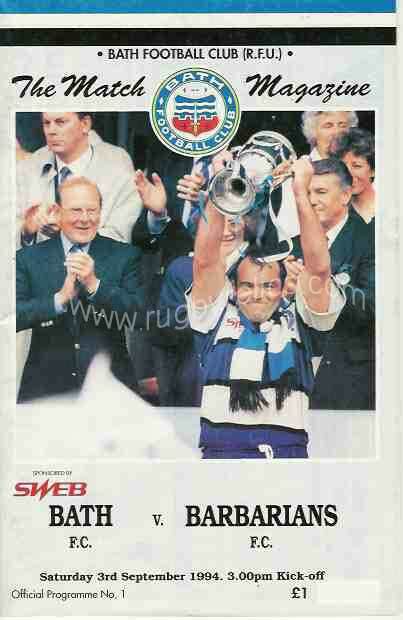 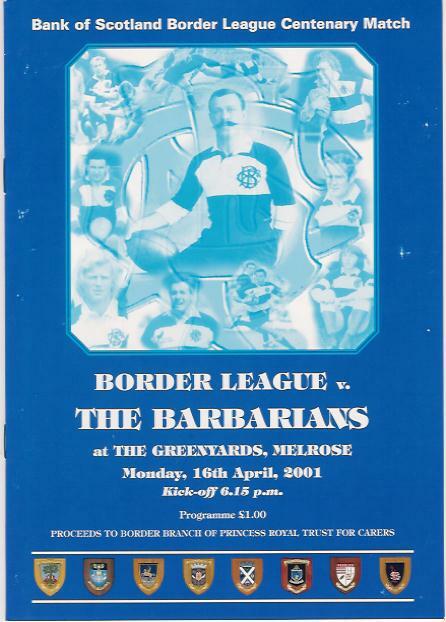 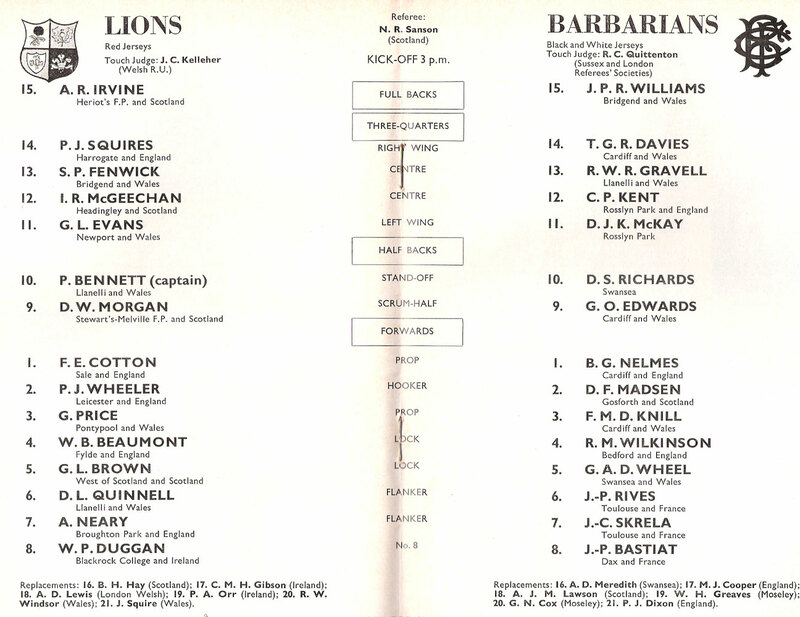 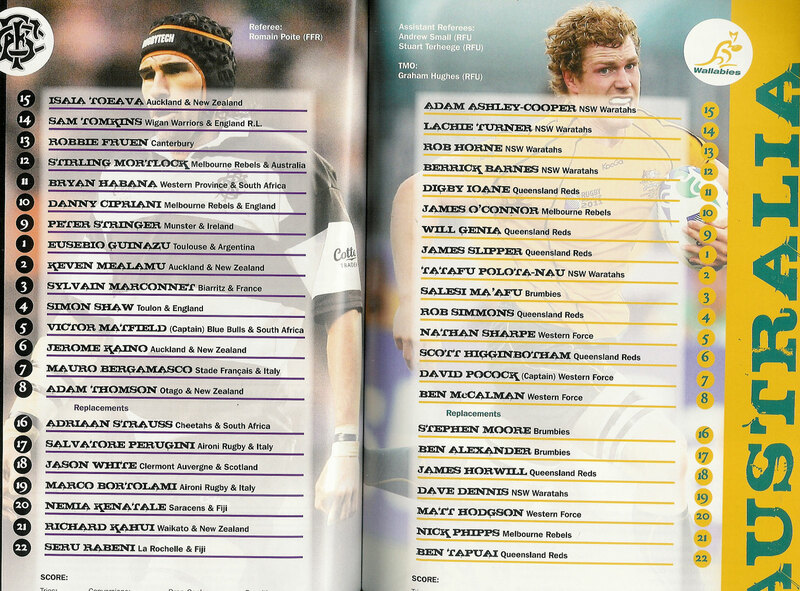 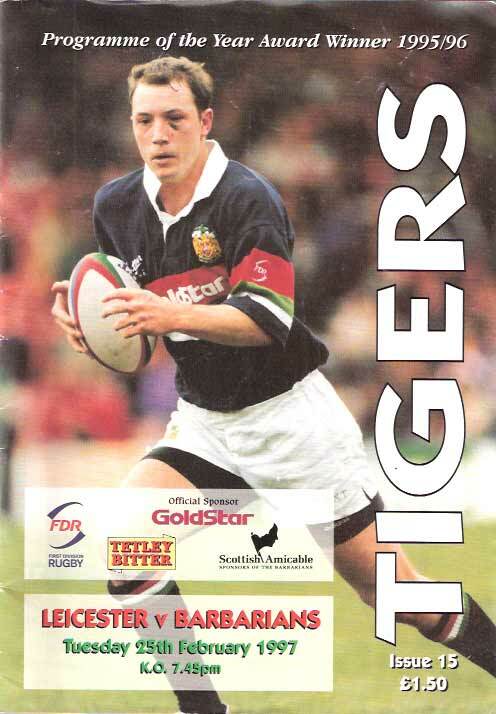 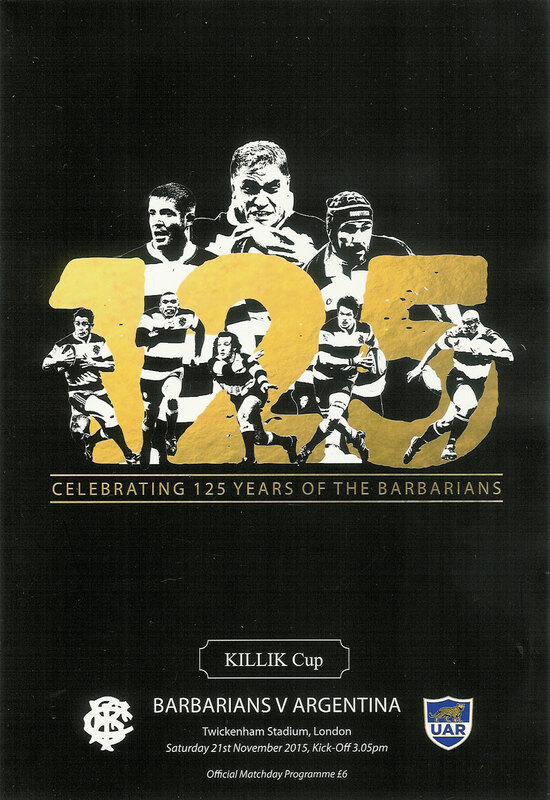 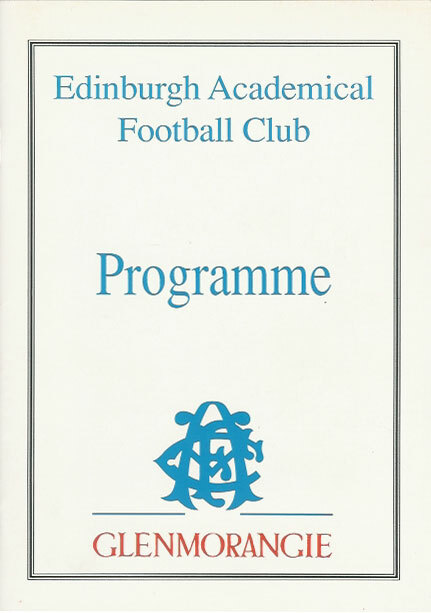 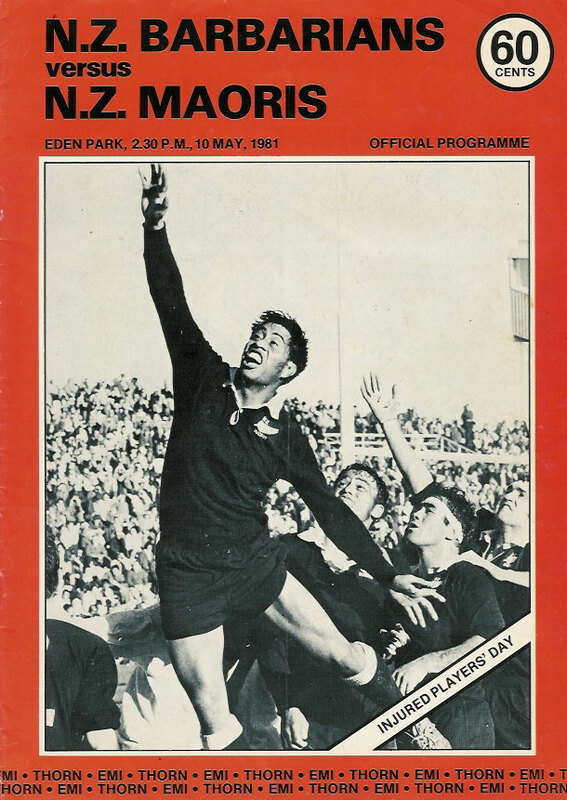 SCOTLAND v BARBARIANS programmes are catalogued on the SCOTLAND INTERNATIONAL PROGRAMMES page. 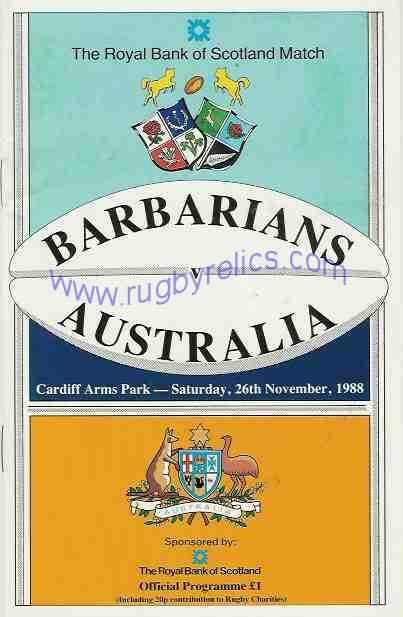 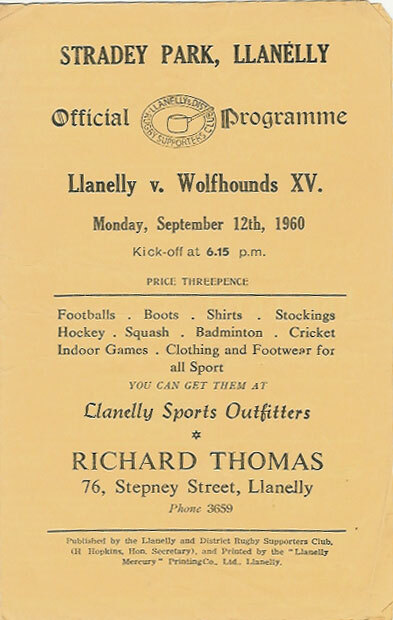 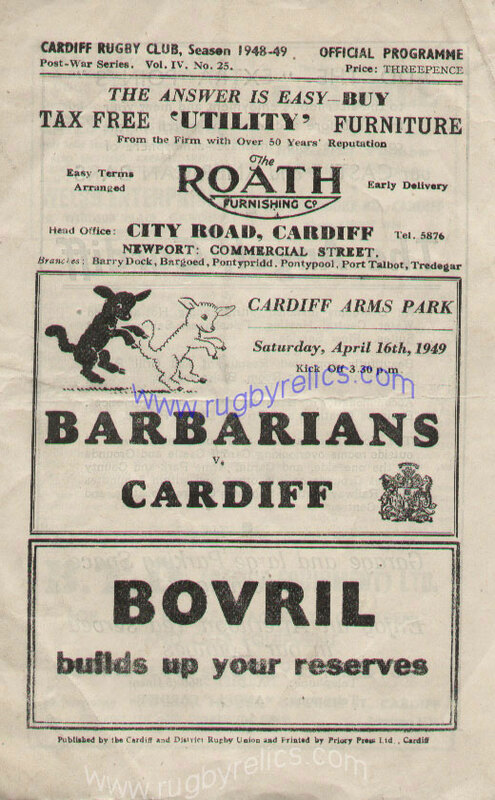 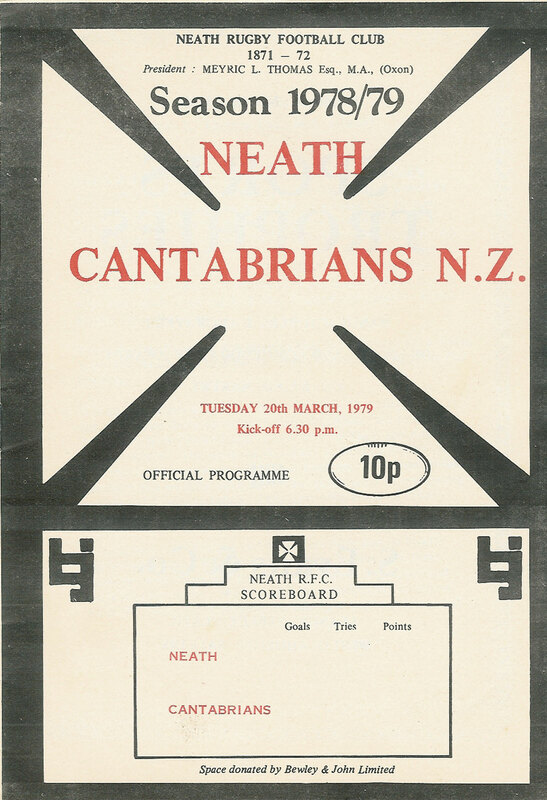 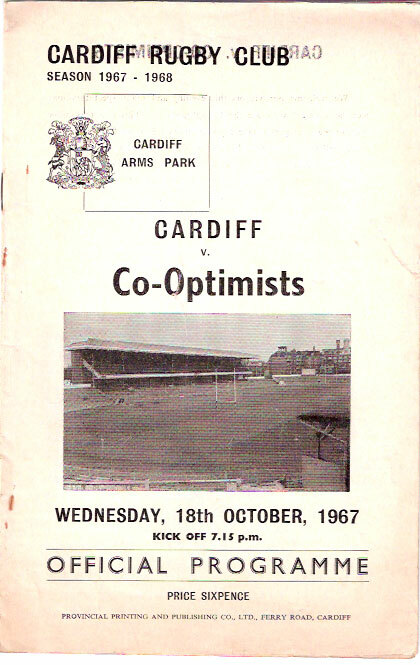 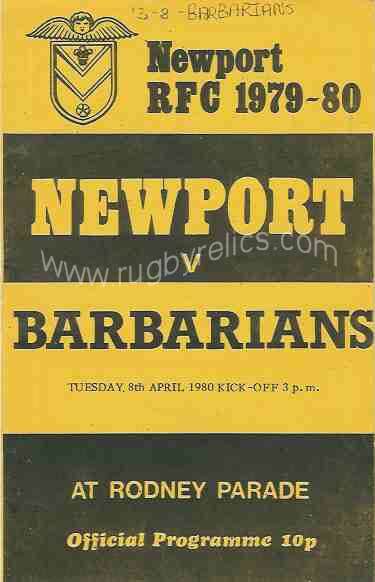 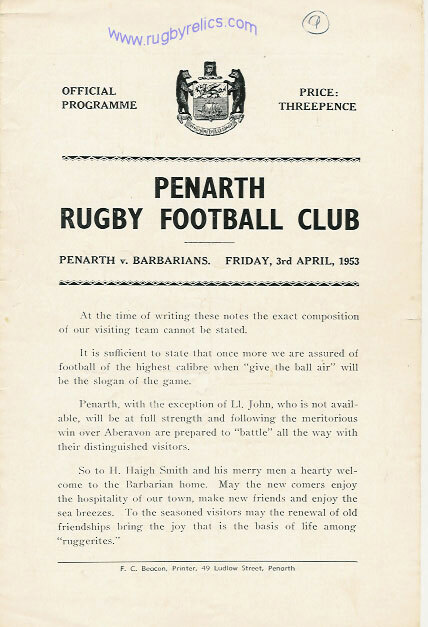 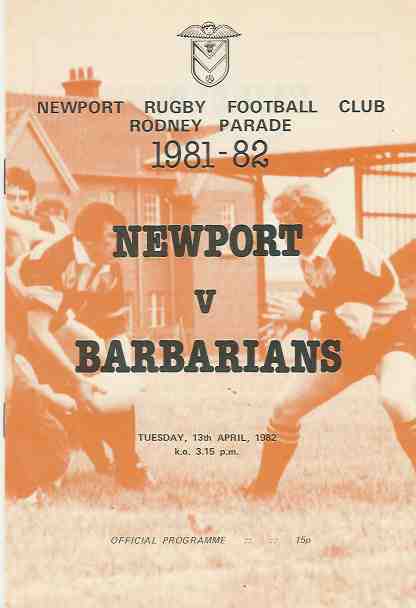 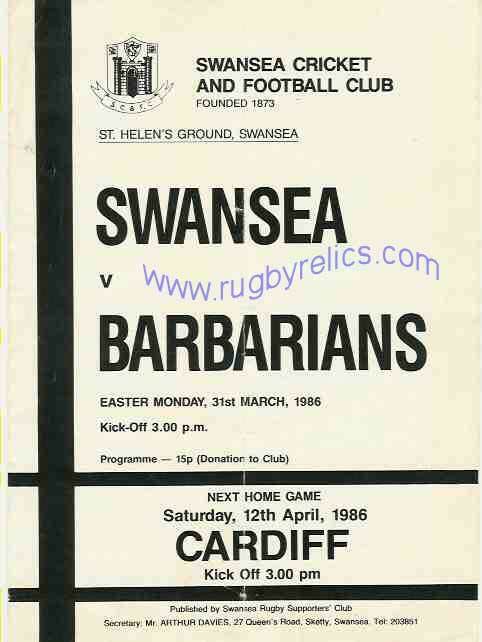 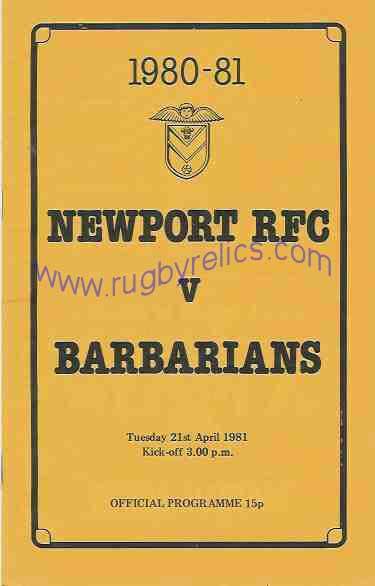 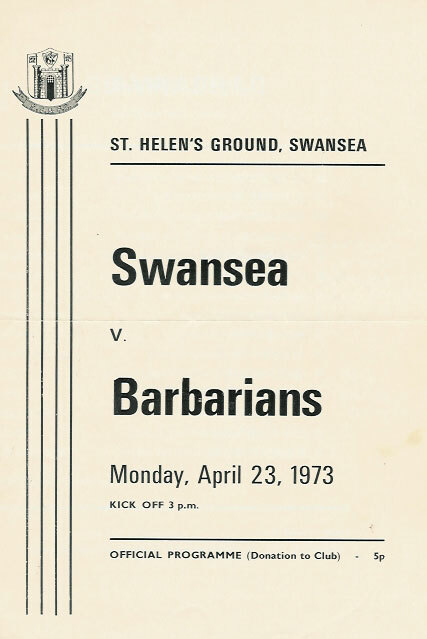 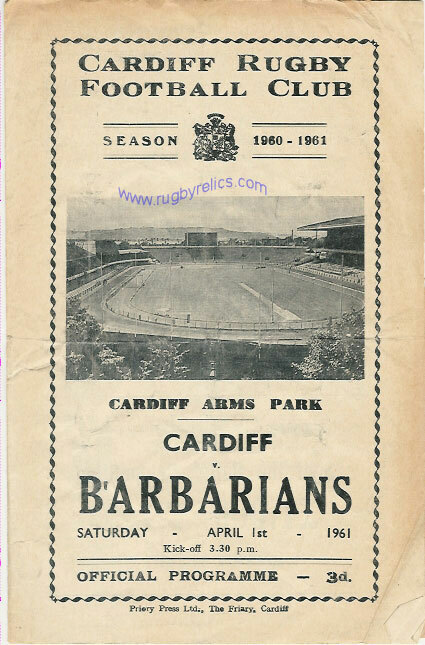 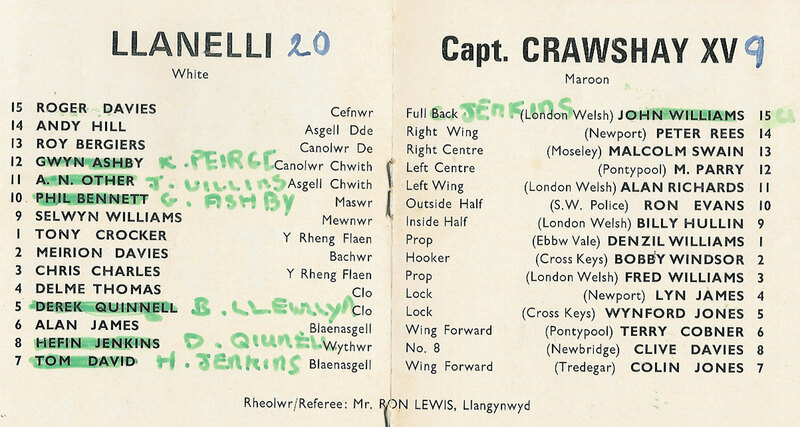 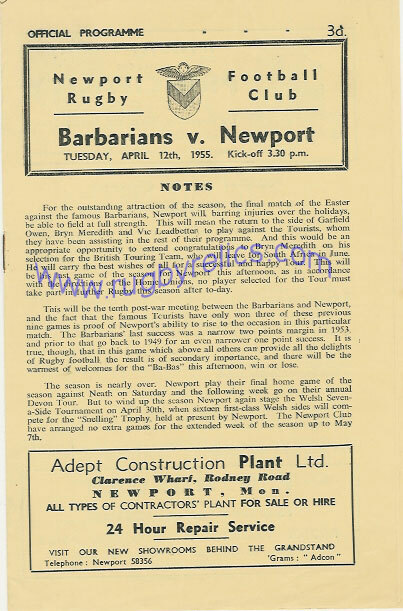 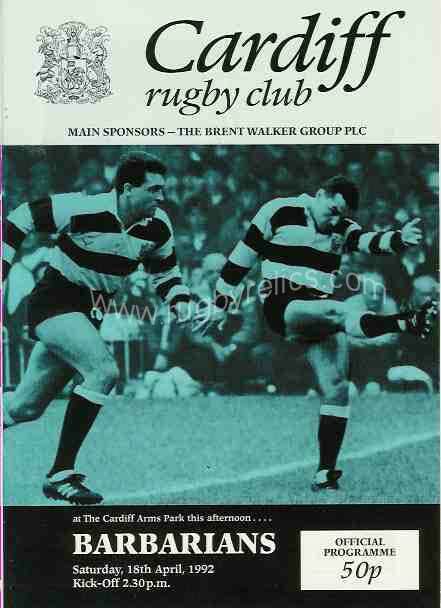 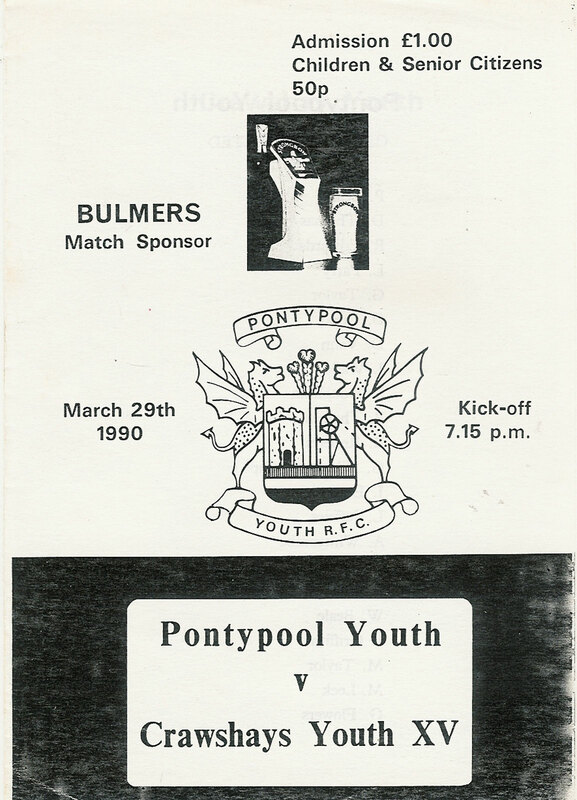 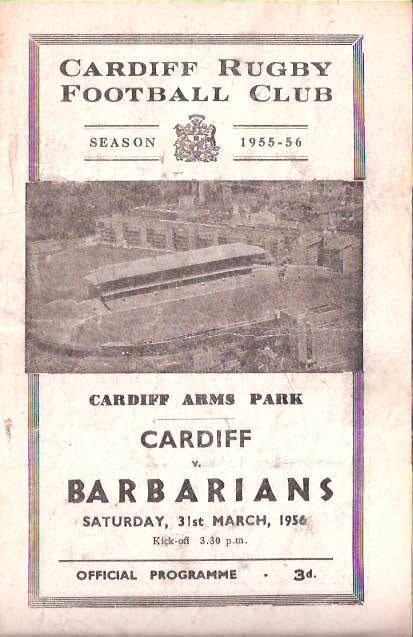 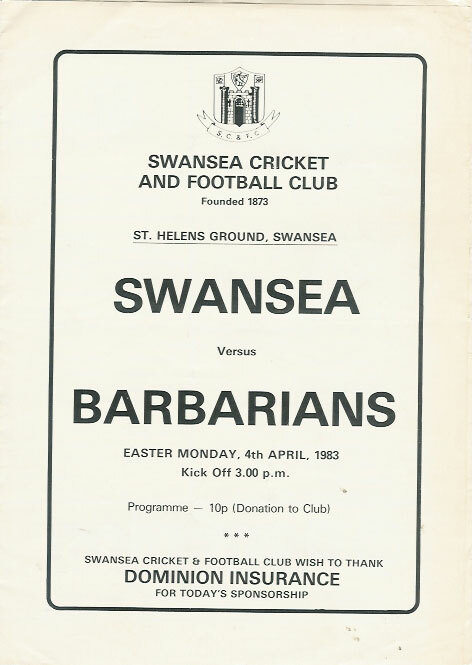 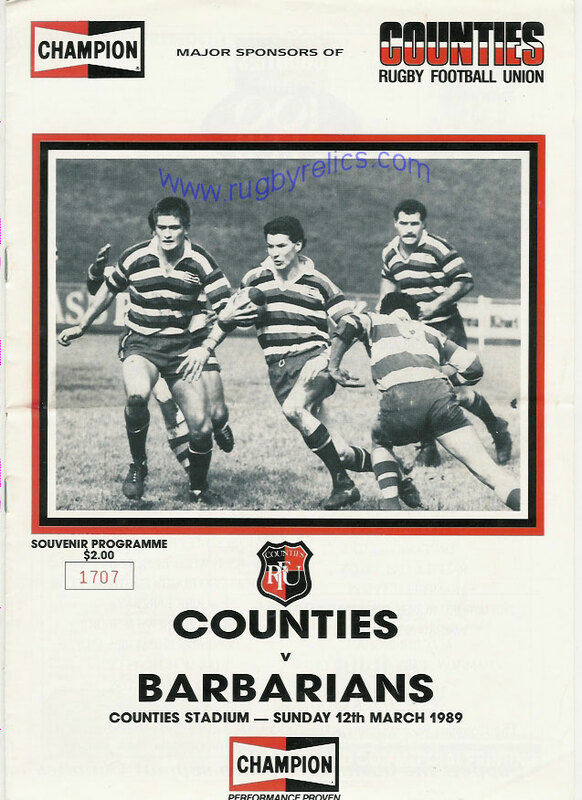 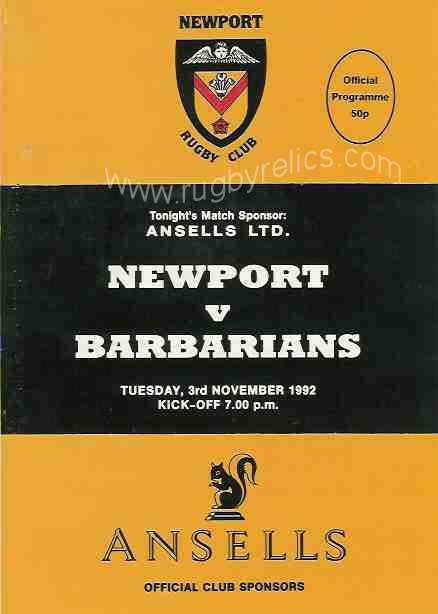 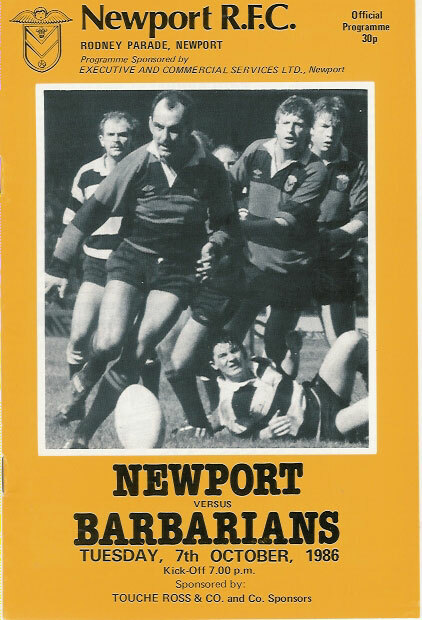 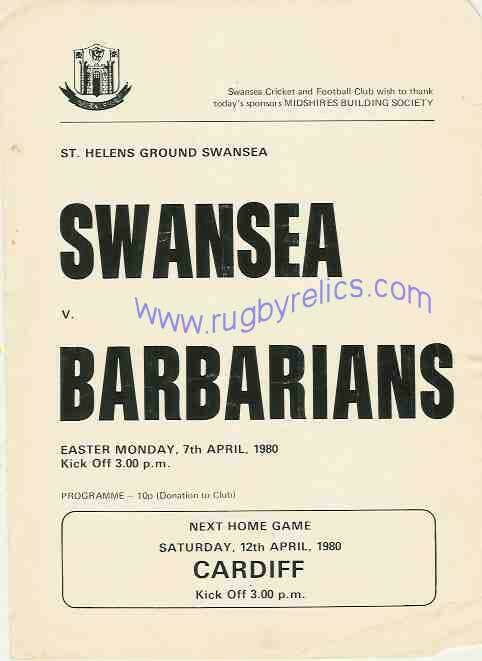 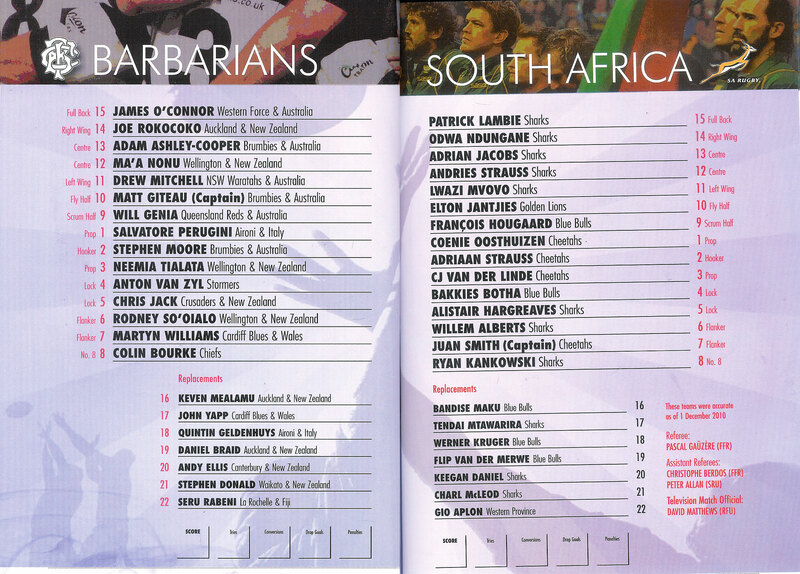 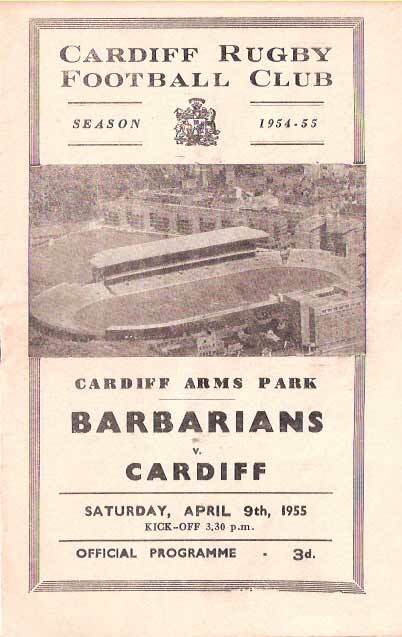 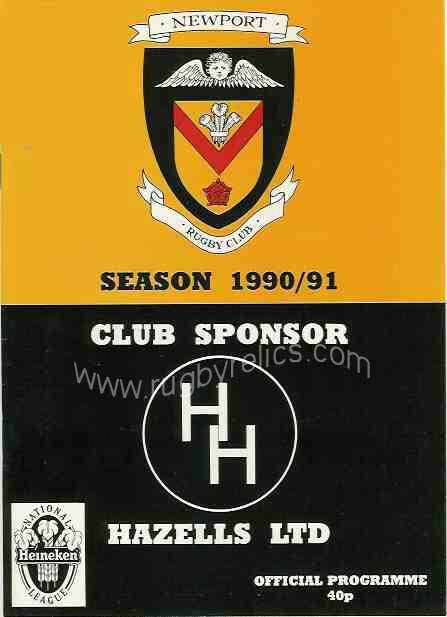 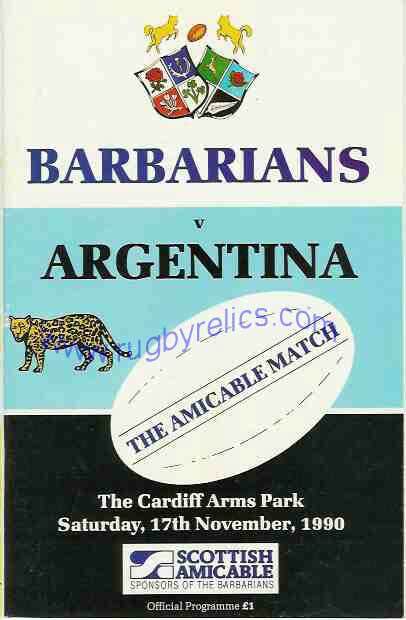 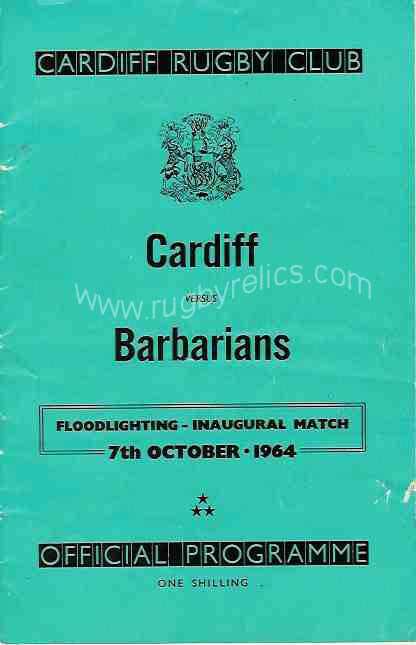 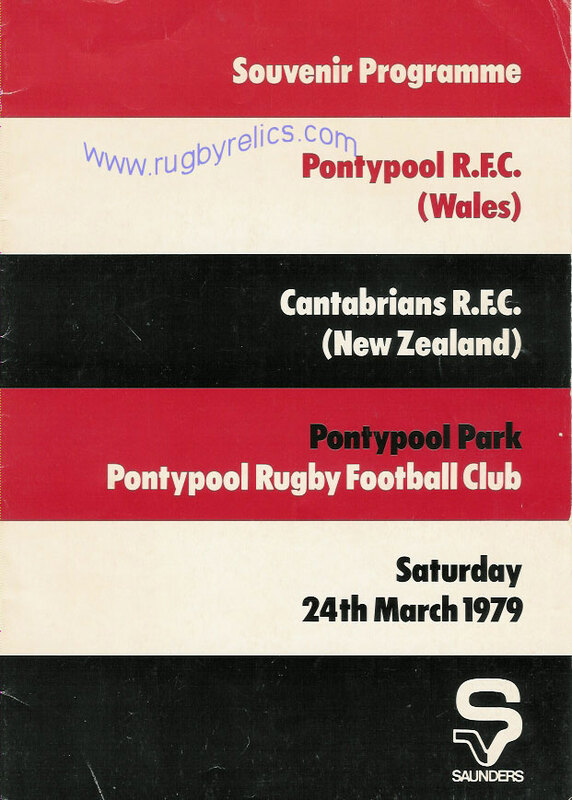 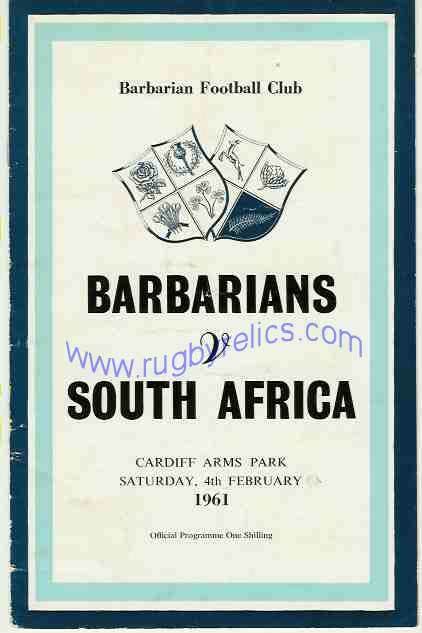 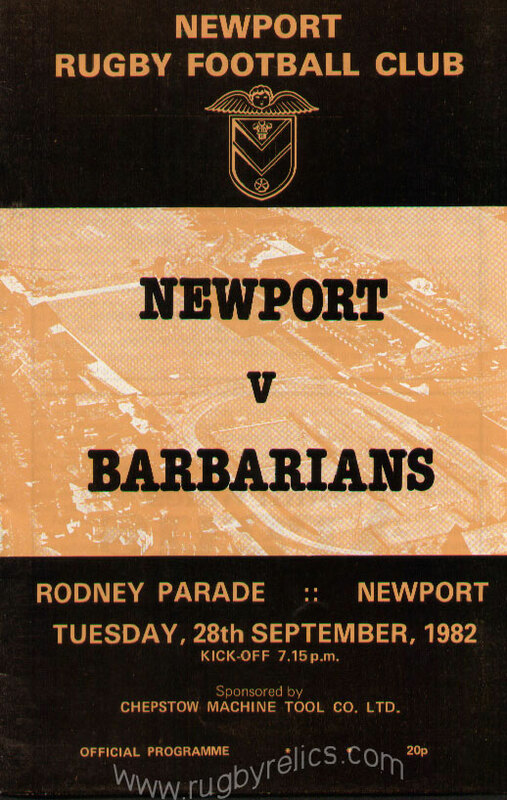 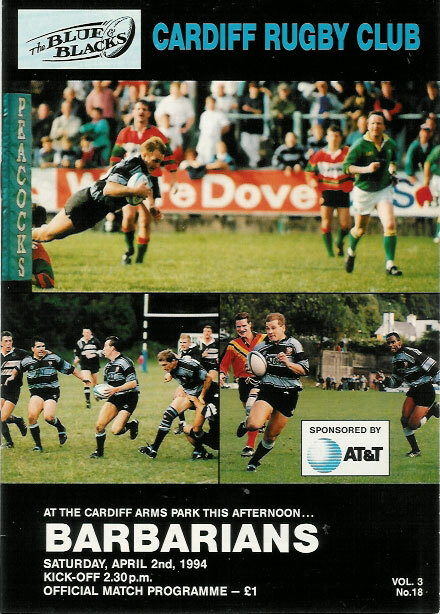 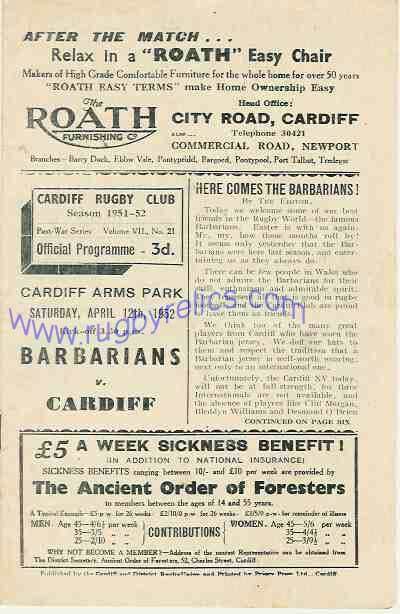 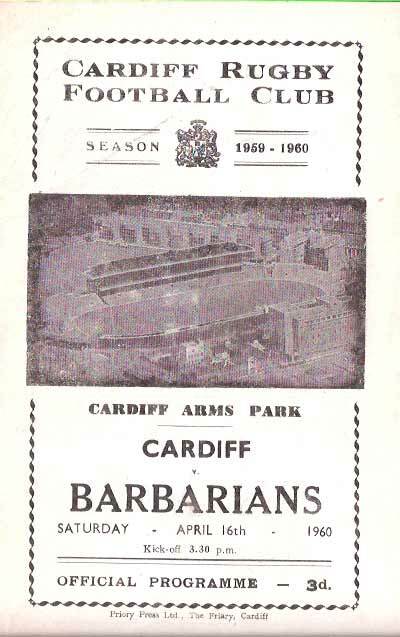 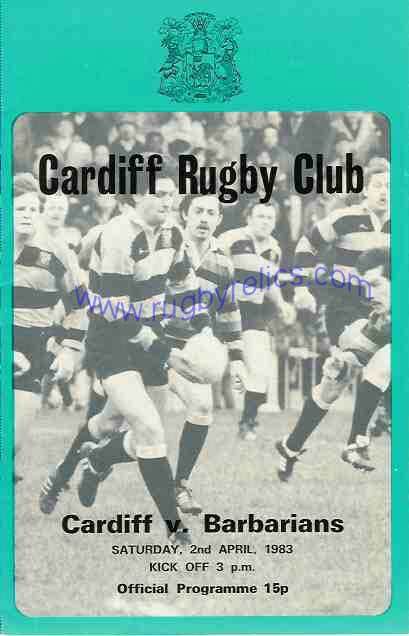 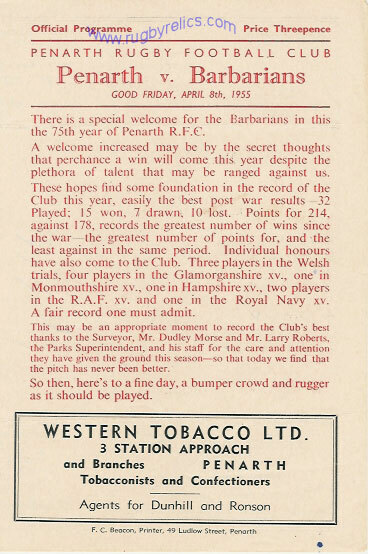 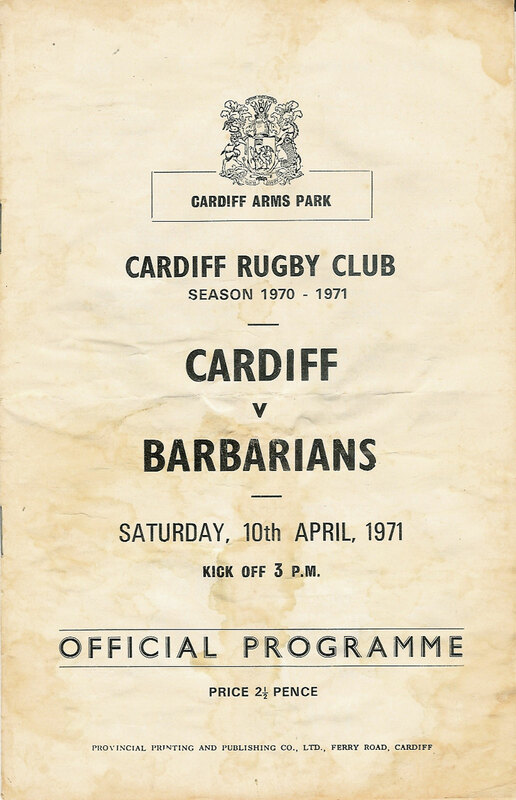 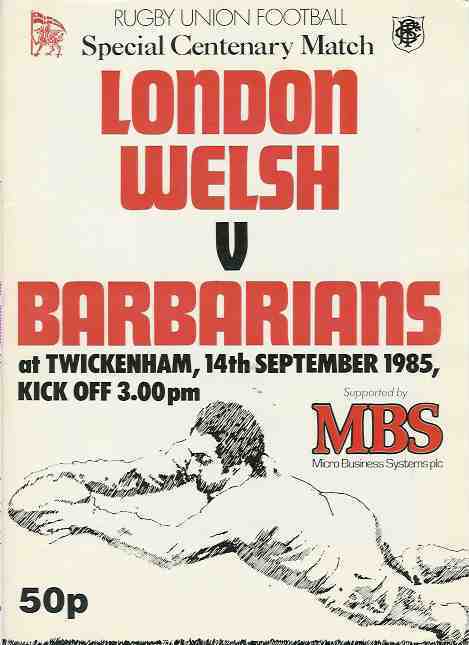 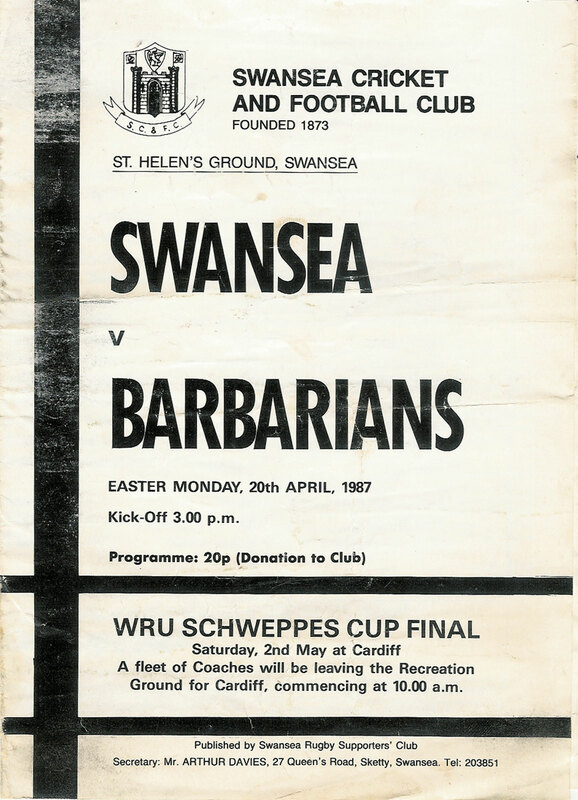 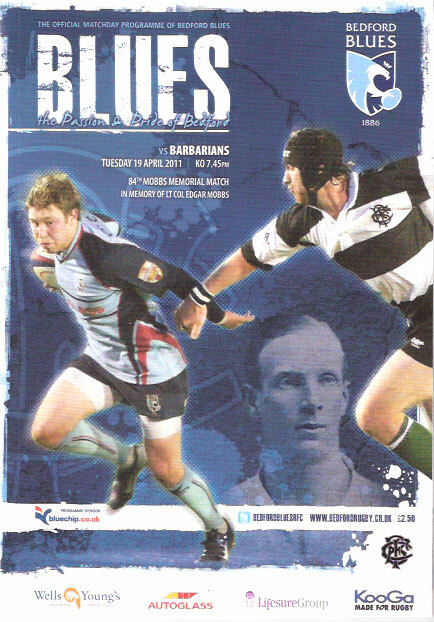 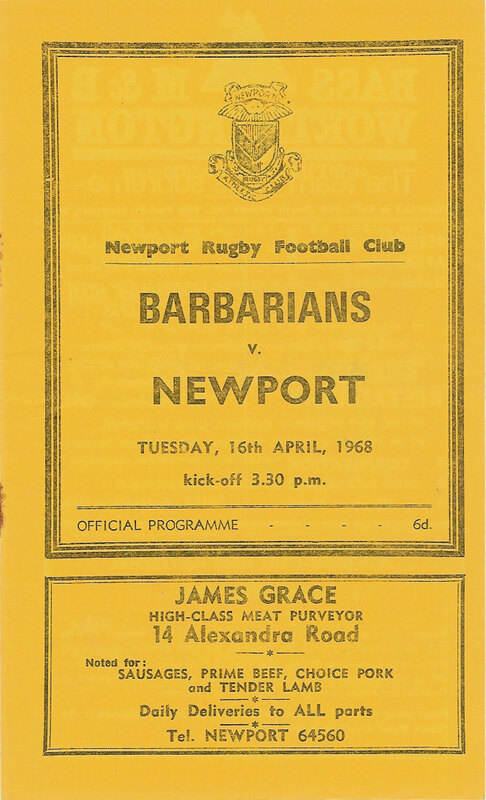 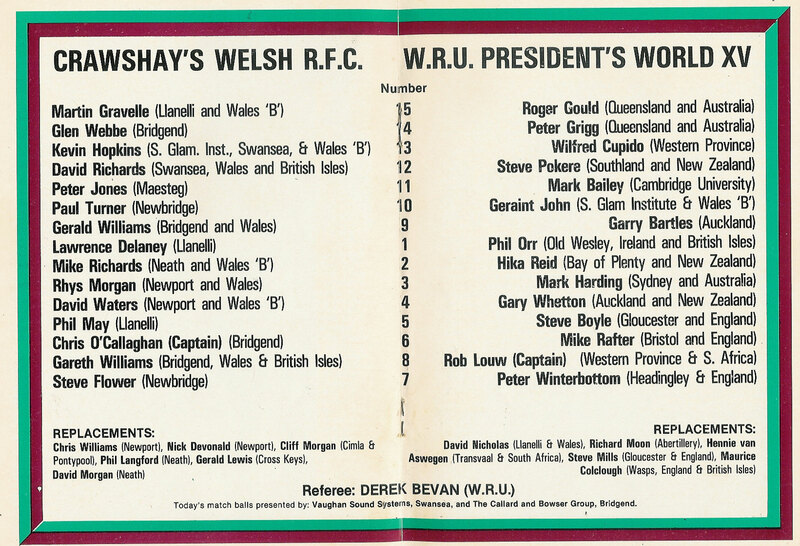 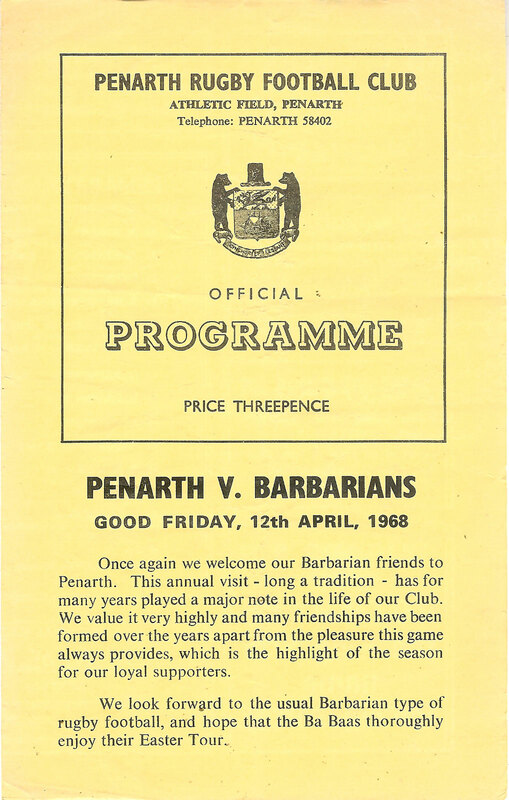 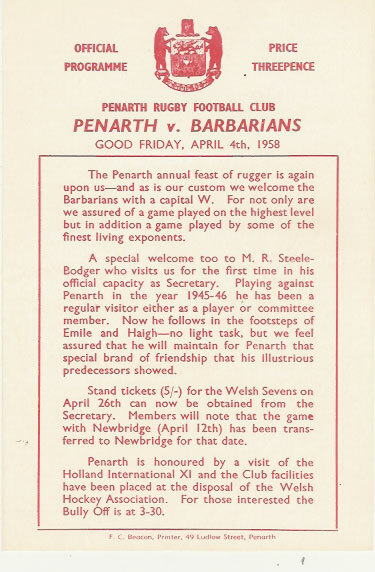 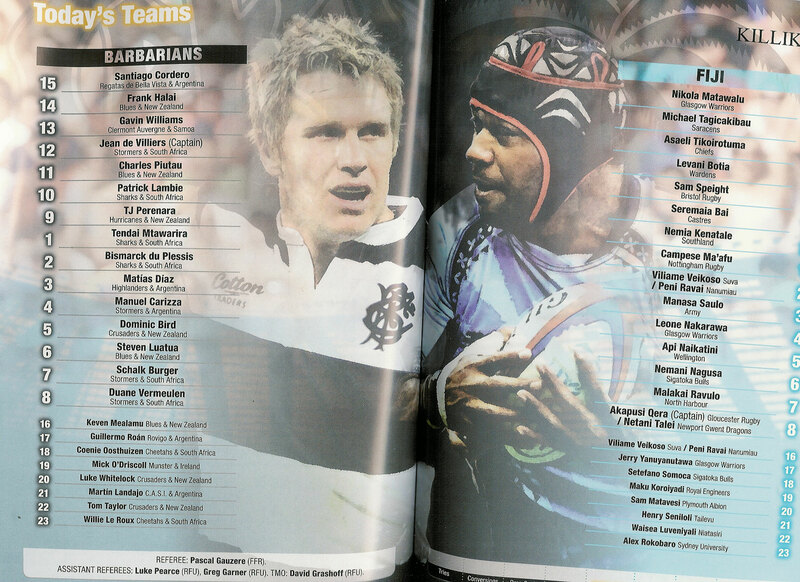 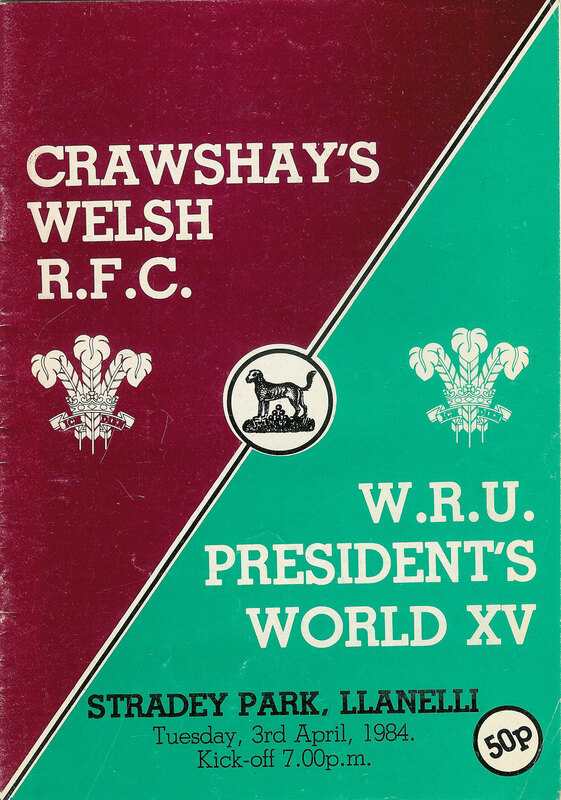 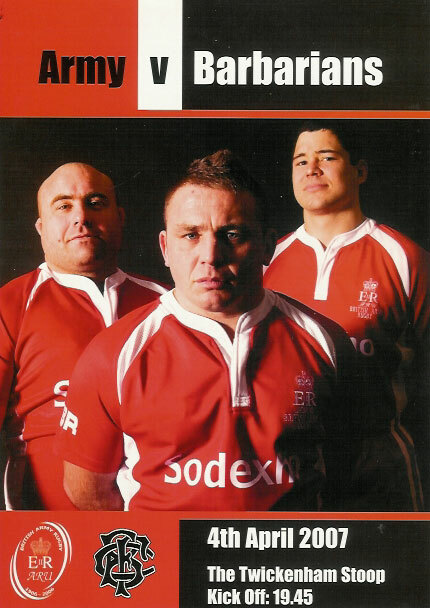 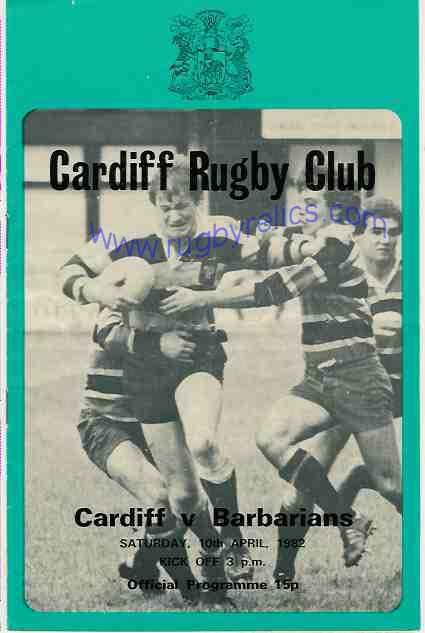 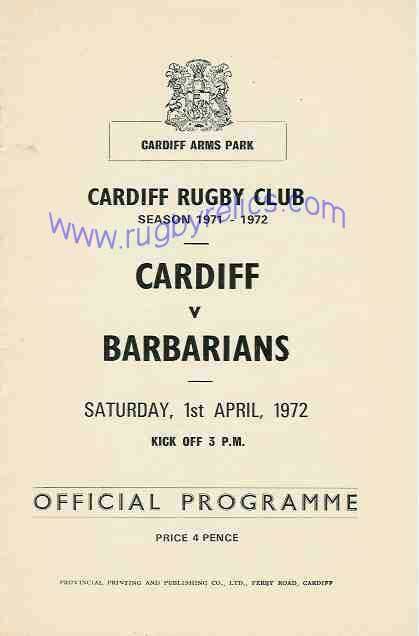 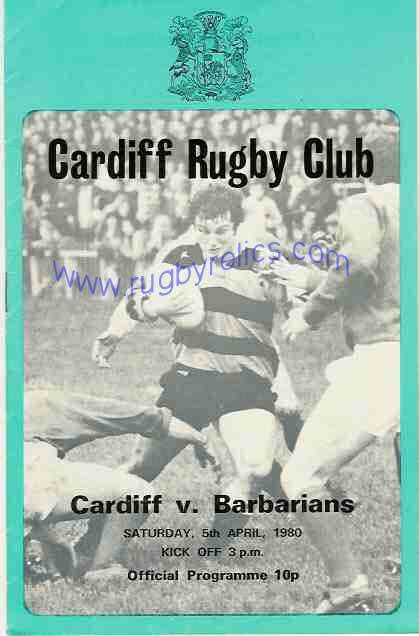 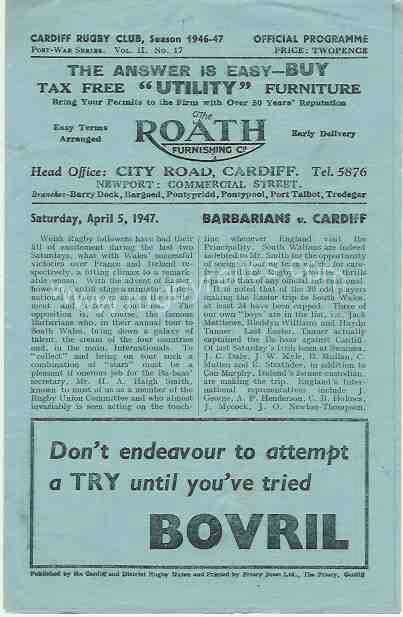 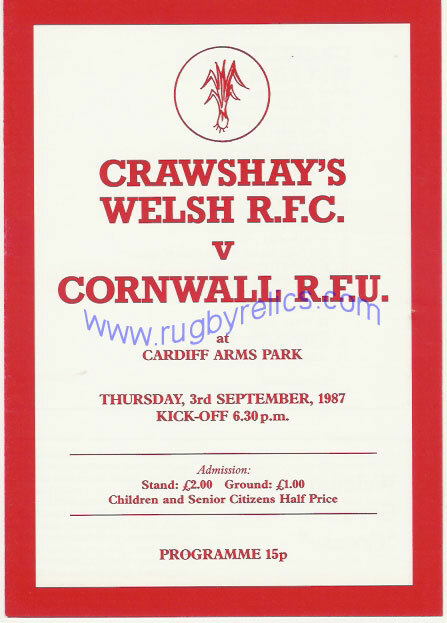 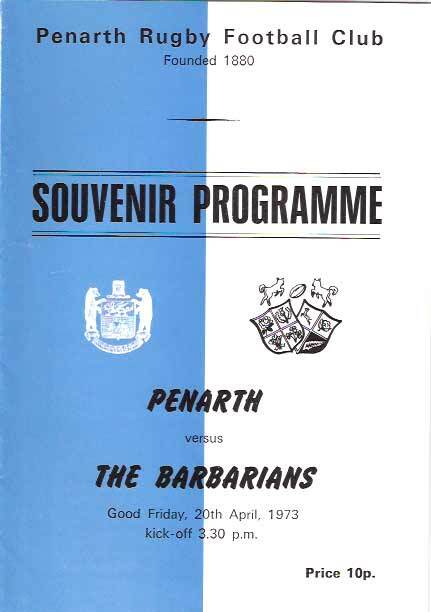 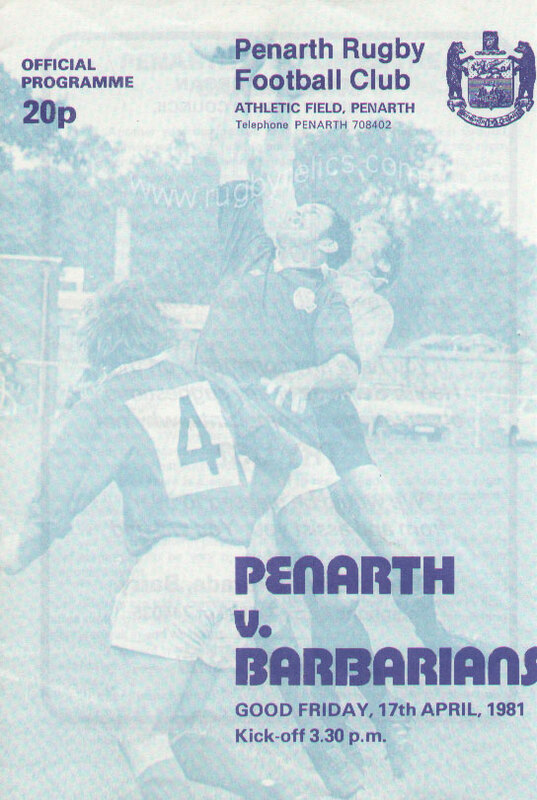 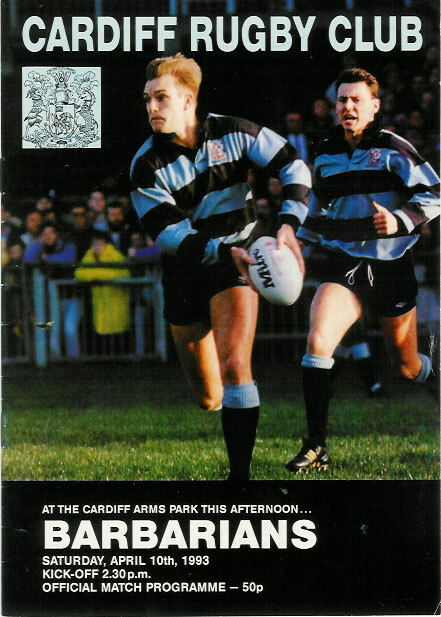 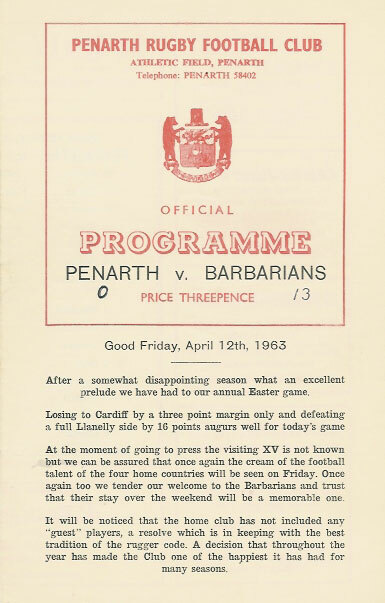 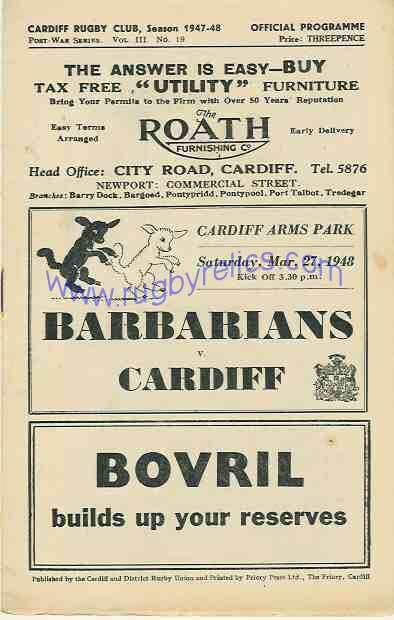 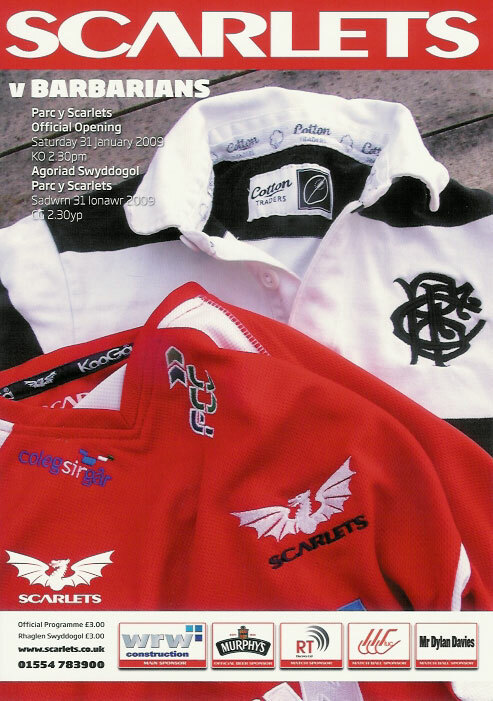 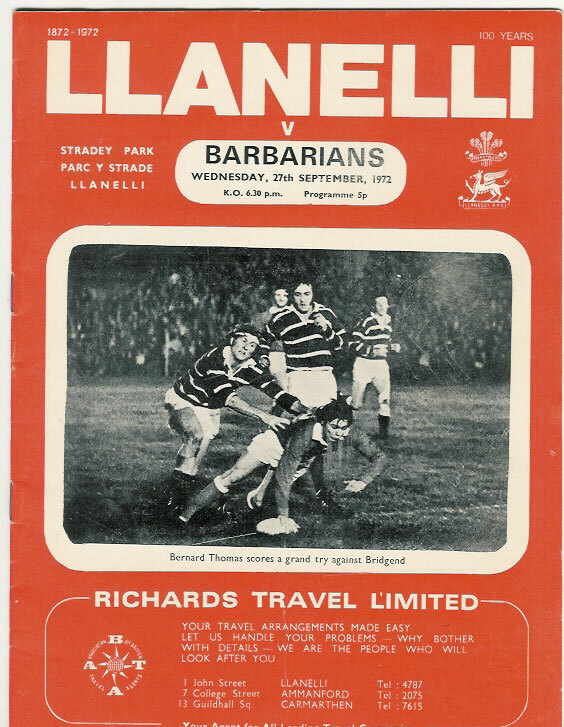 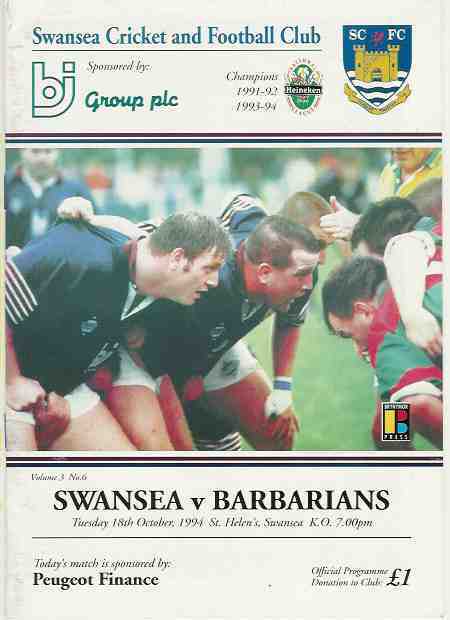 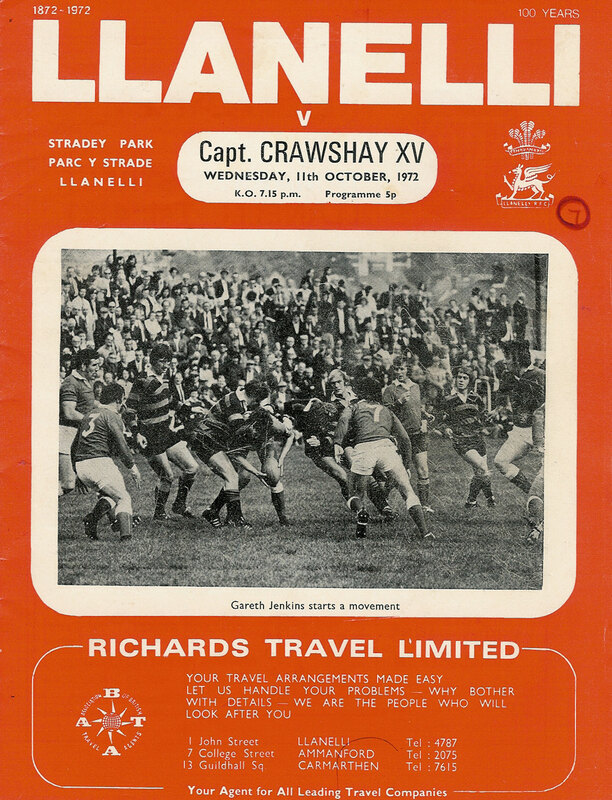 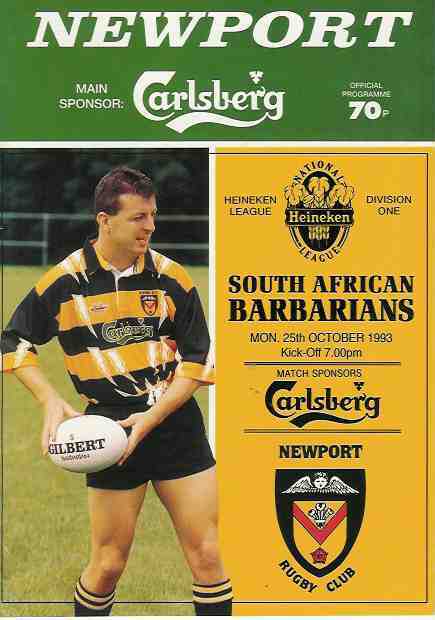 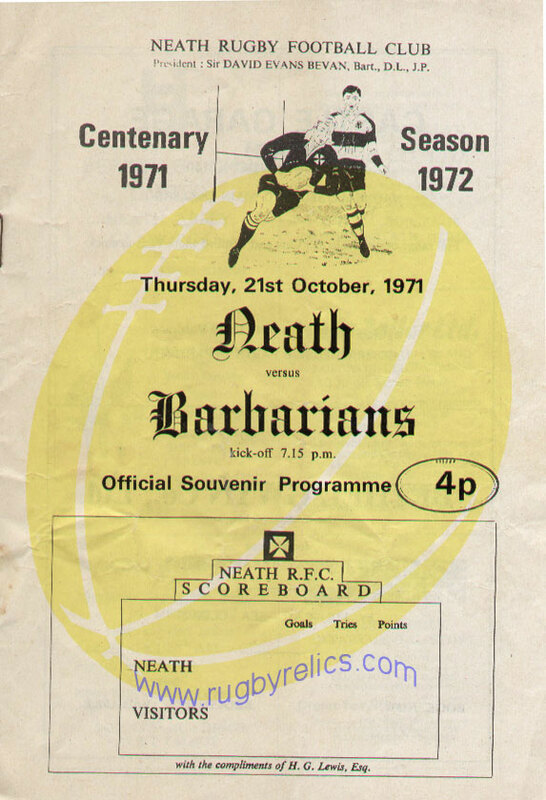 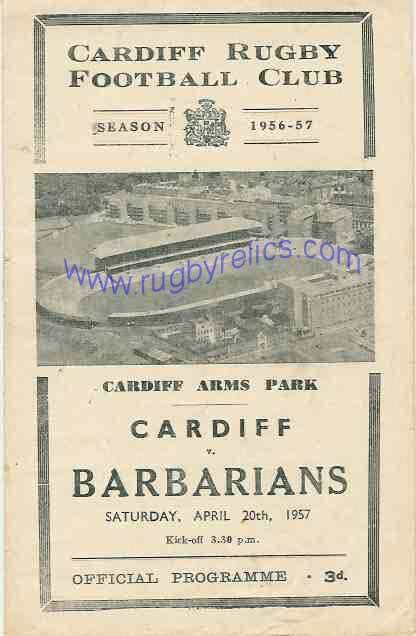 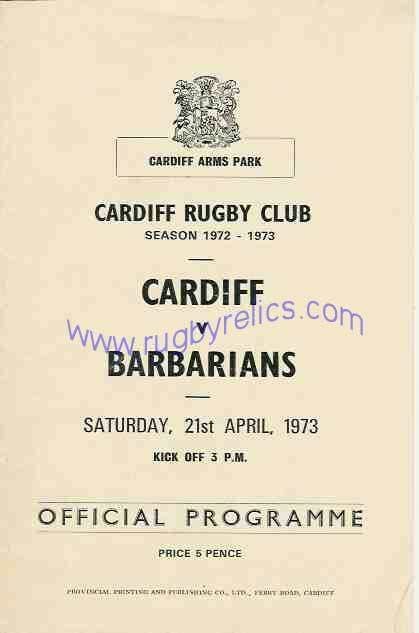 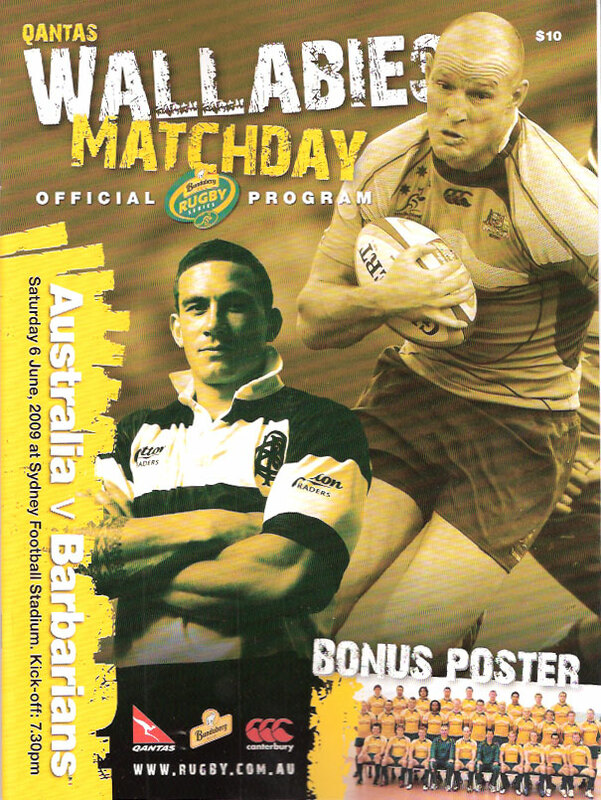 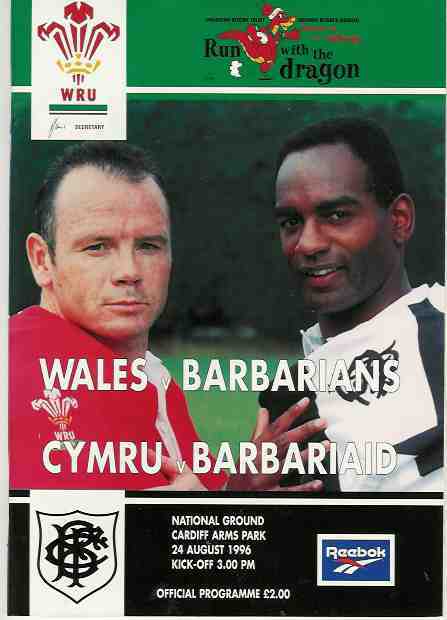 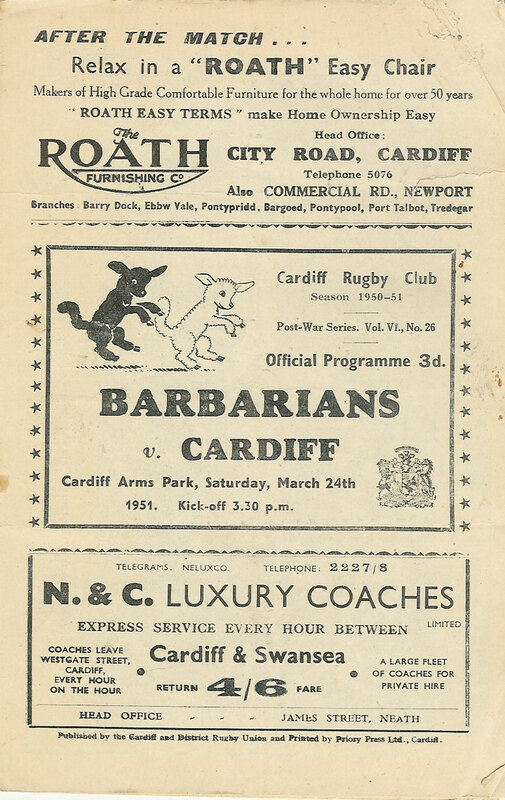 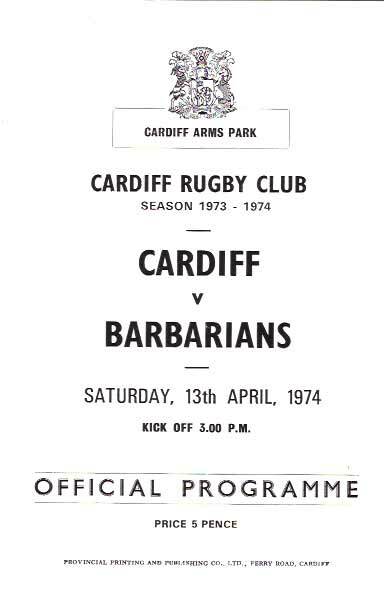 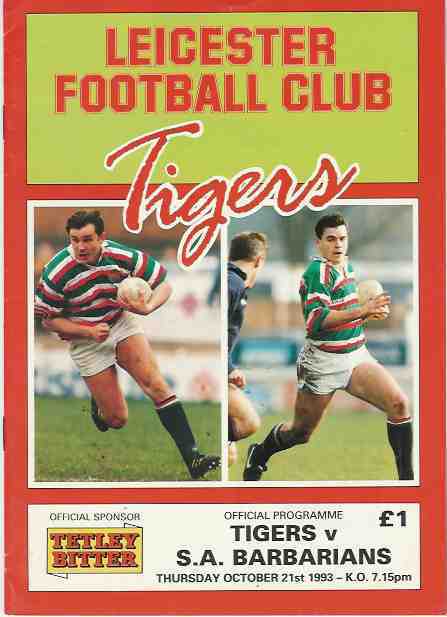 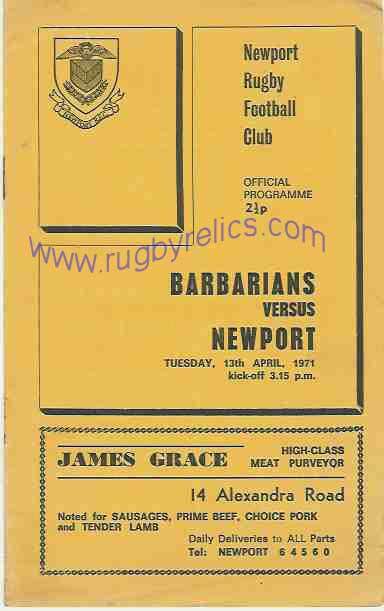 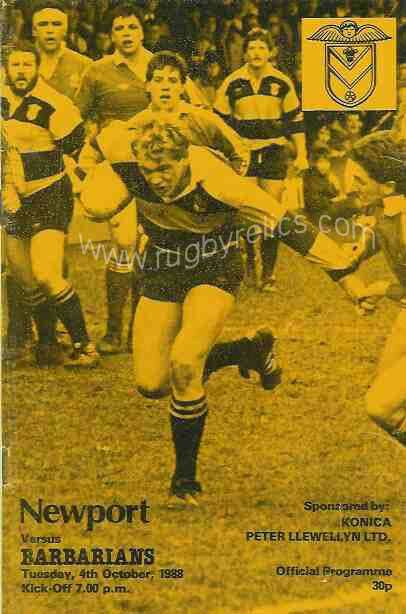 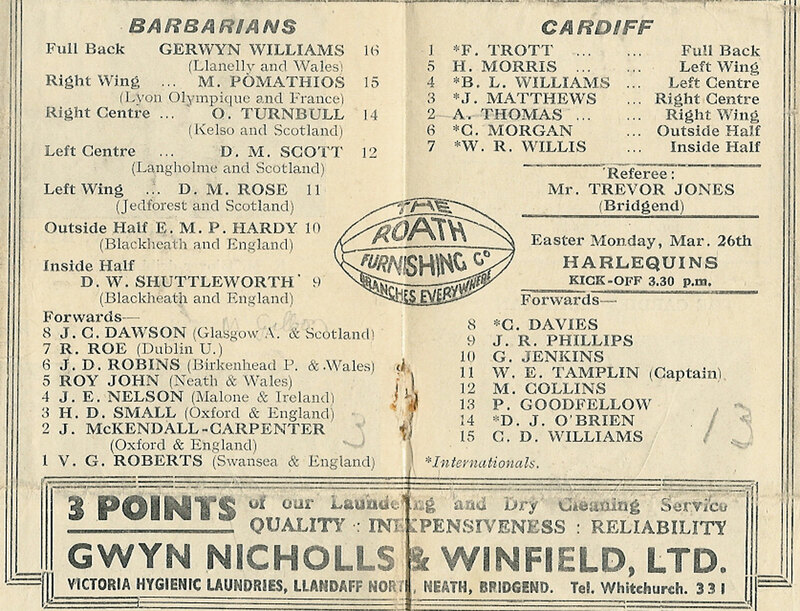 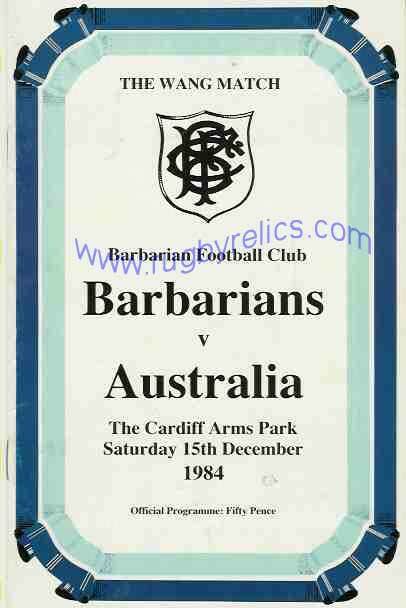 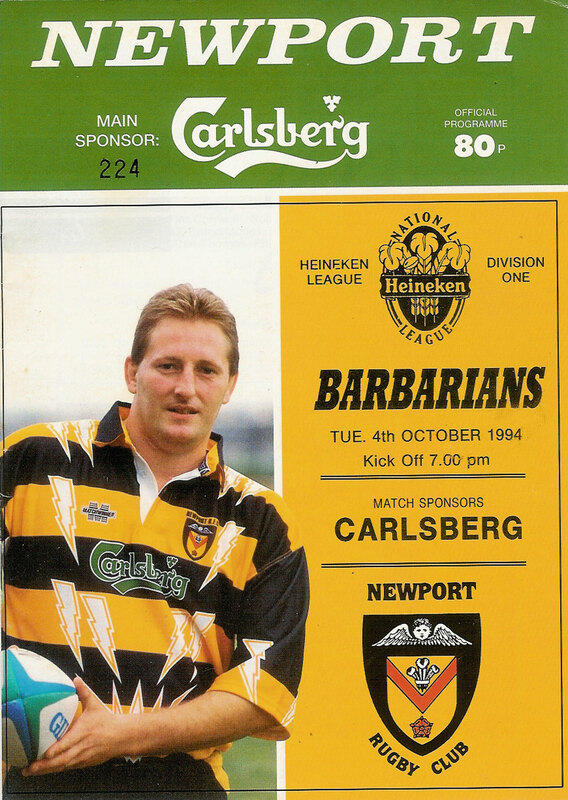 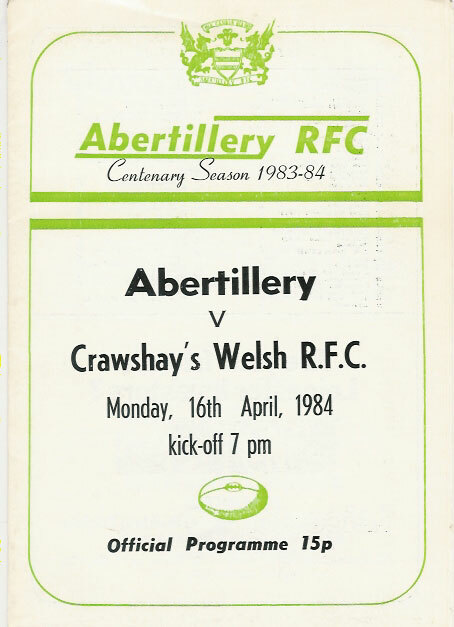 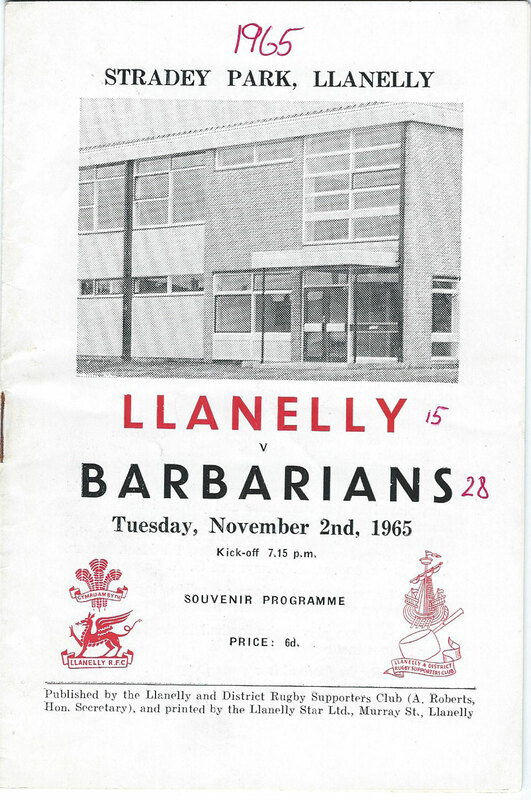 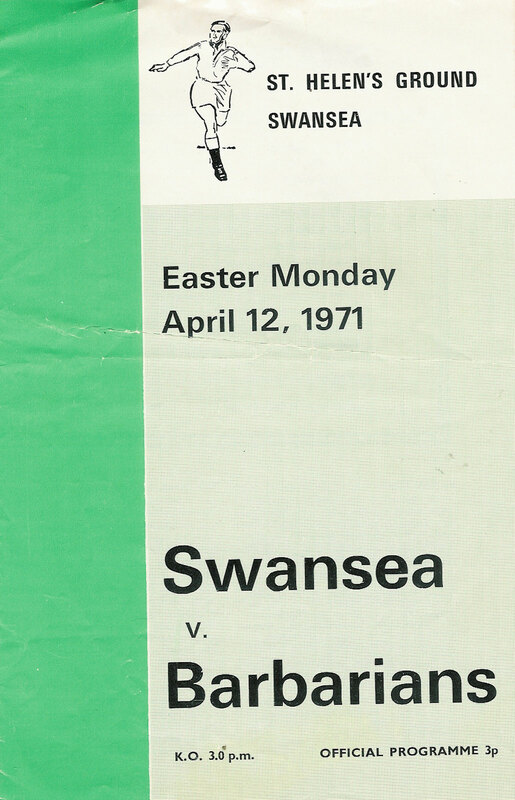 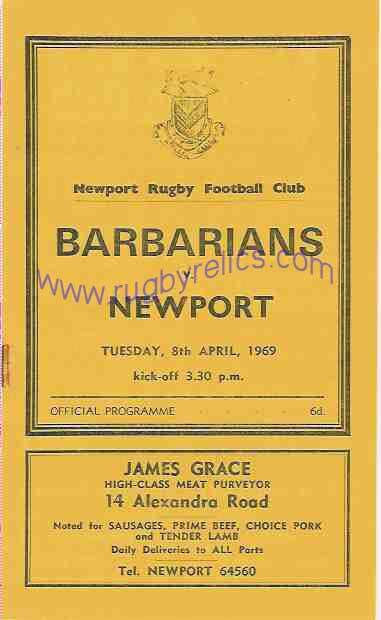 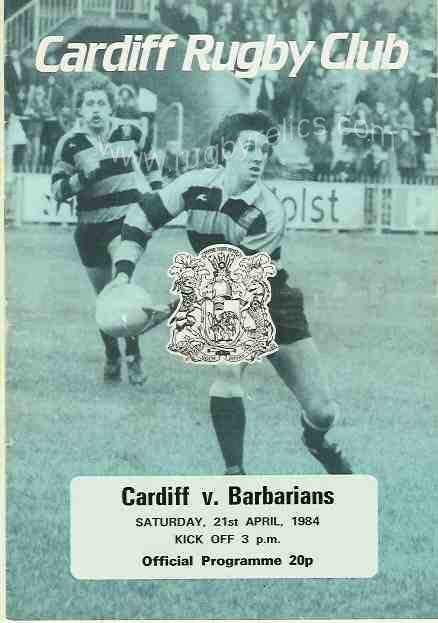 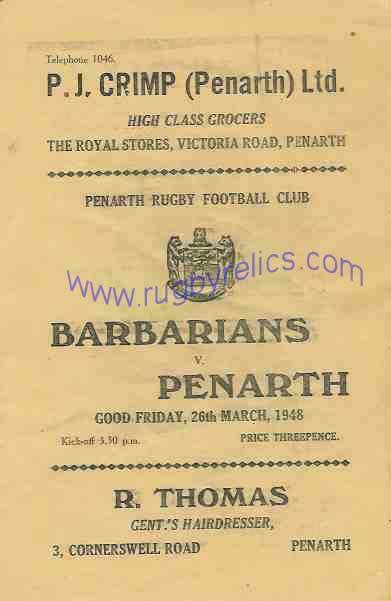 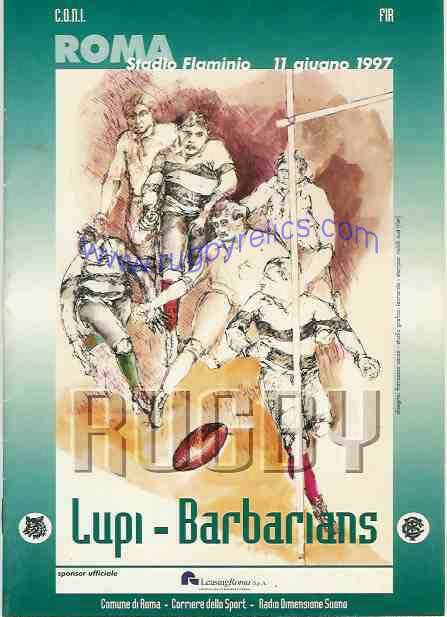 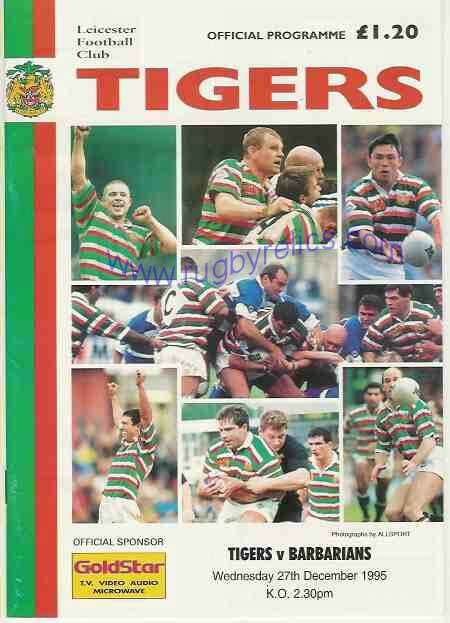 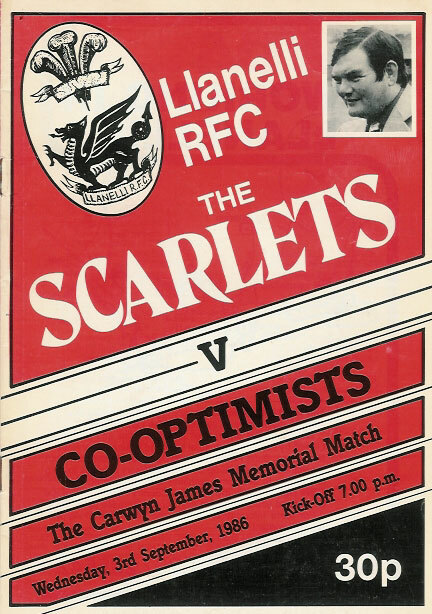 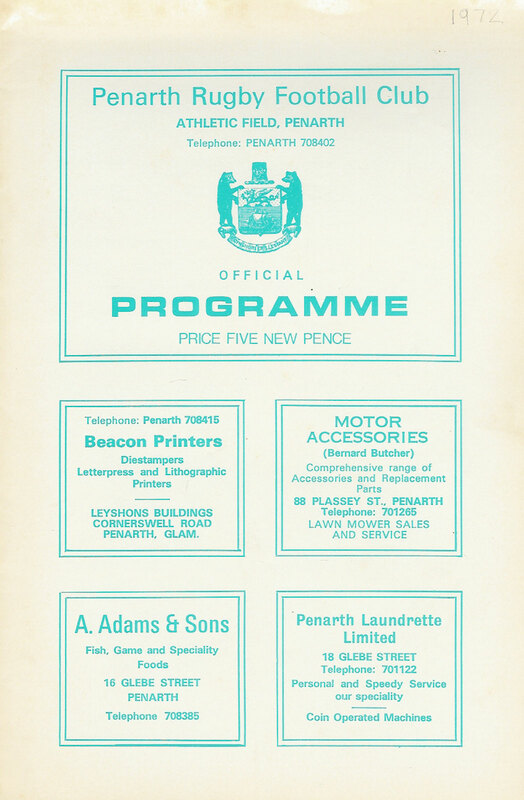 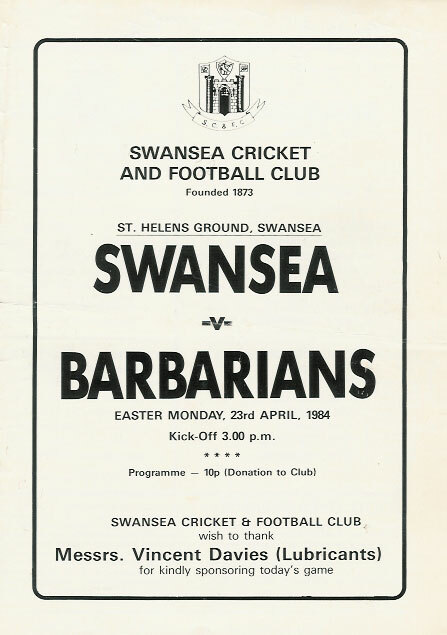 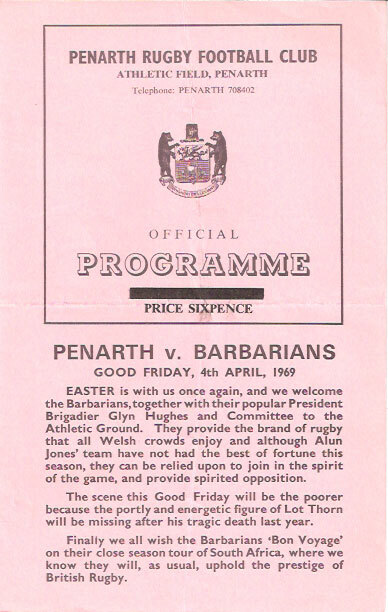 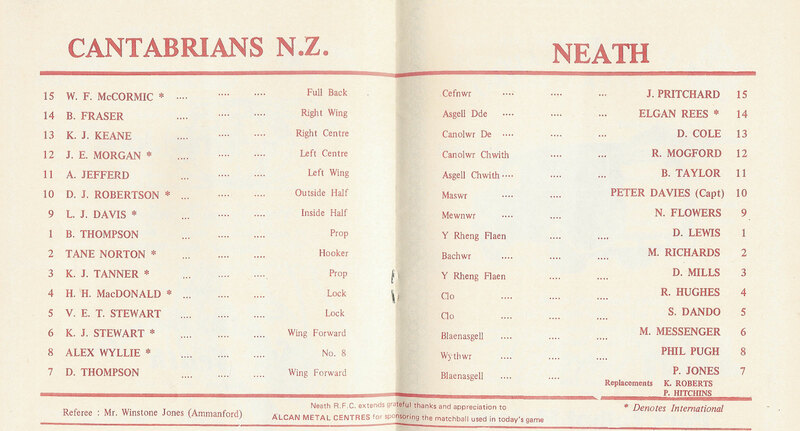 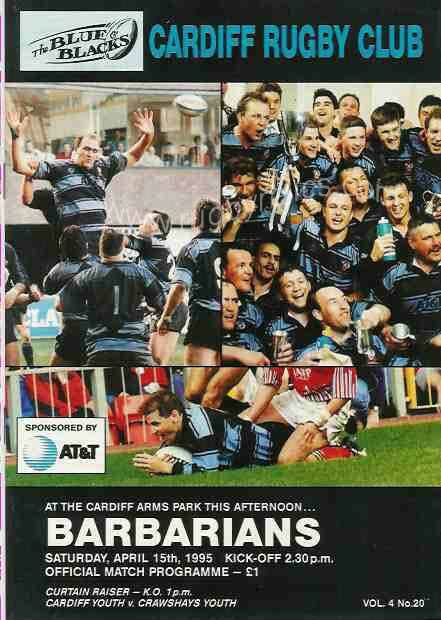 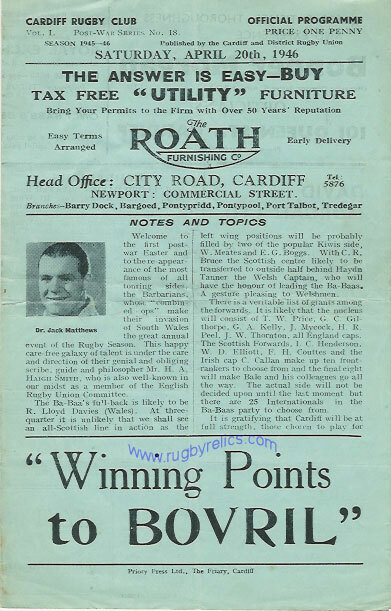 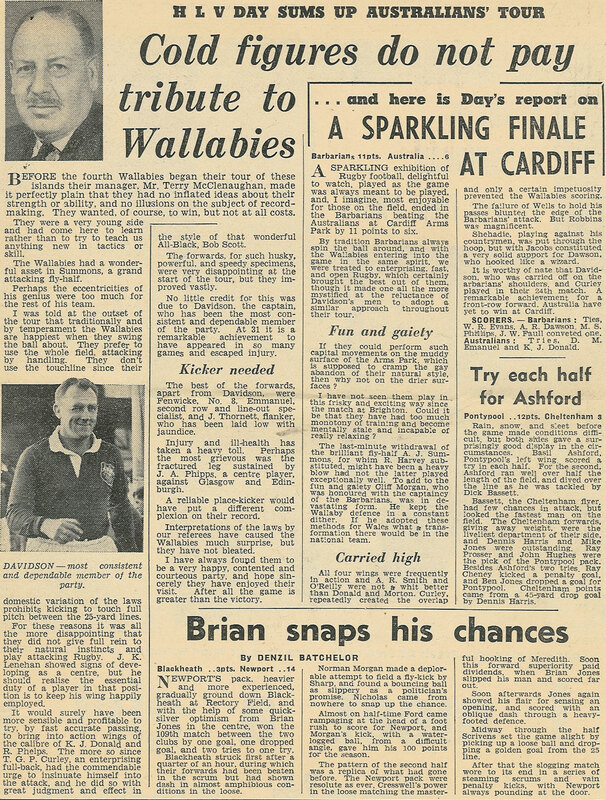 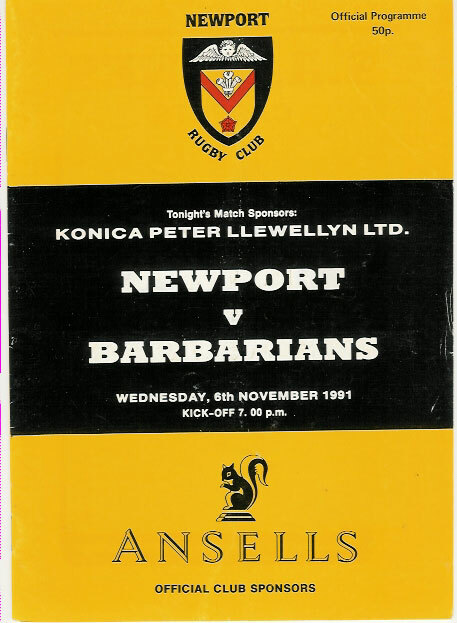 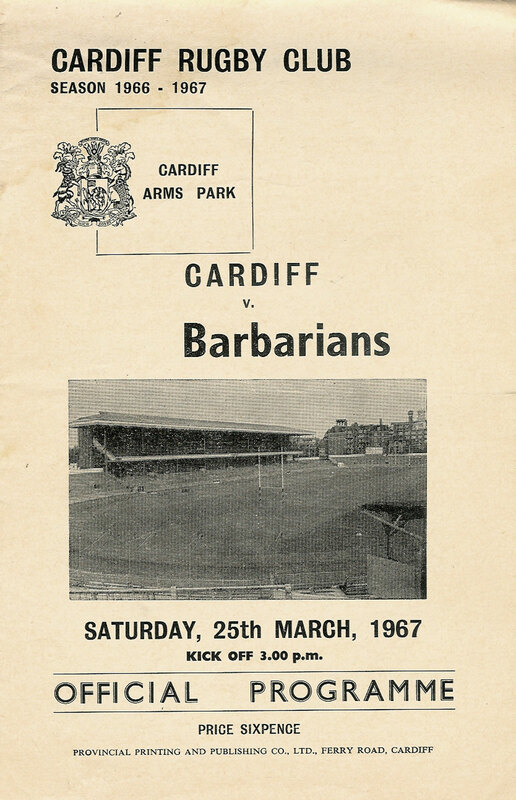 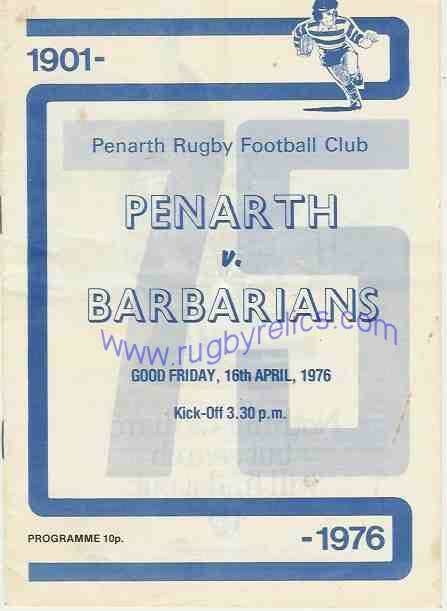 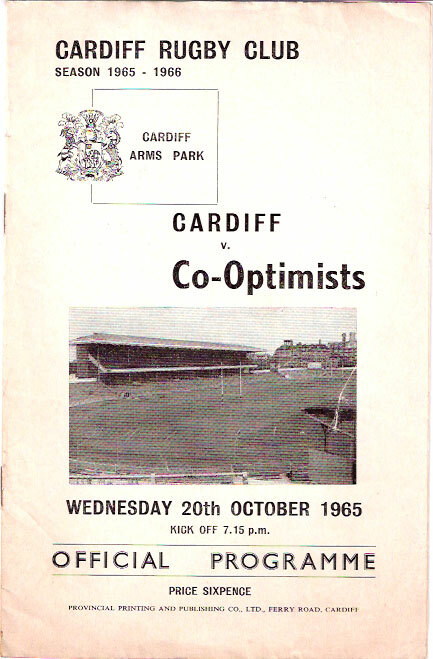 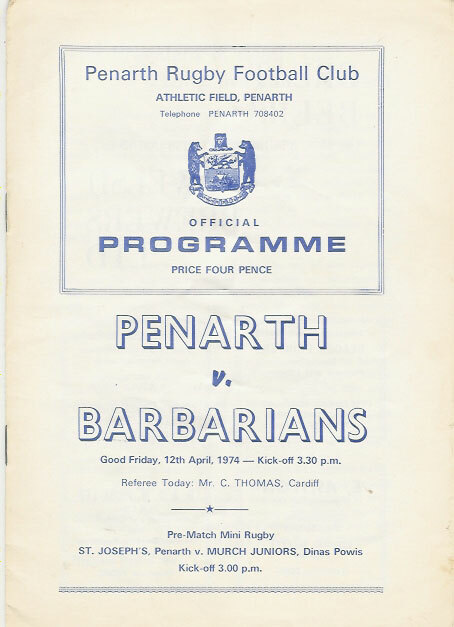 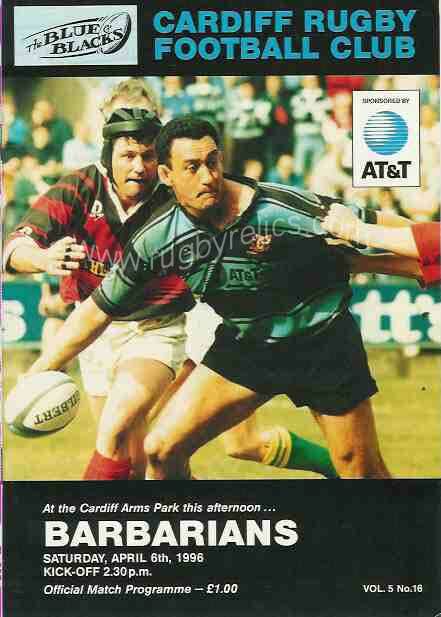 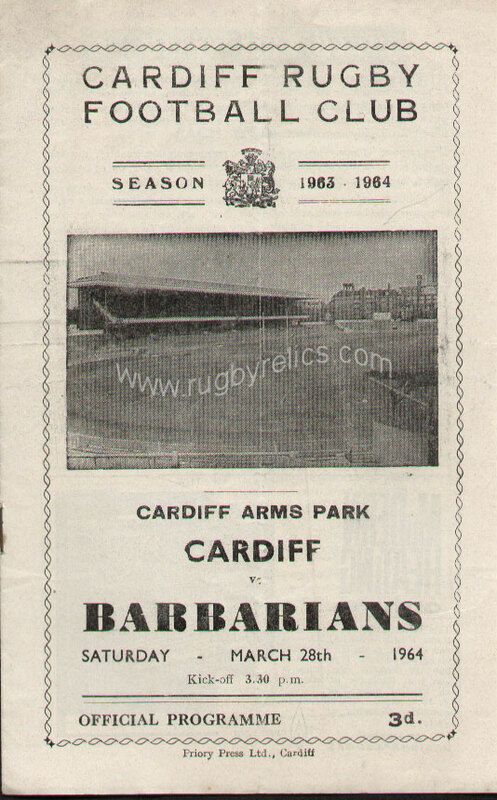 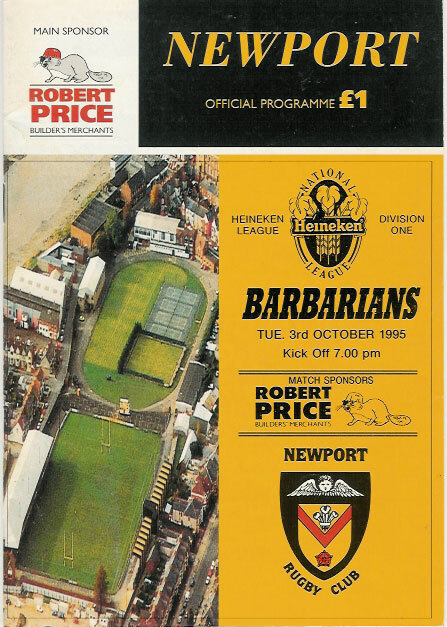 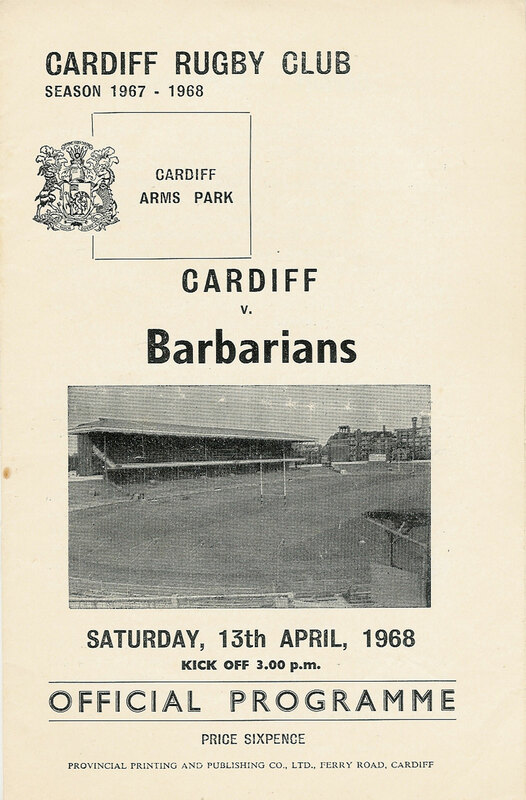 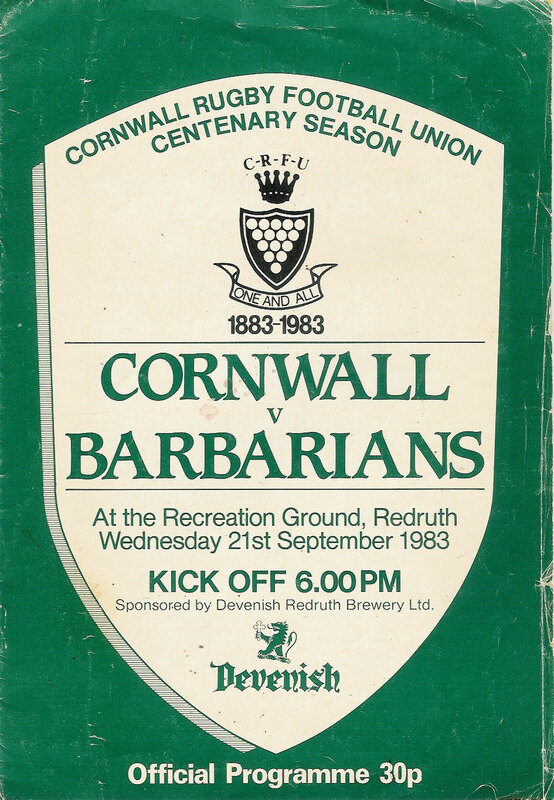 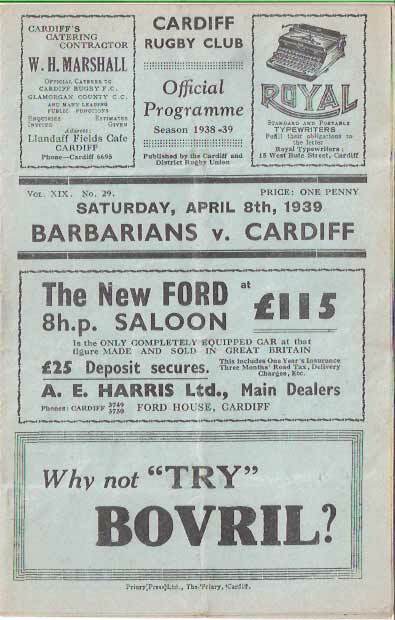 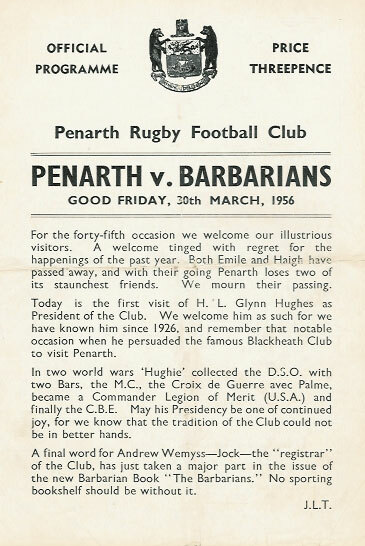 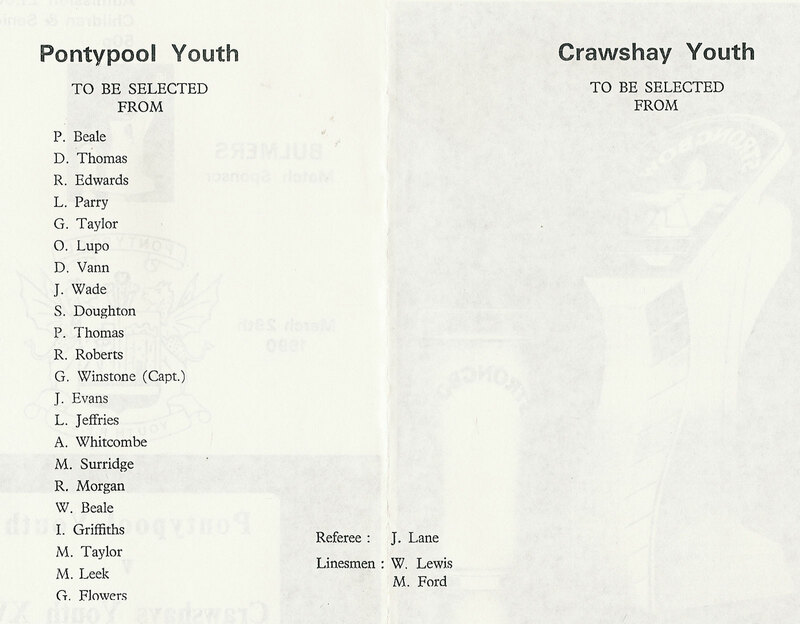 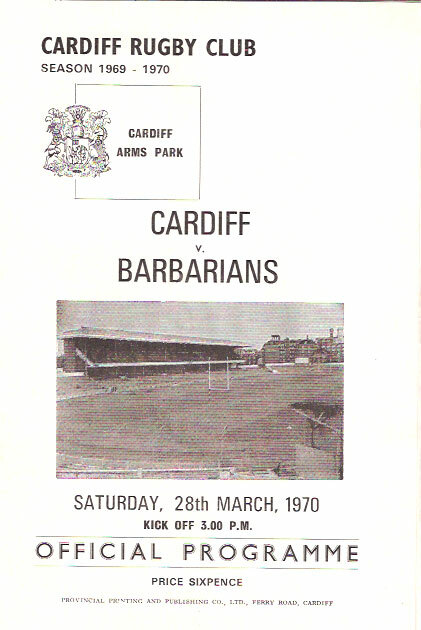 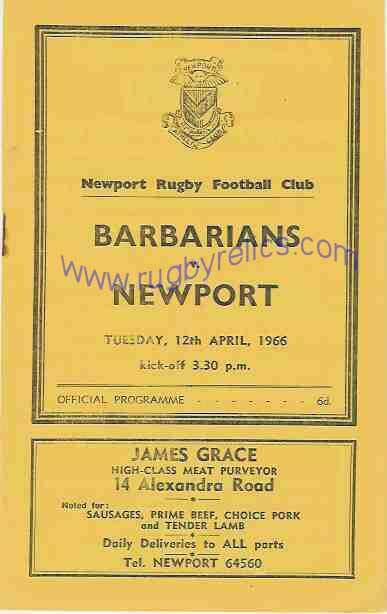 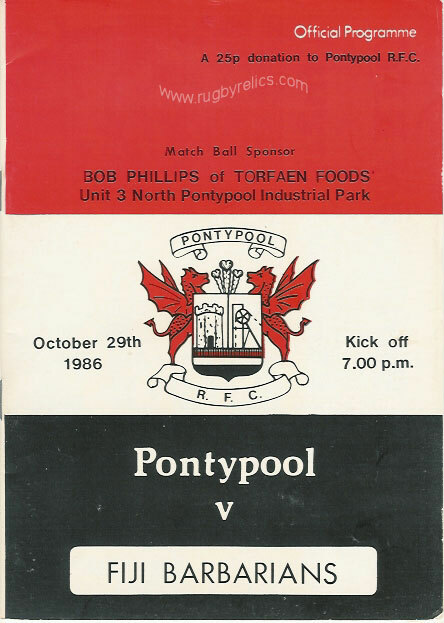 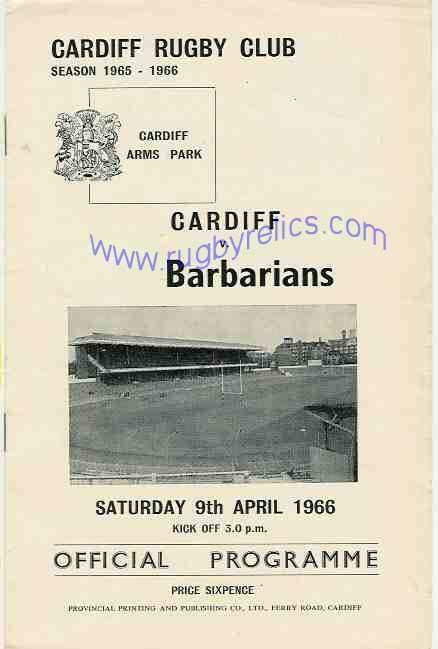 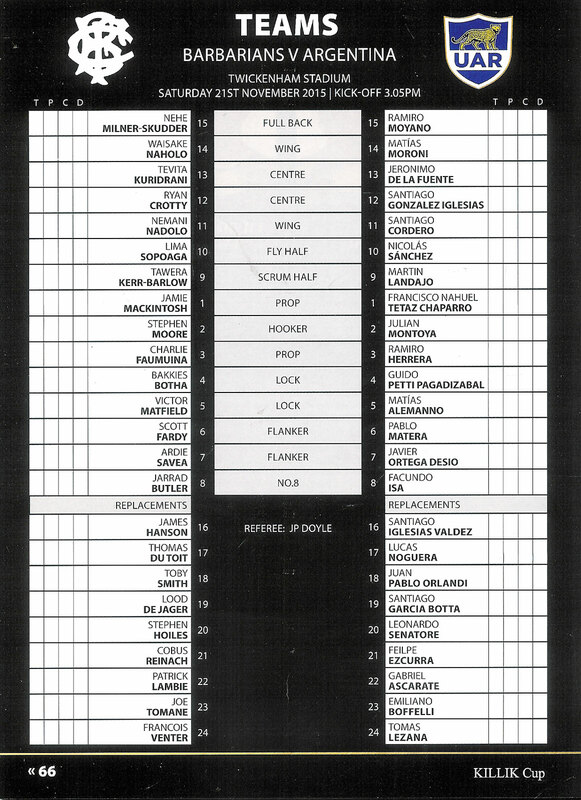 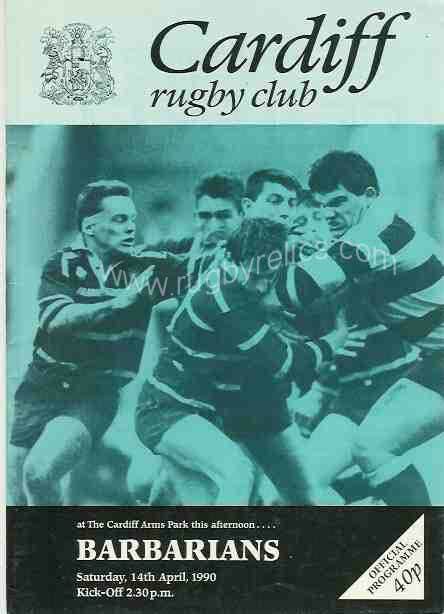 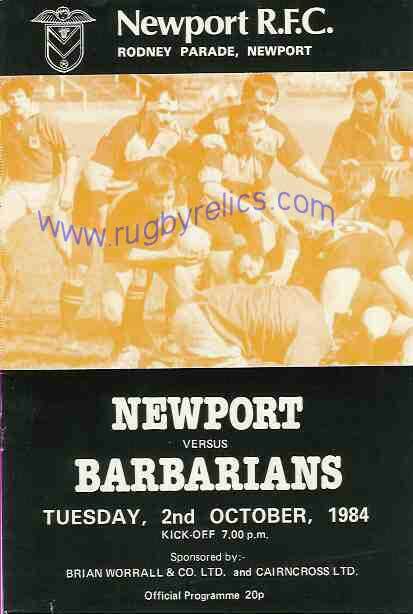 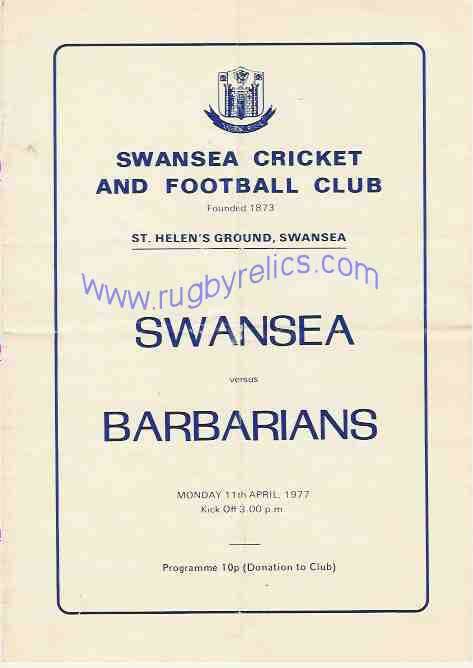 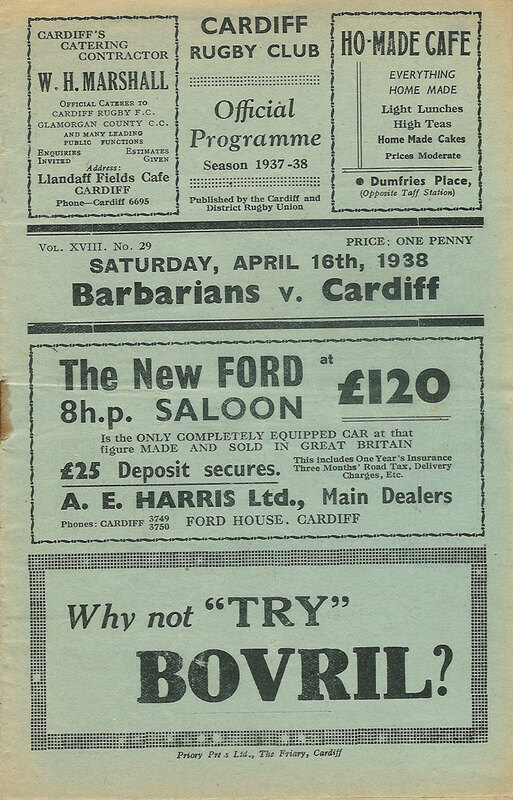 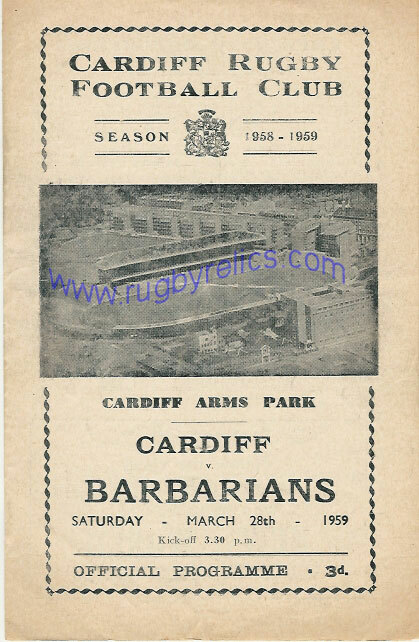 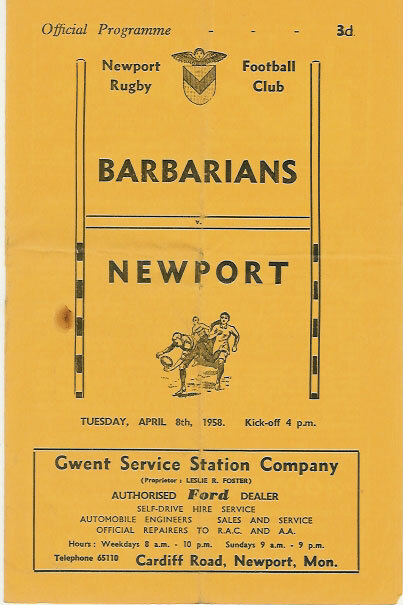 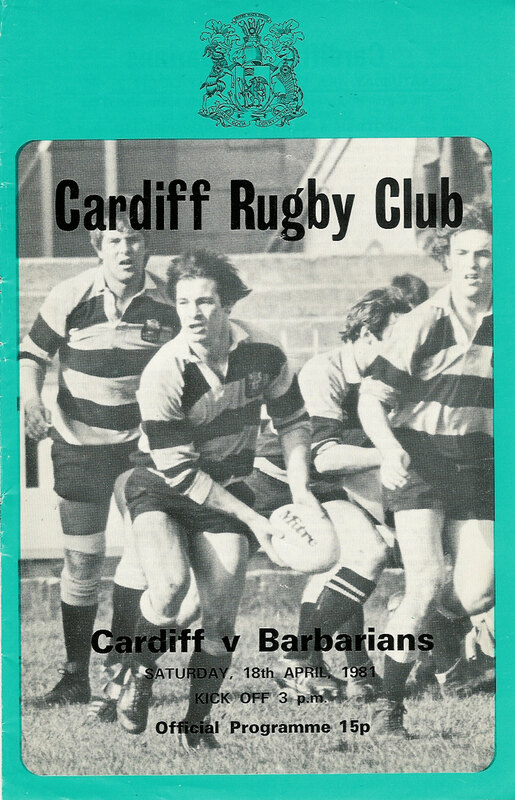 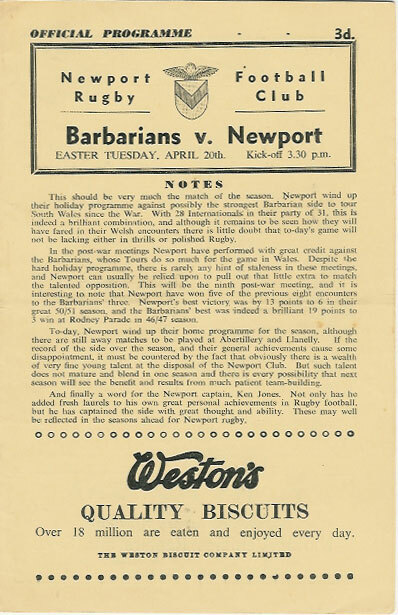 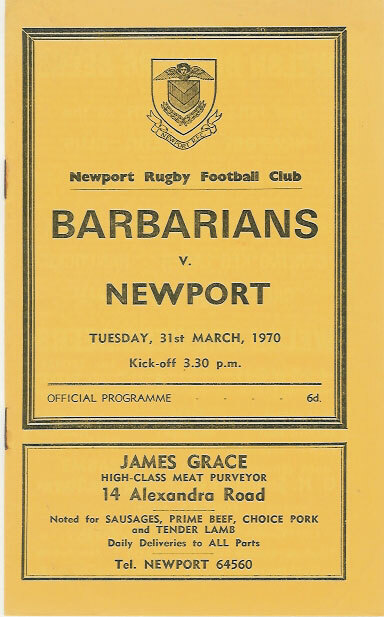 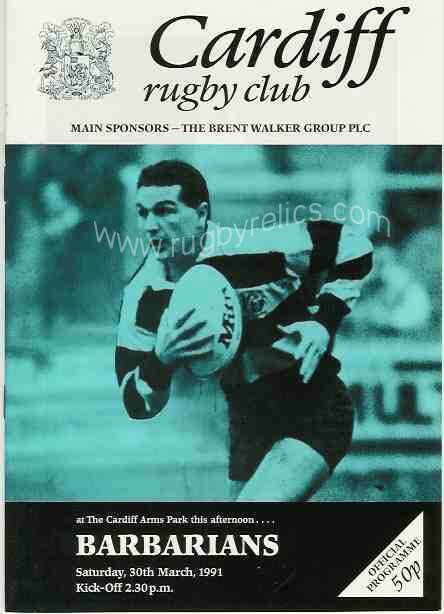 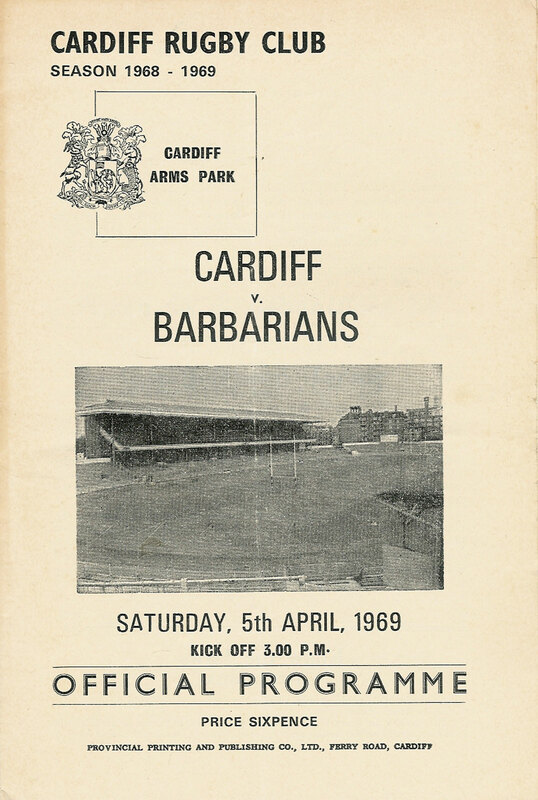 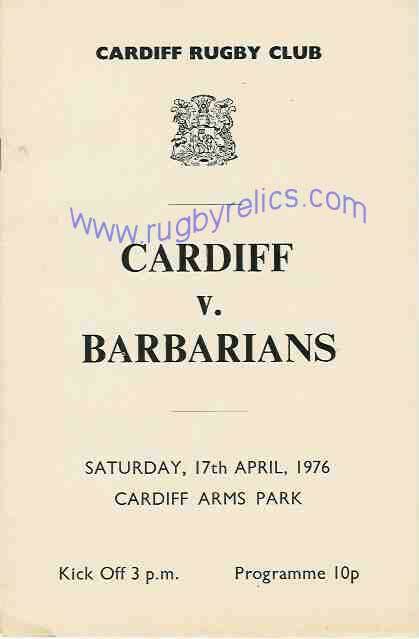 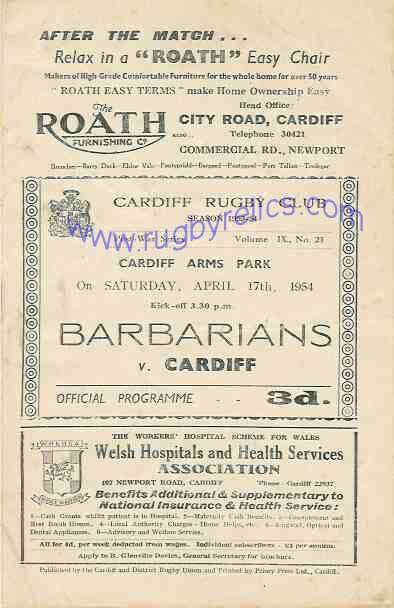 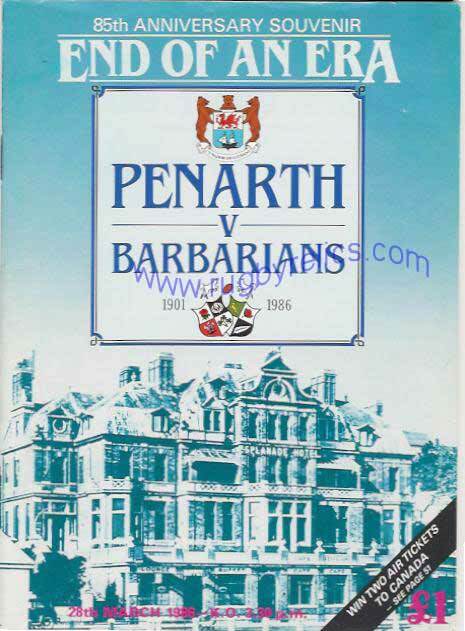 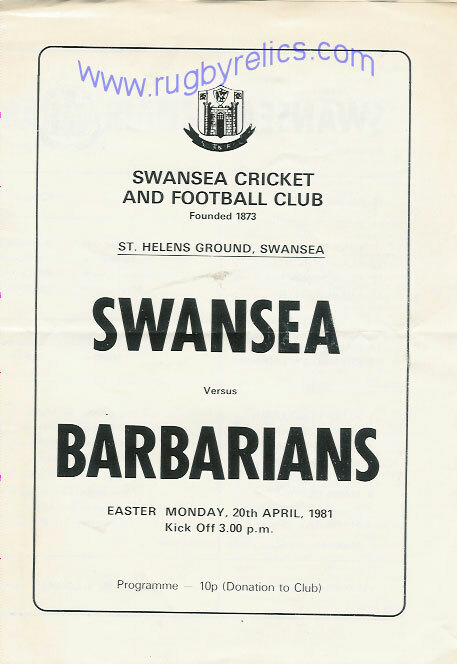 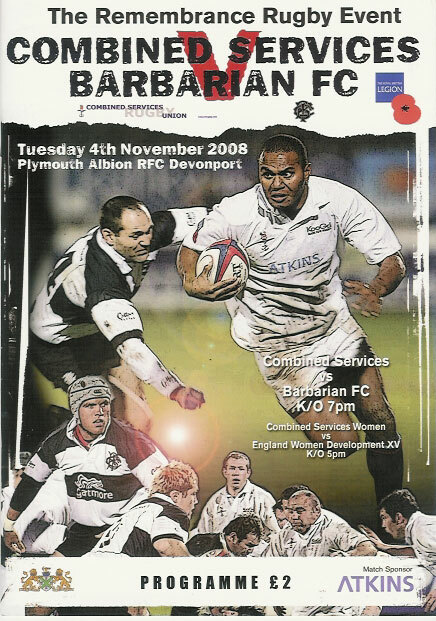 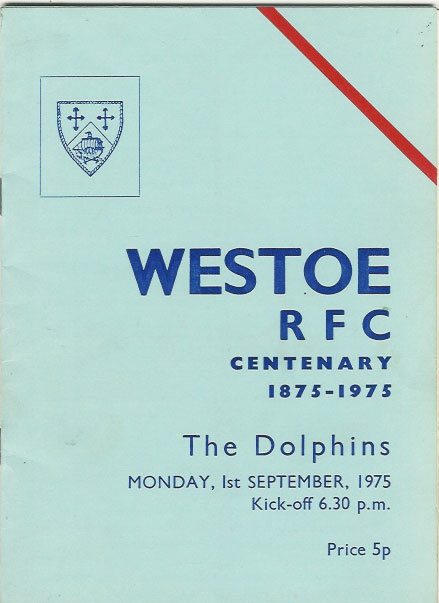 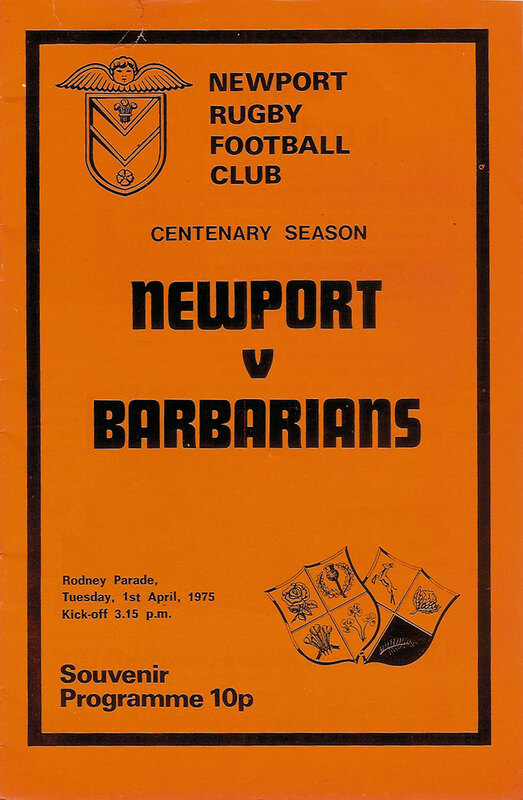 WALES v BARBARIANS programmes are catalogued on the WALES INTERNATIONAL PROGRAMMES page. 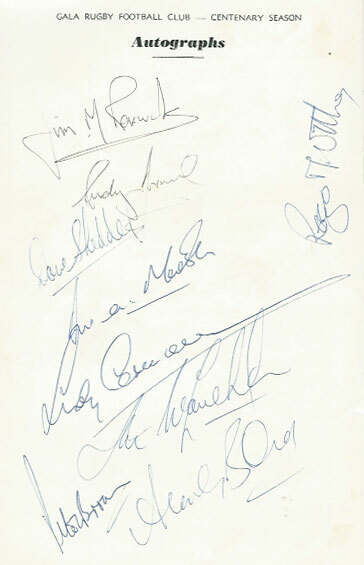 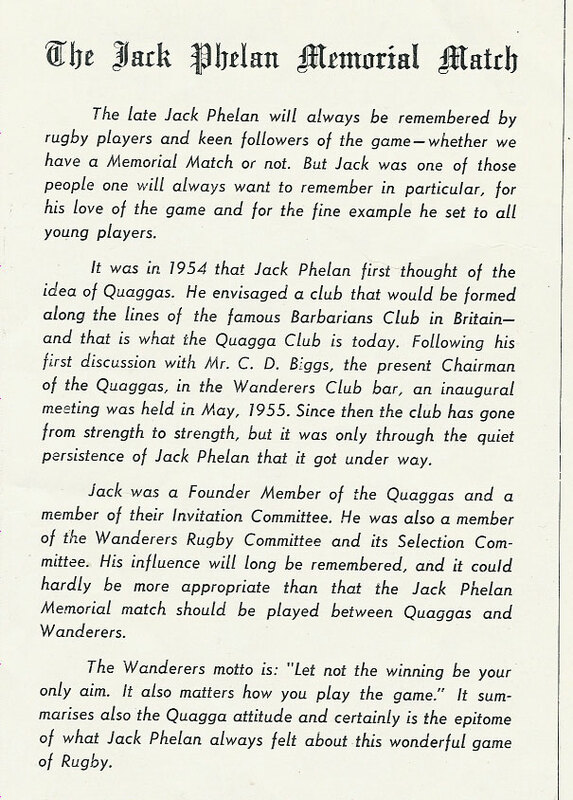 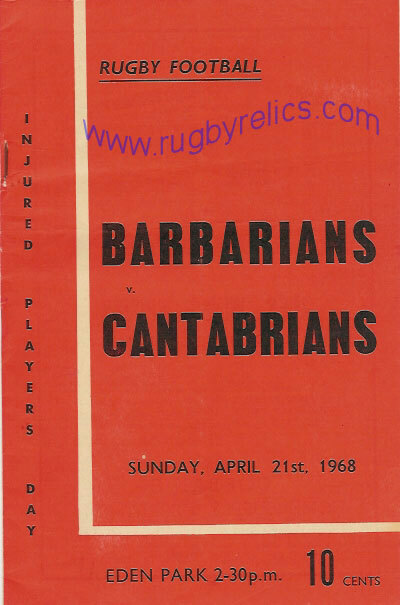 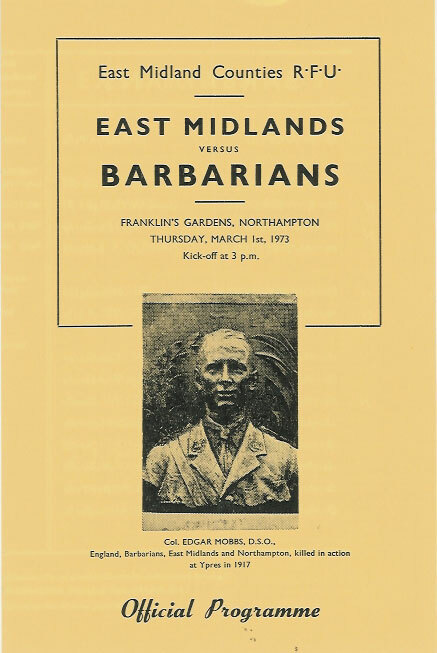 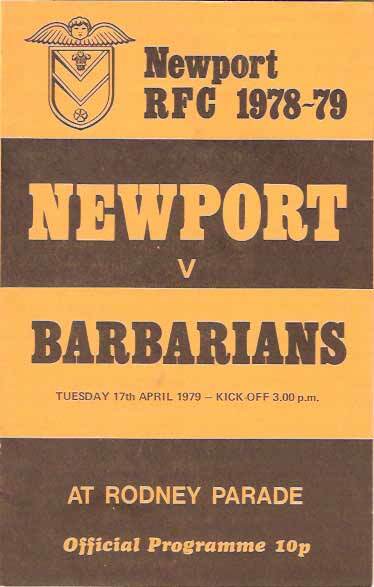 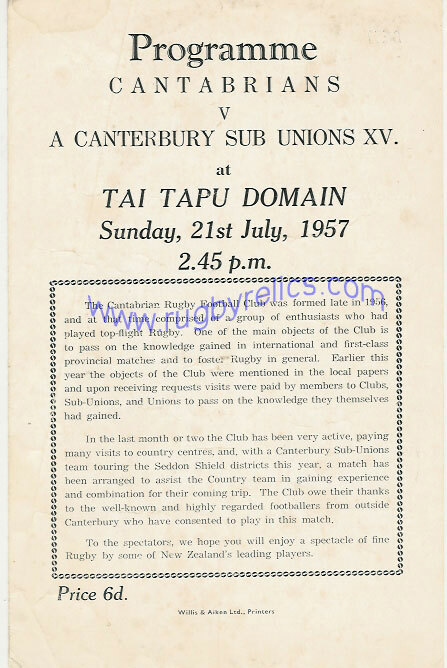 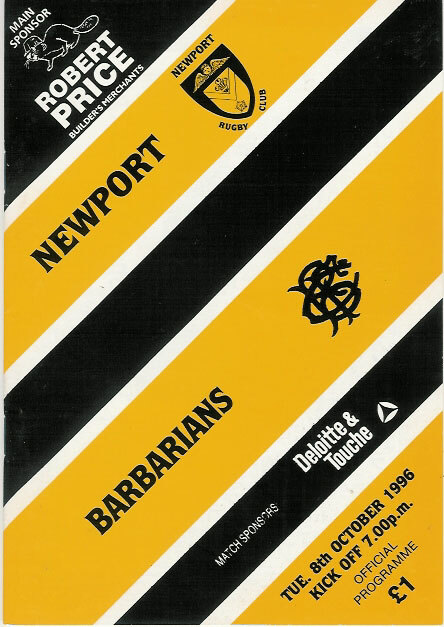 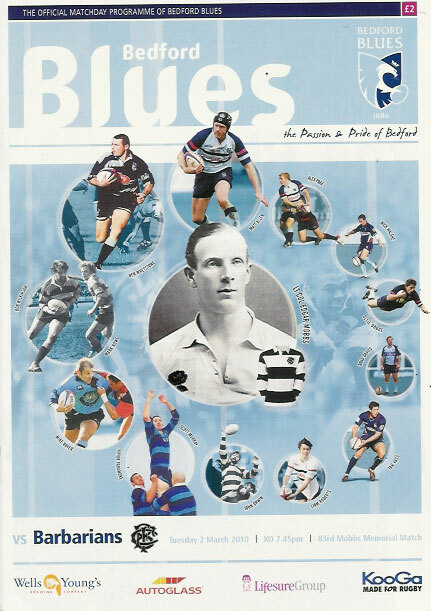 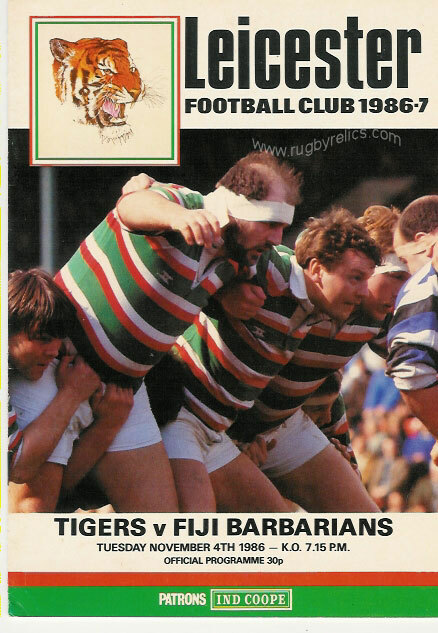 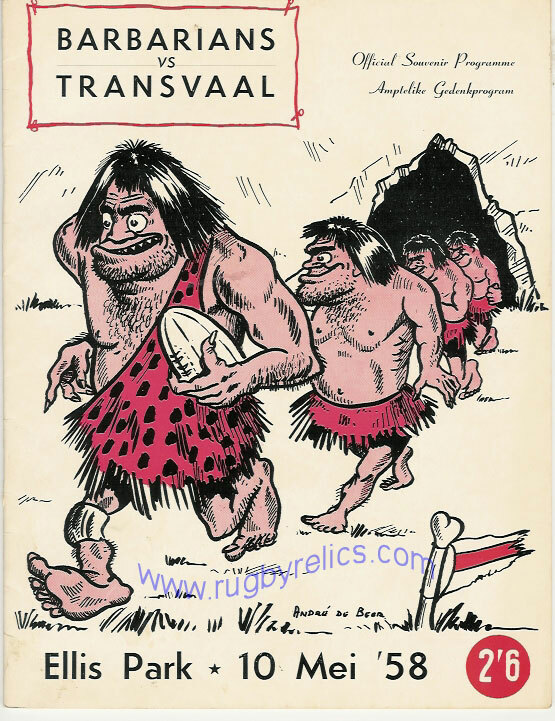 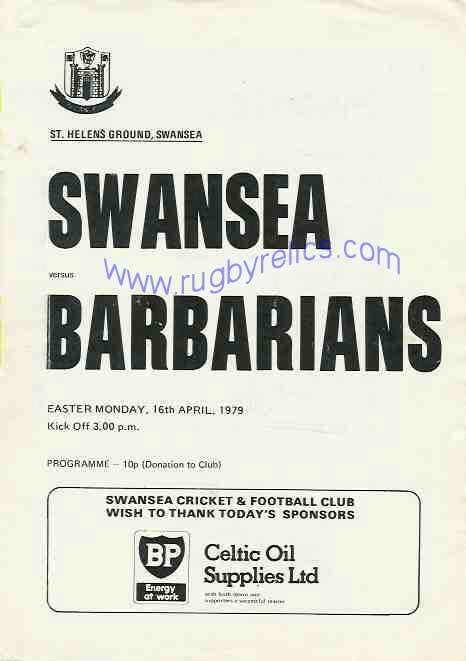 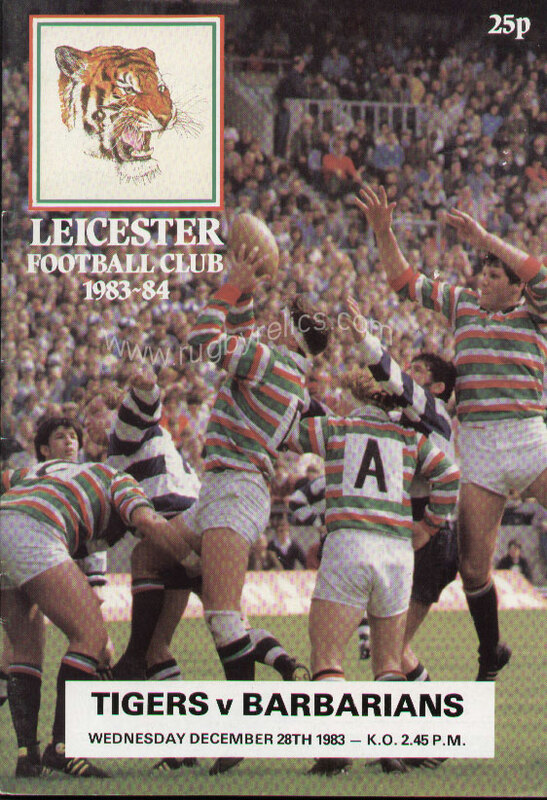 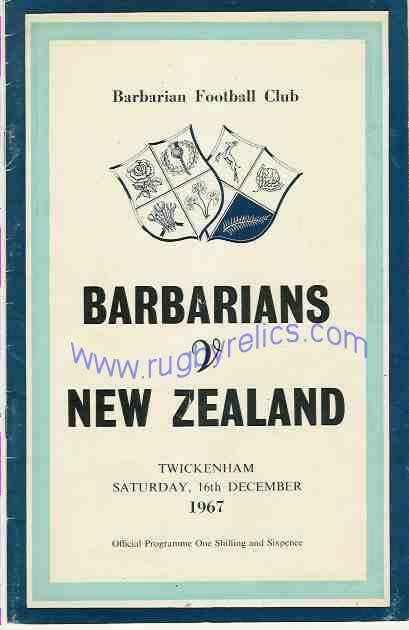 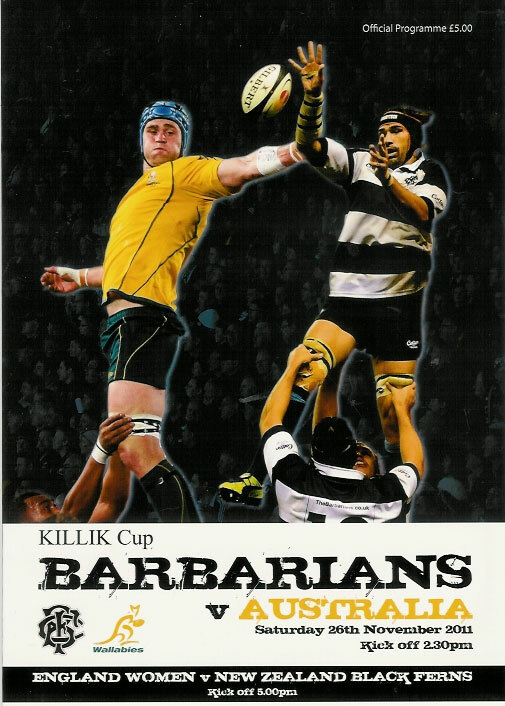 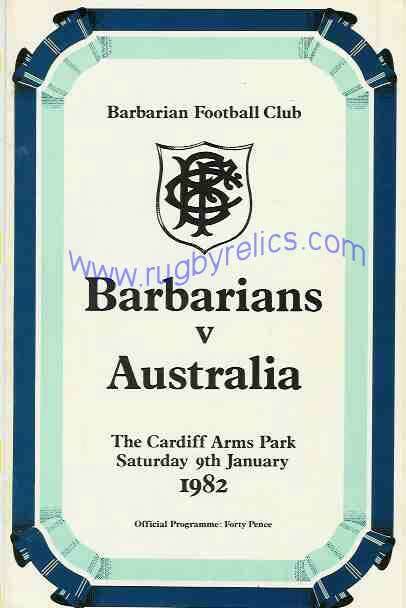 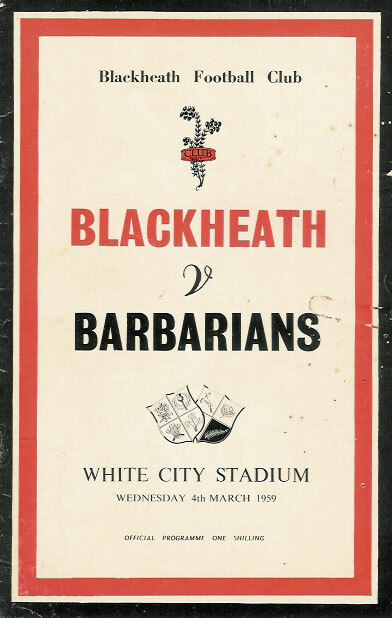 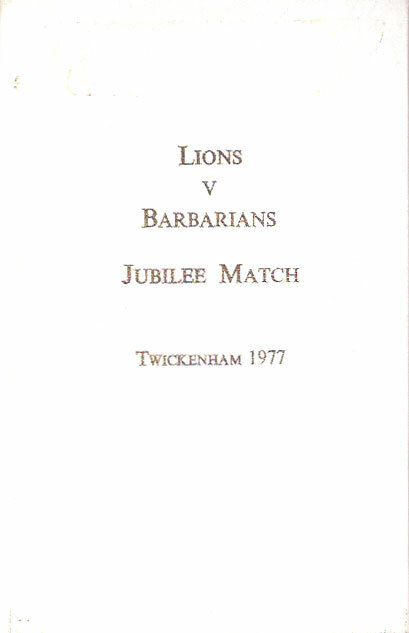 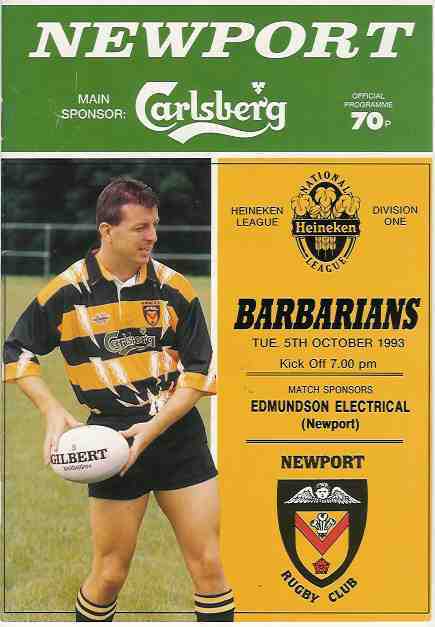 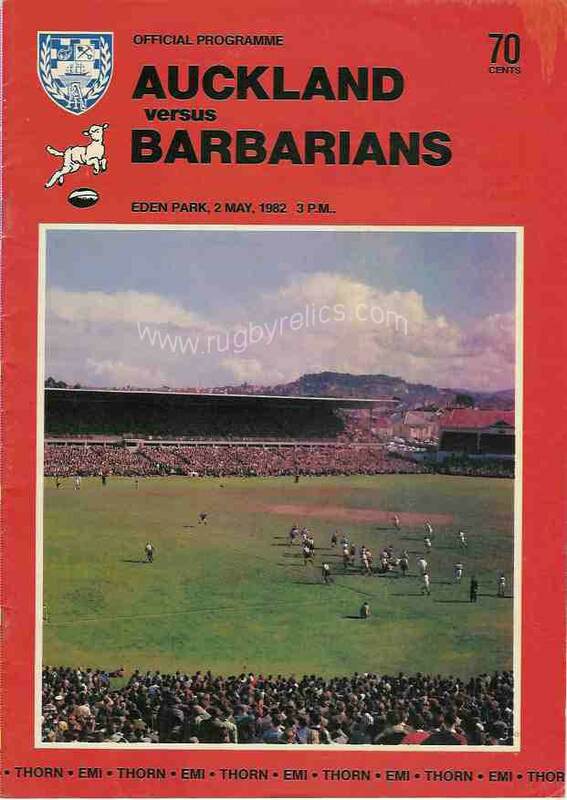 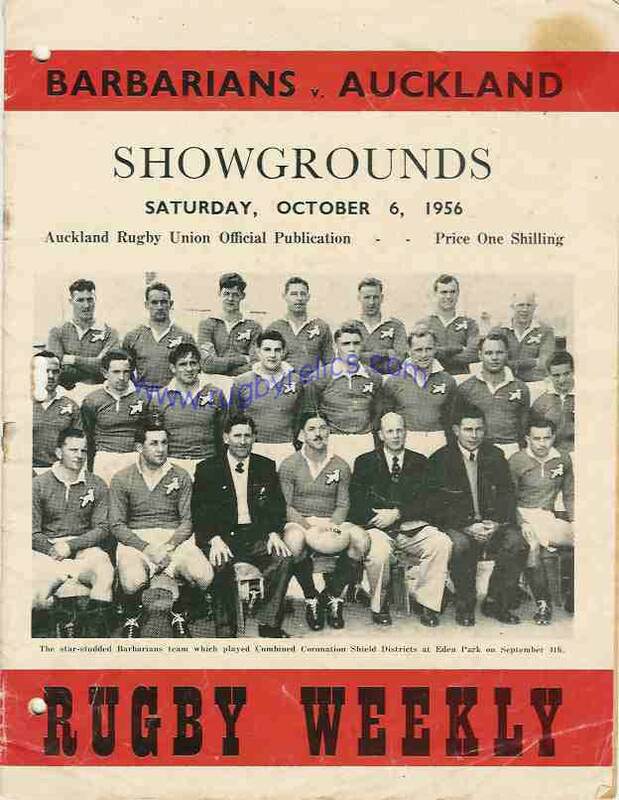 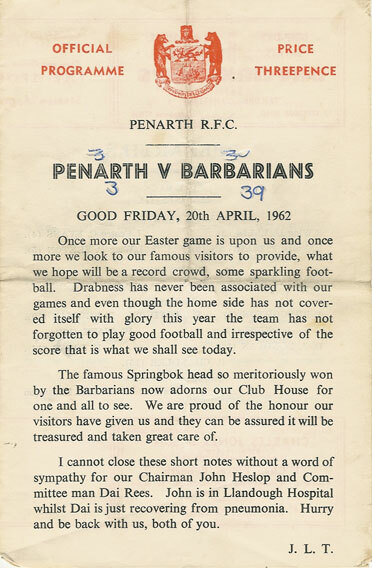 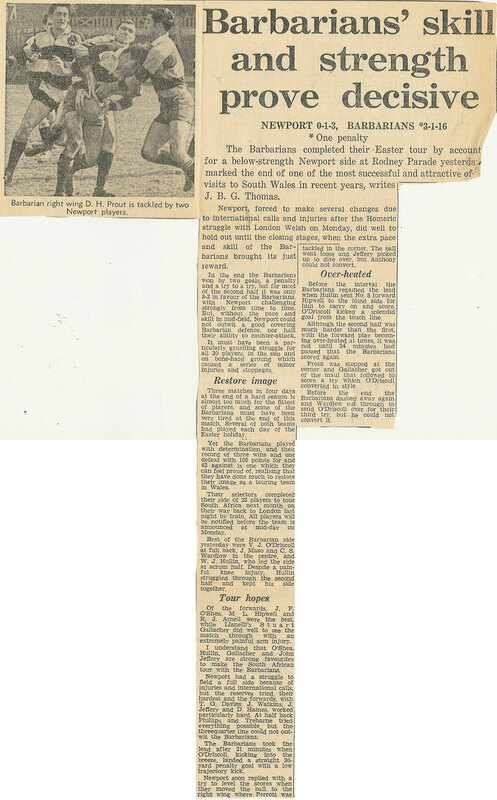 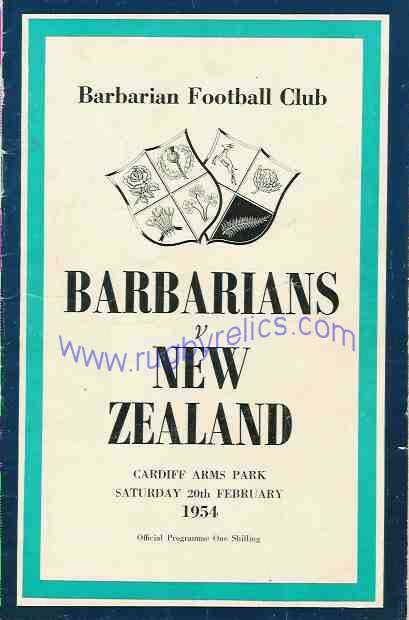 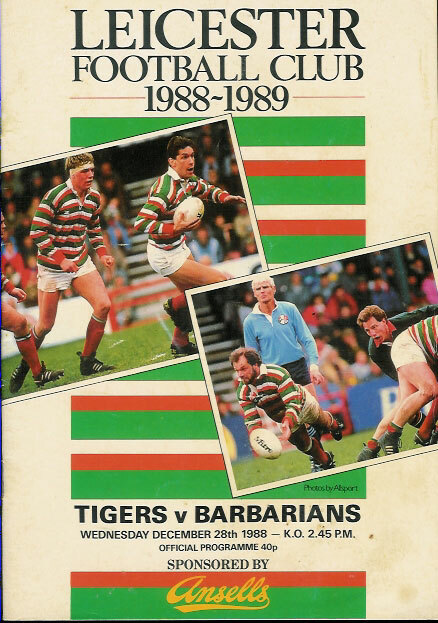 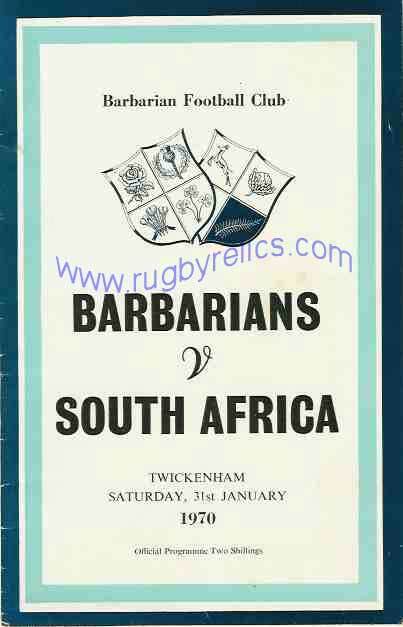 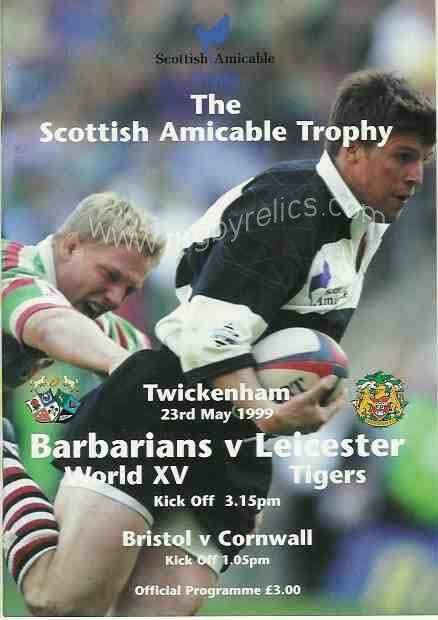 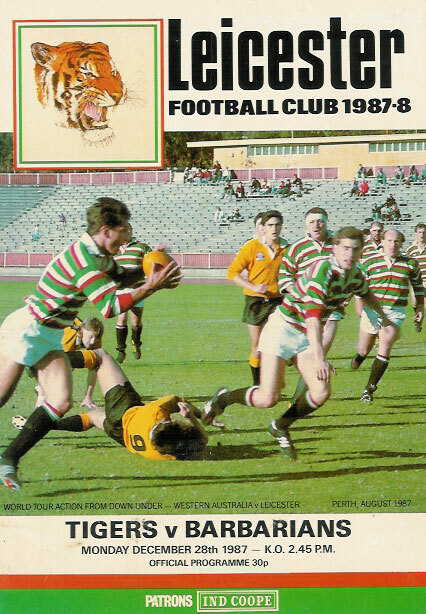 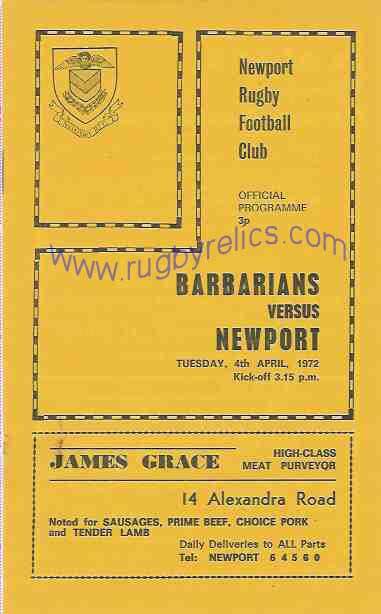 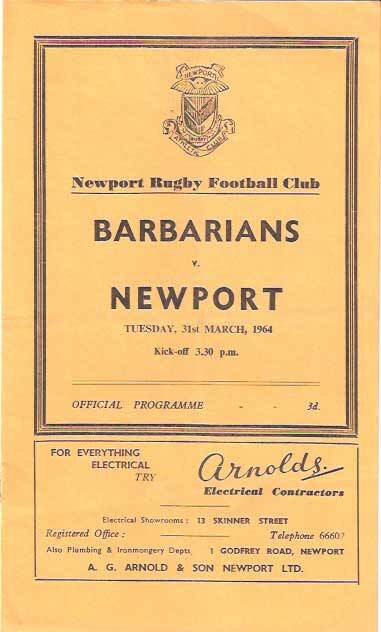 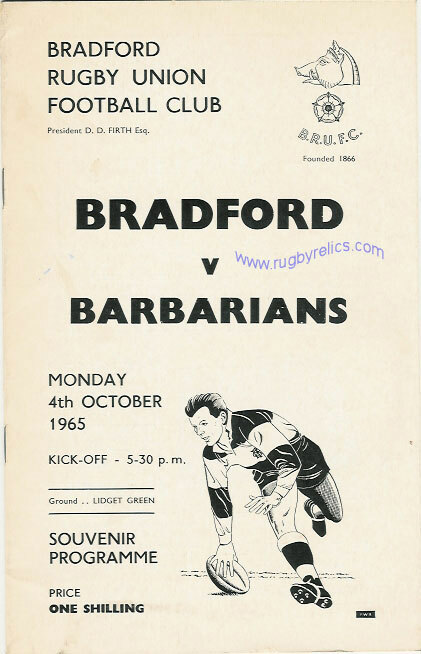 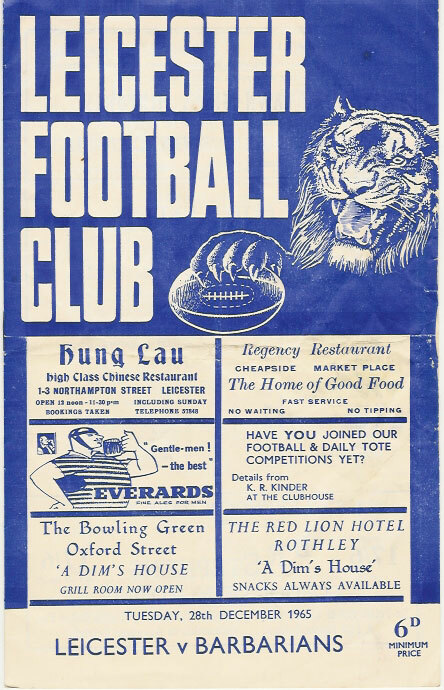 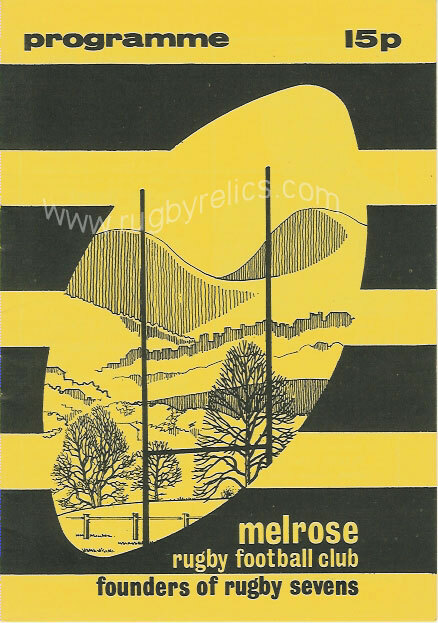 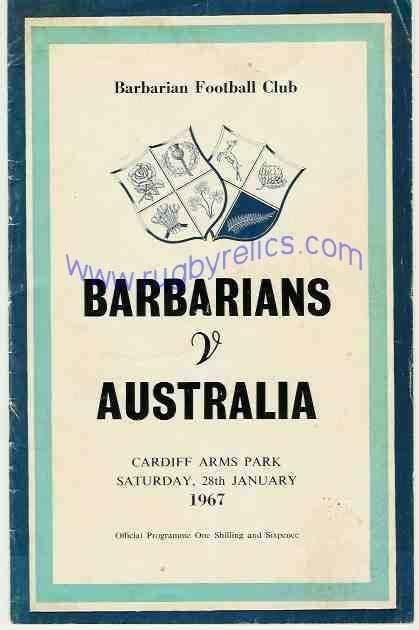 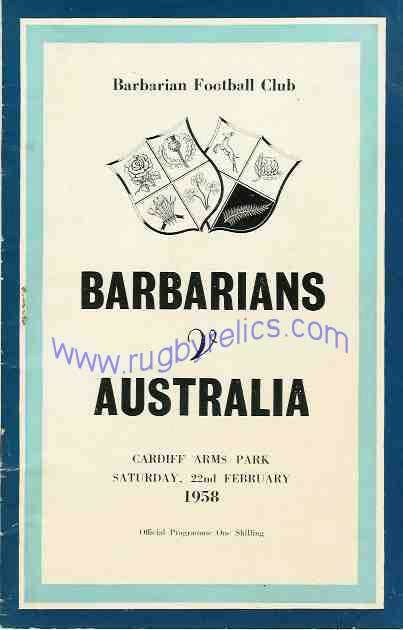 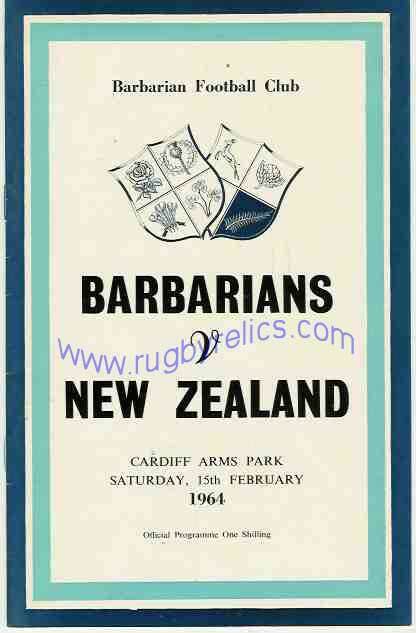 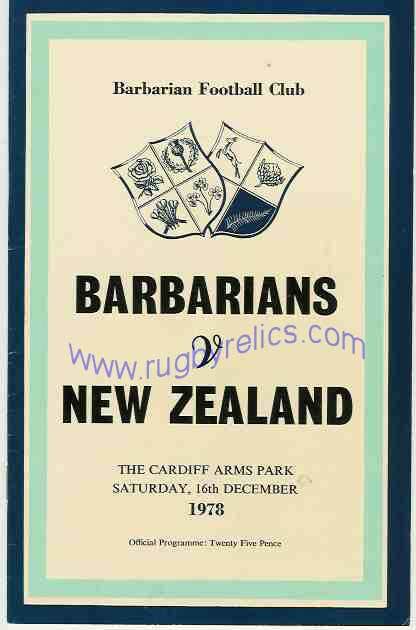 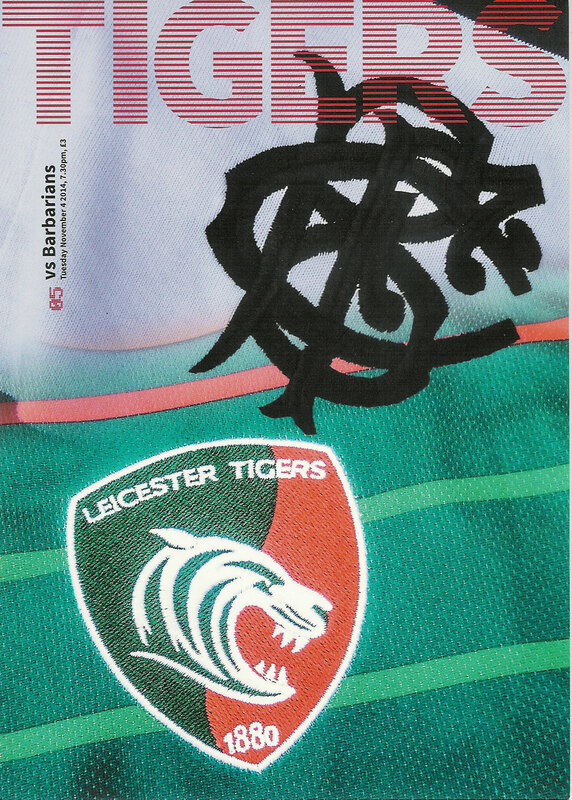 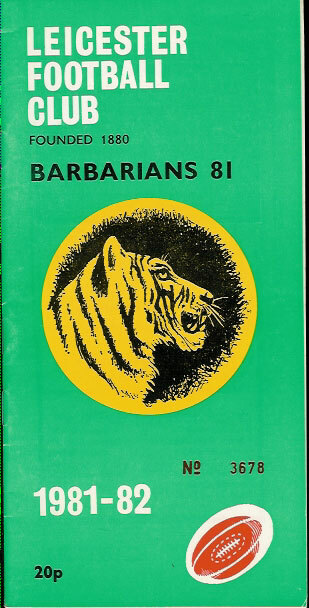 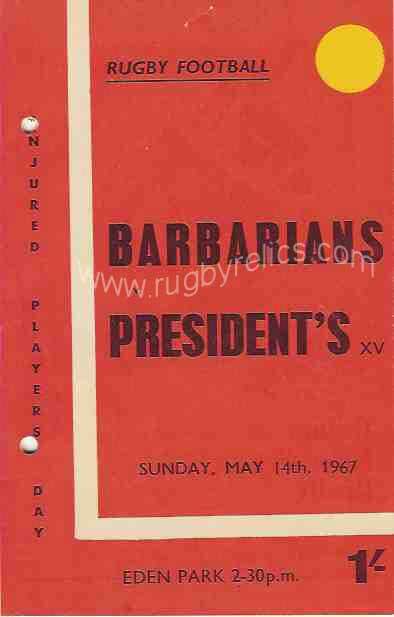 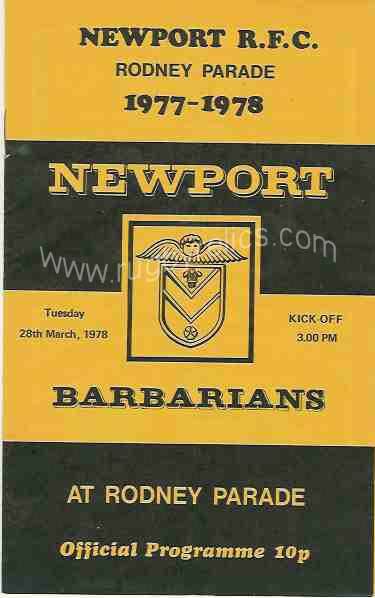 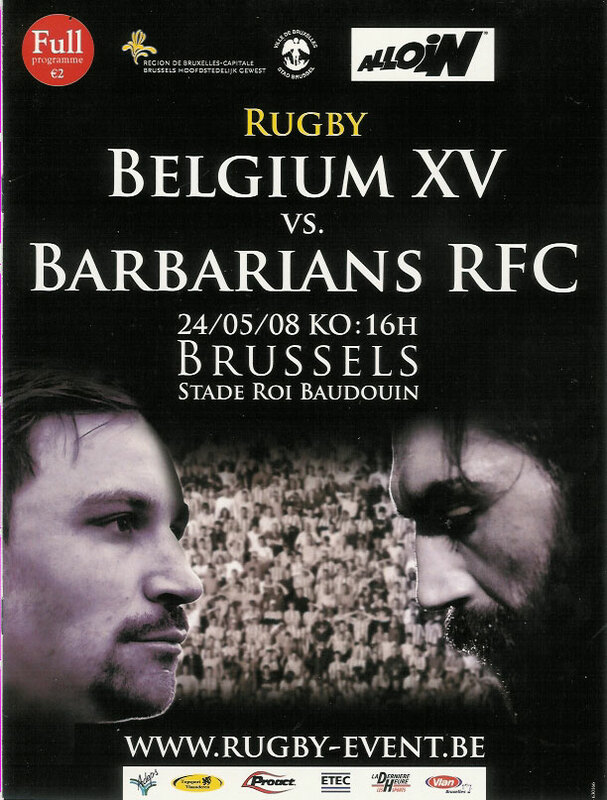 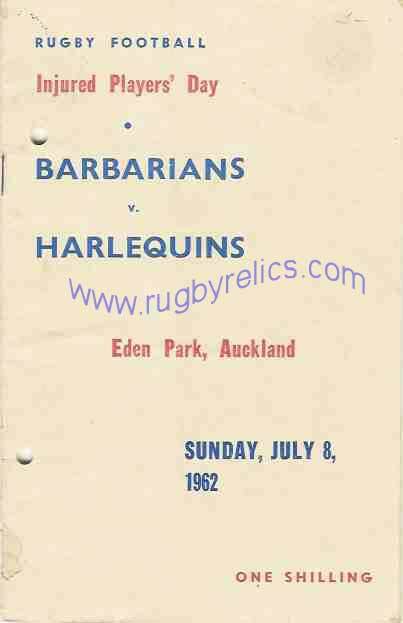 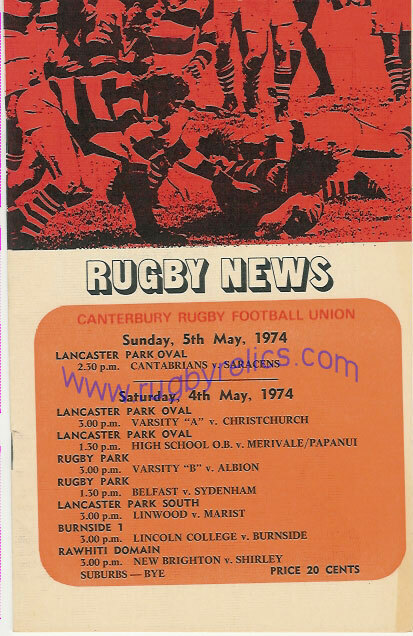 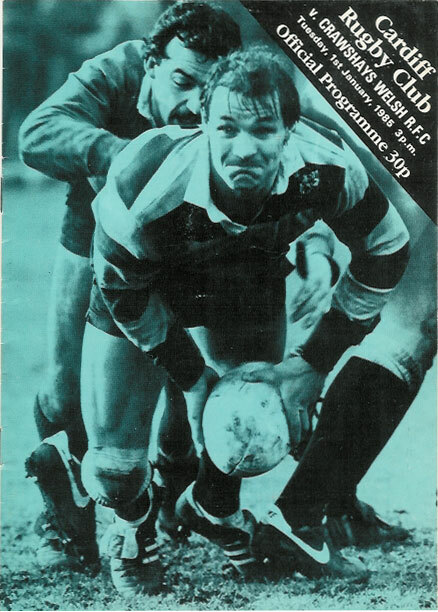 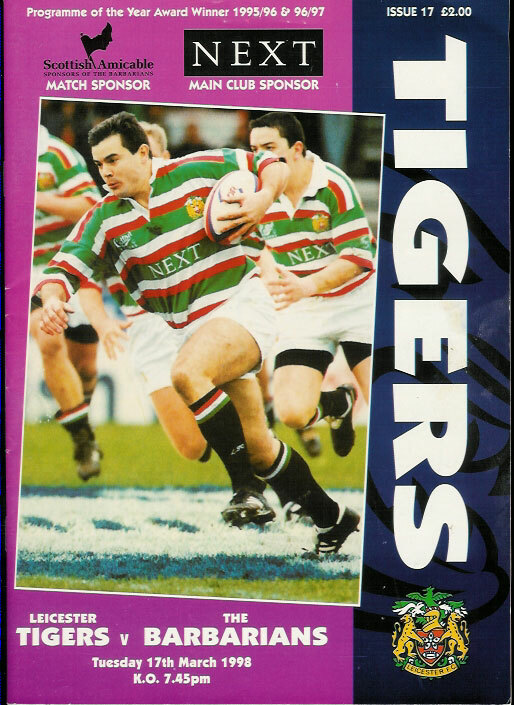 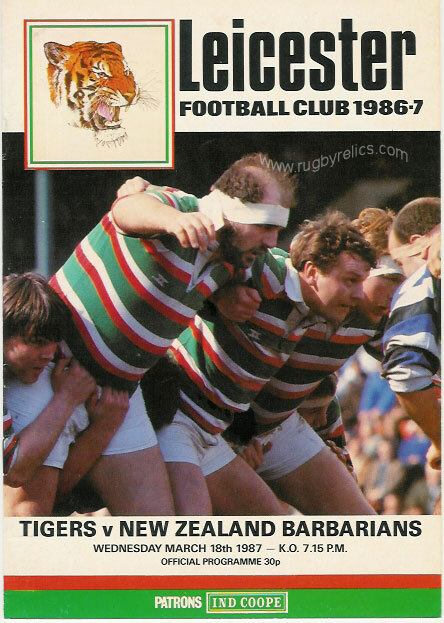 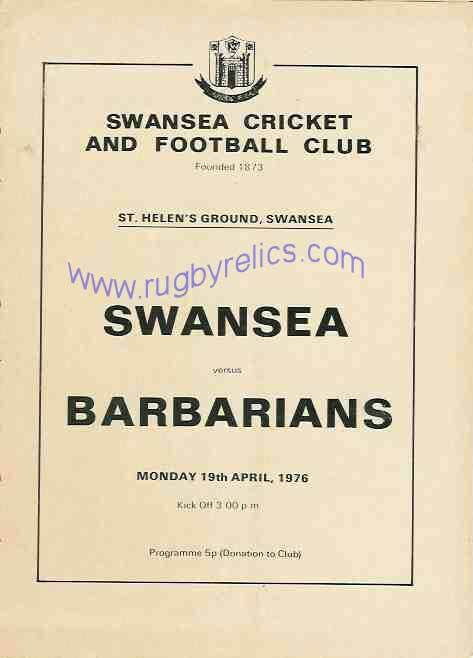 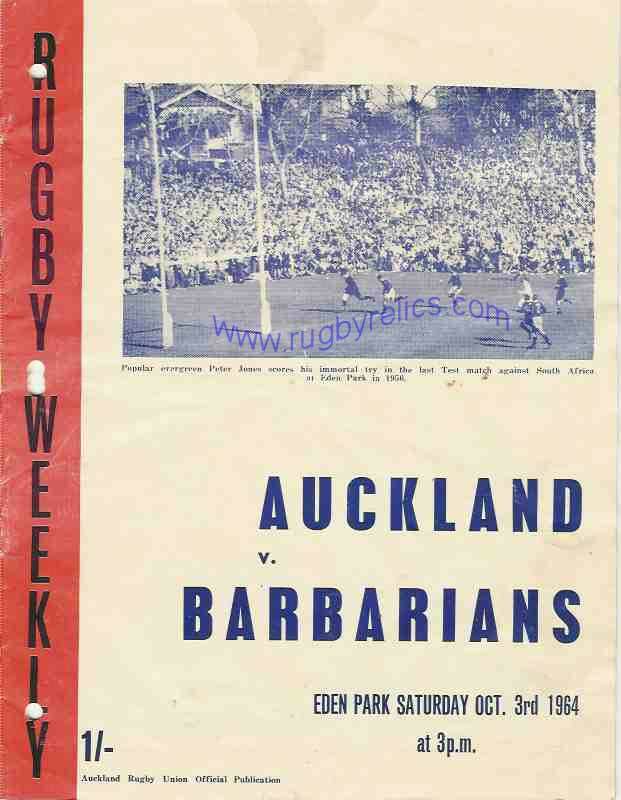 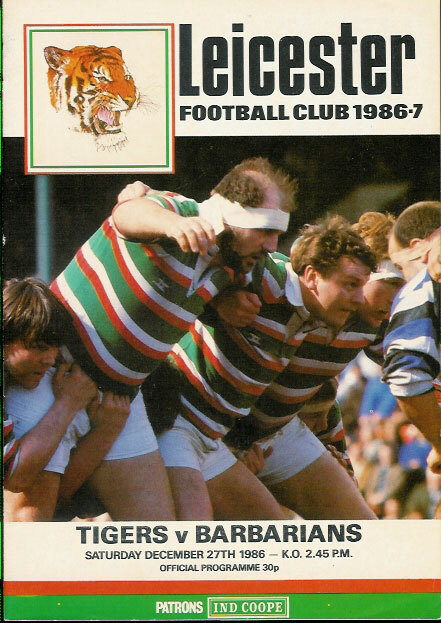 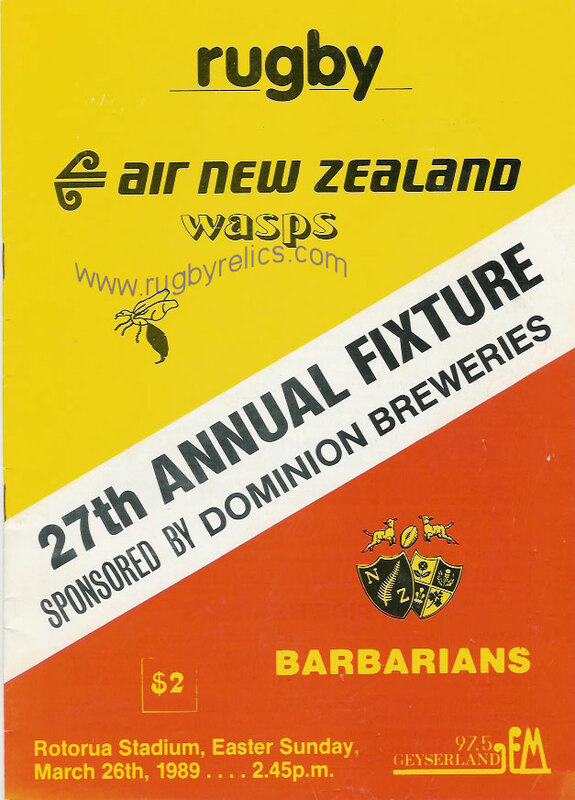 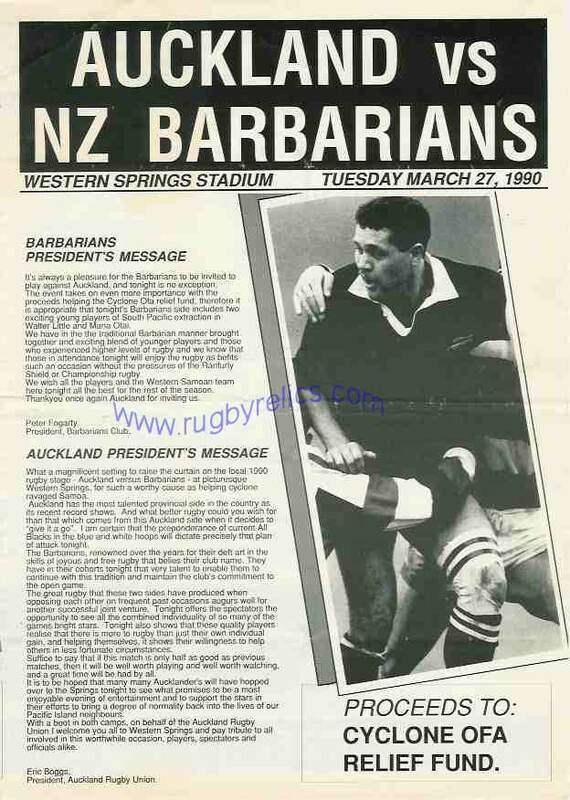 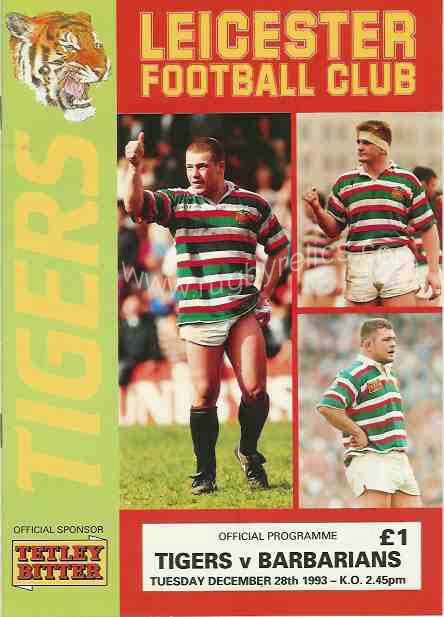 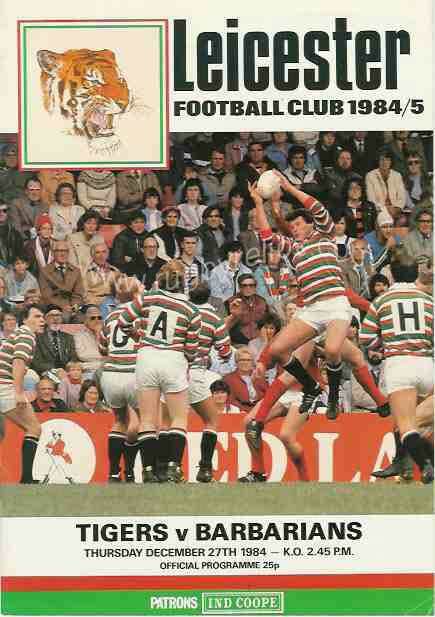 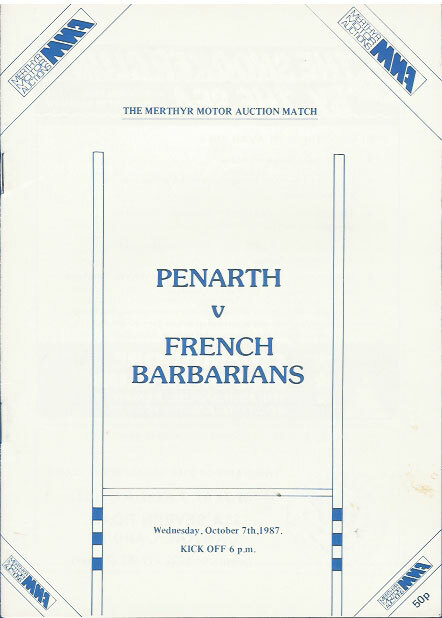 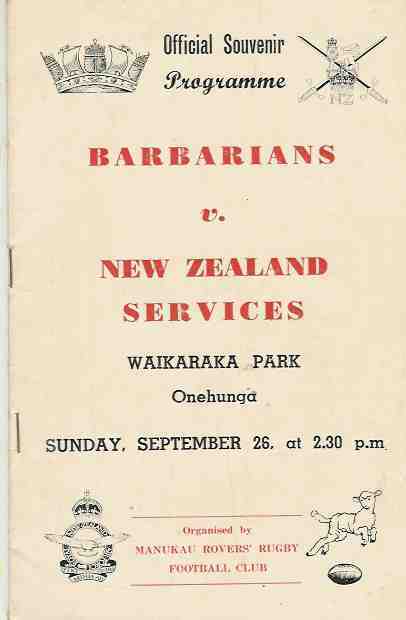 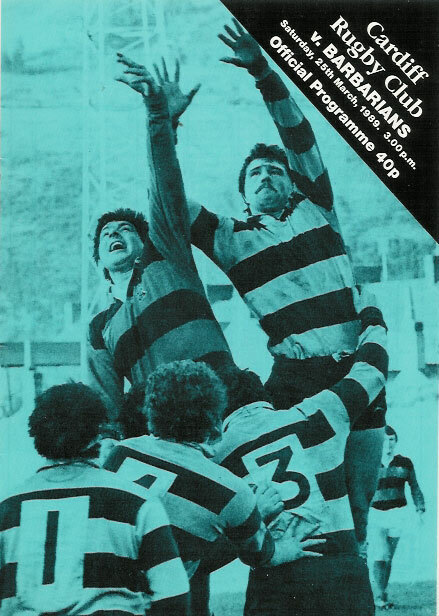 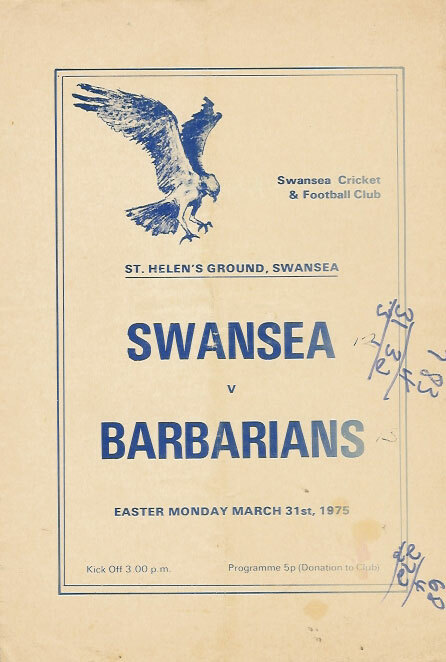 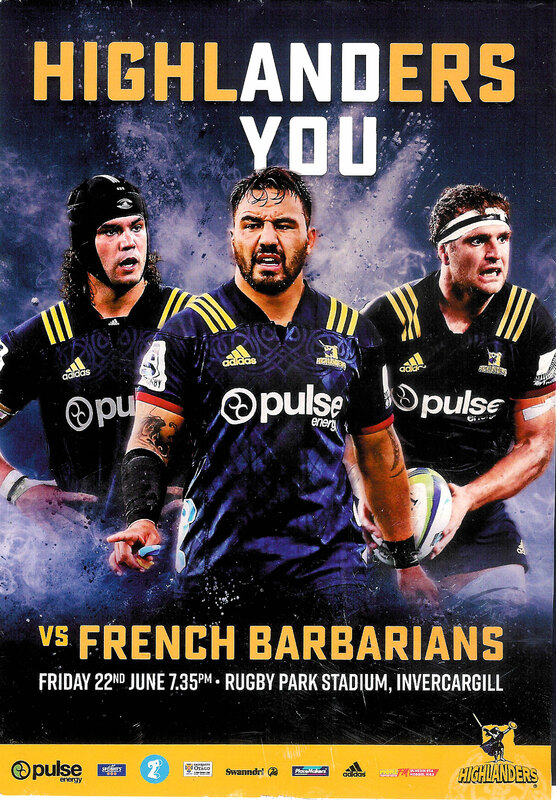 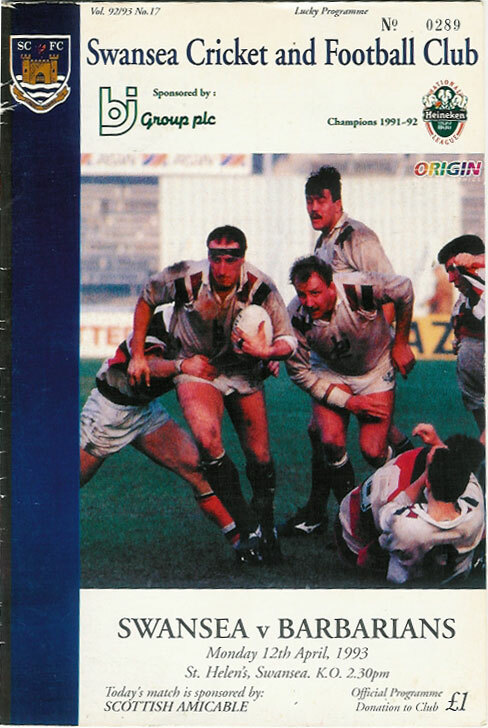 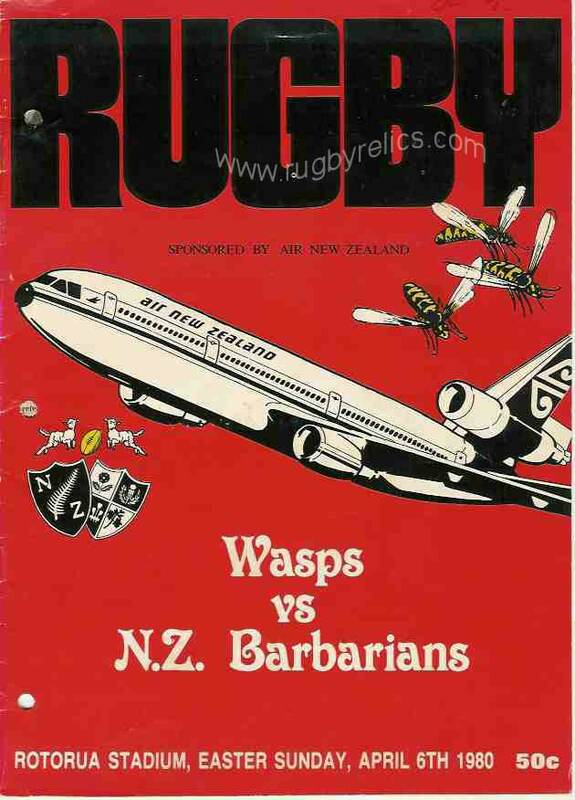 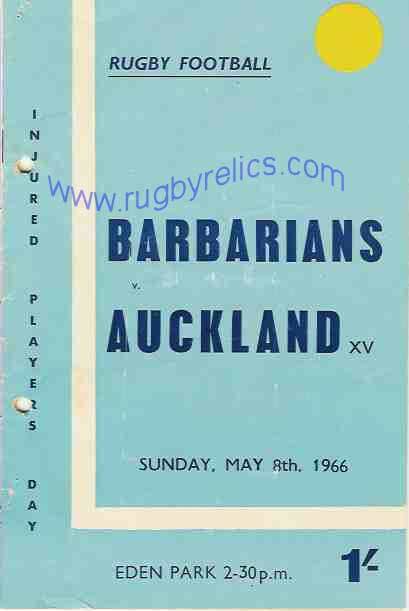 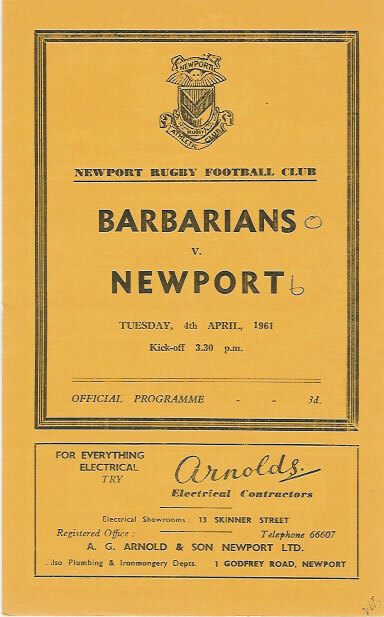 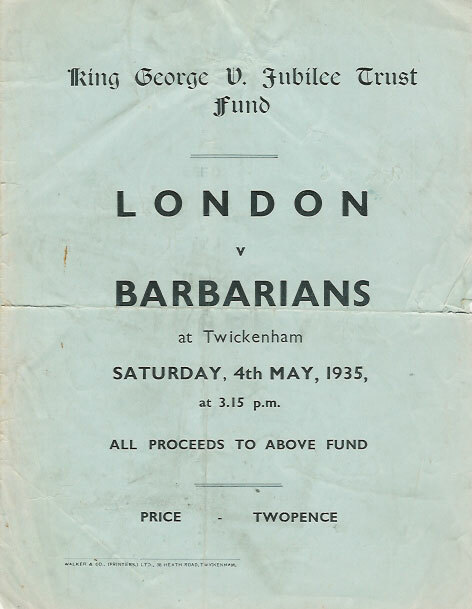 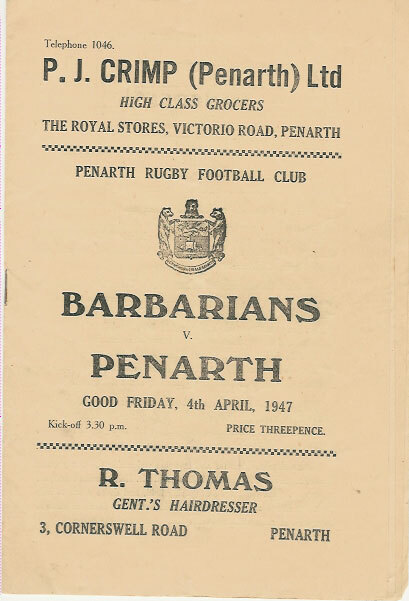 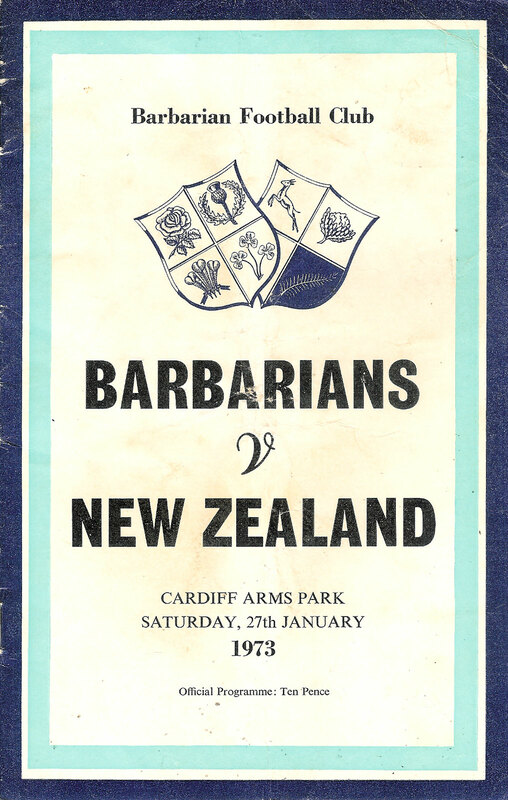 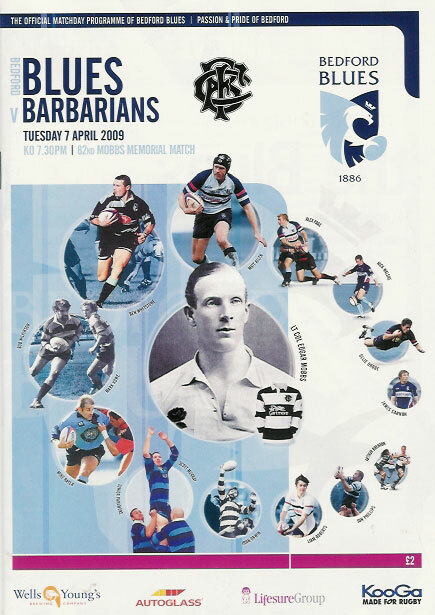 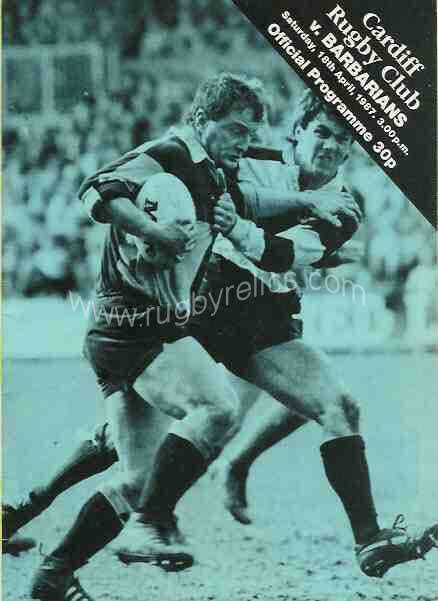 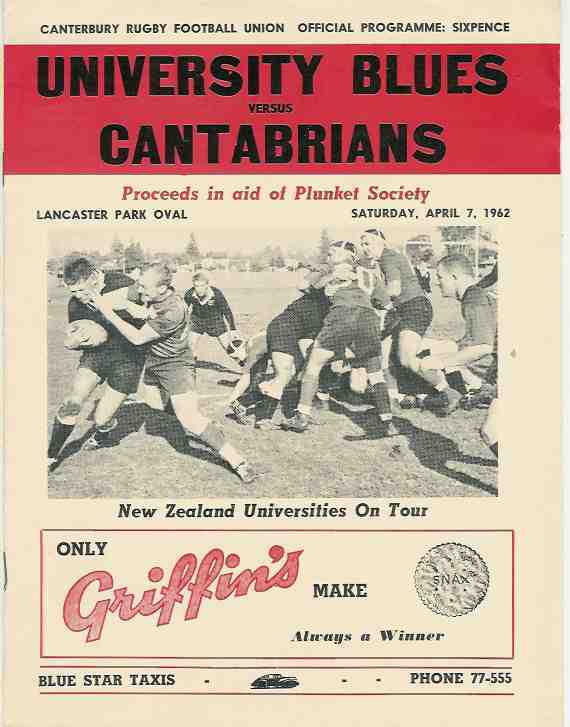 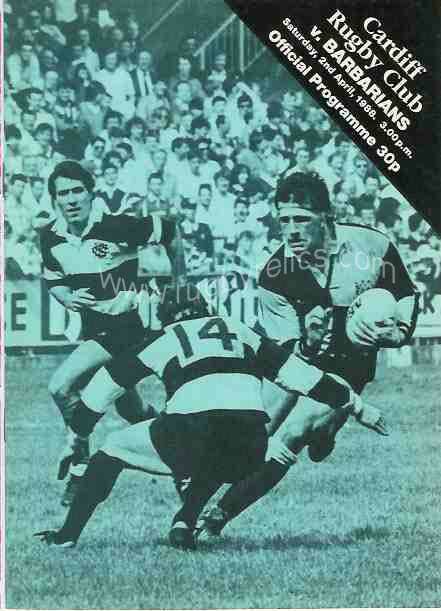 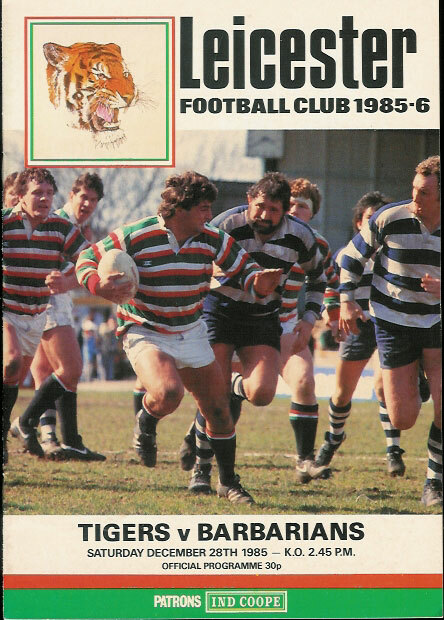 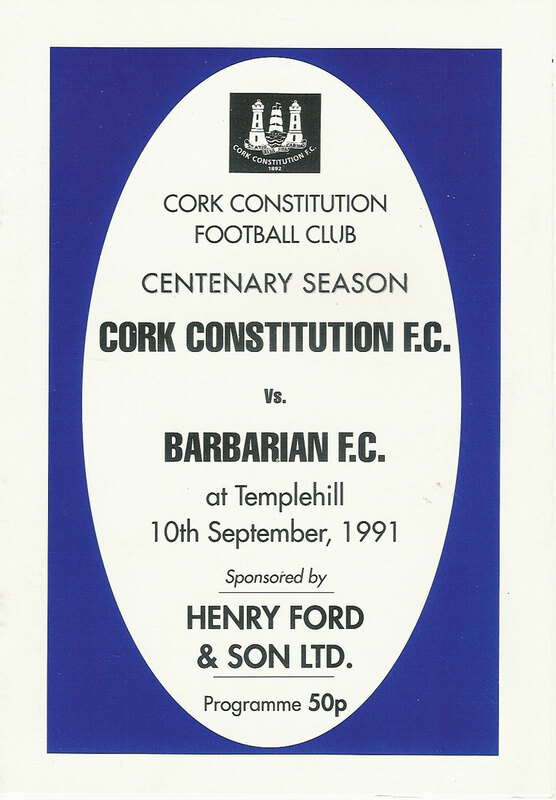 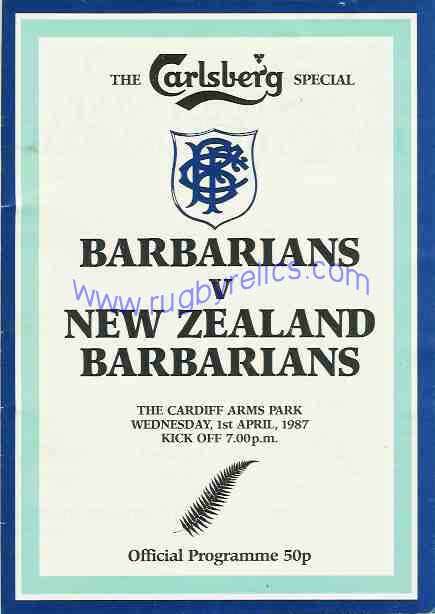 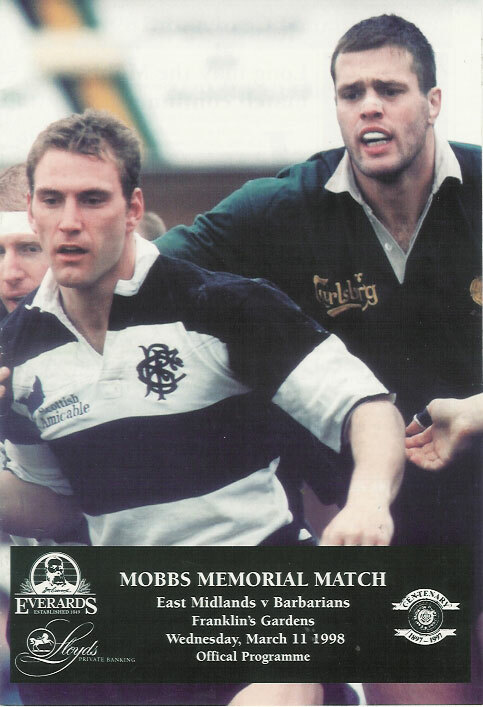 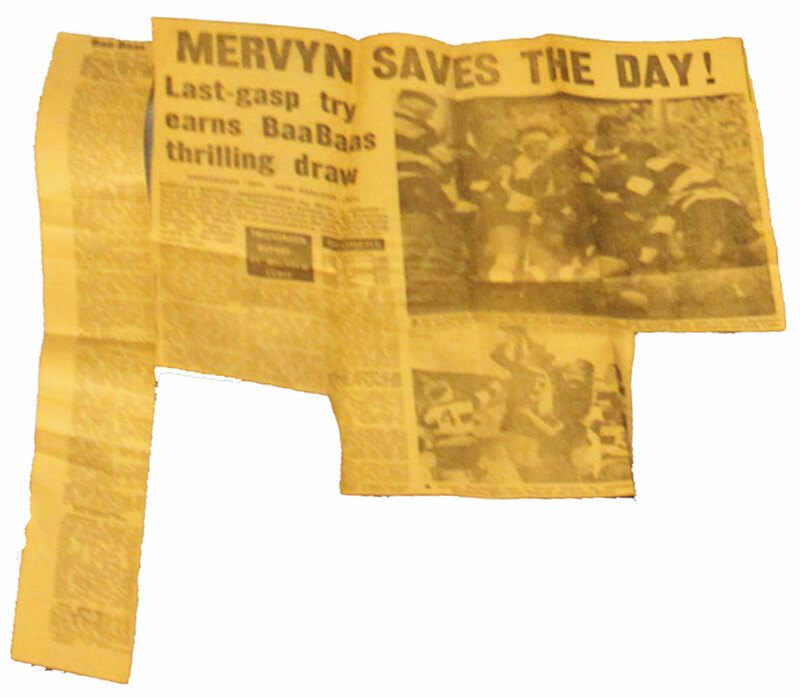 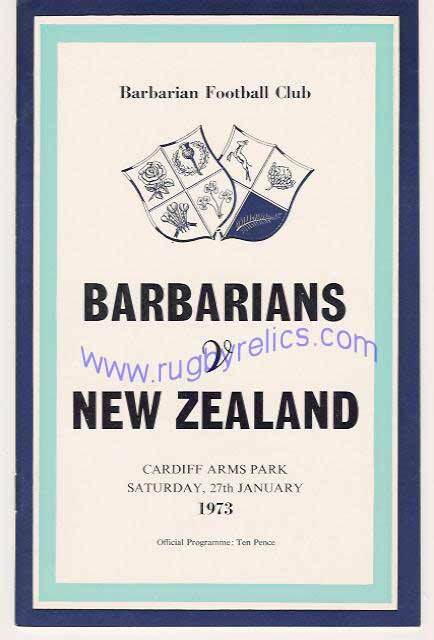 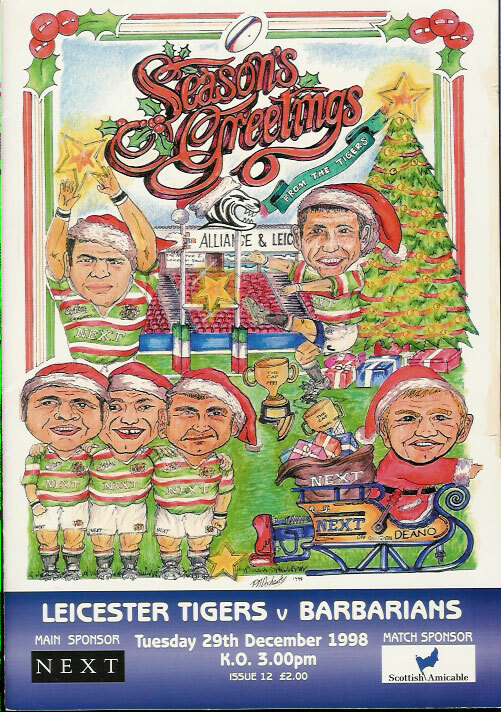 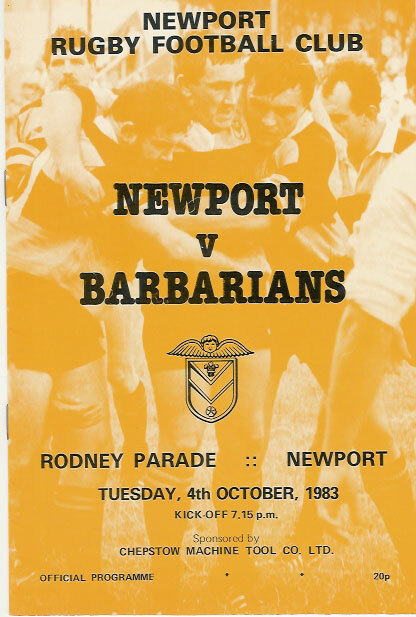 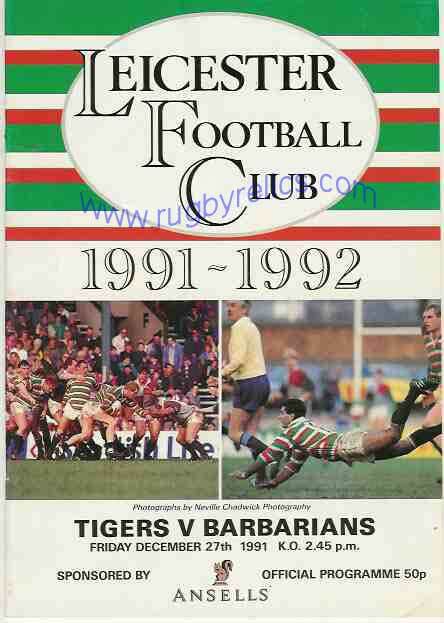 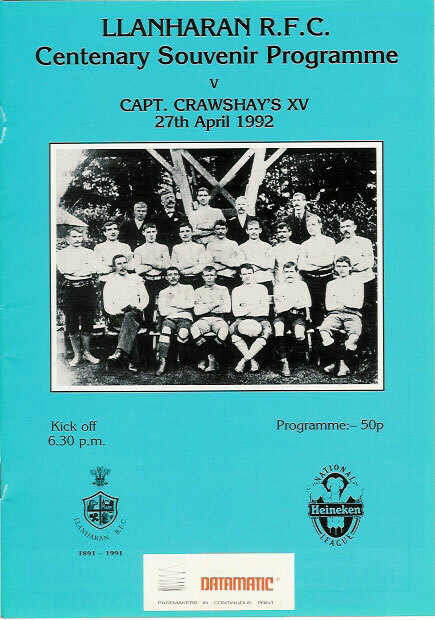 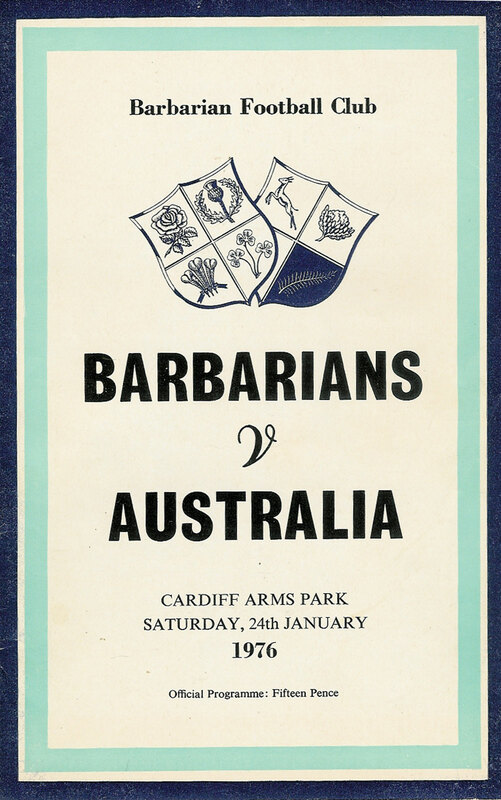 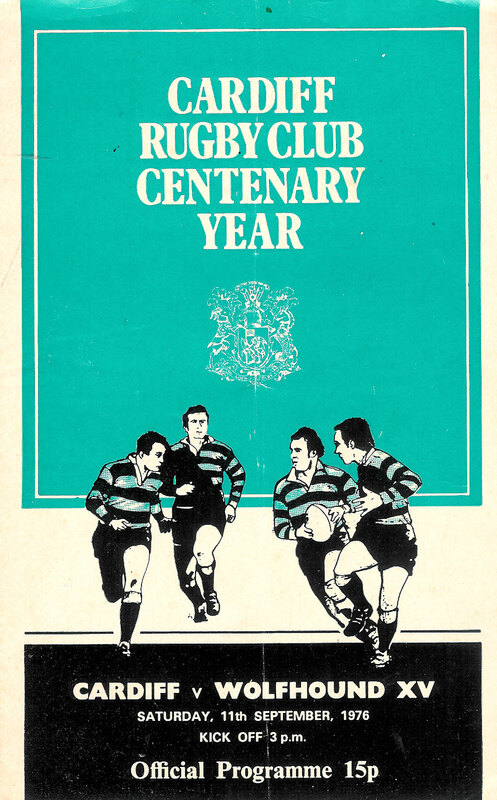 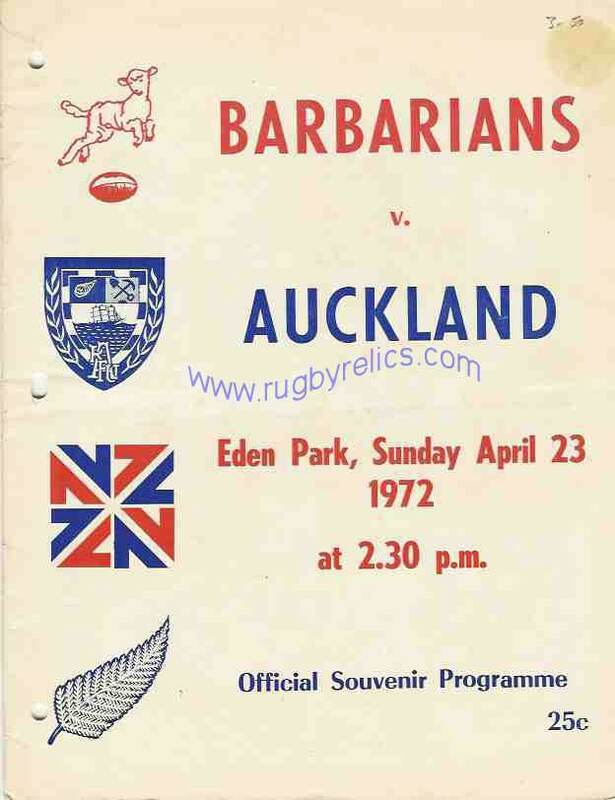 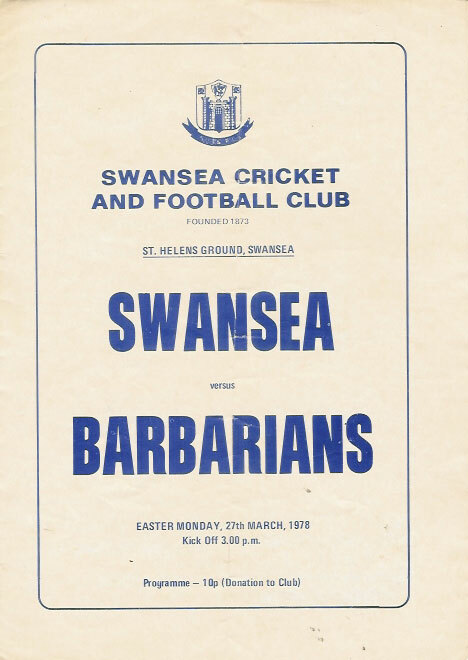 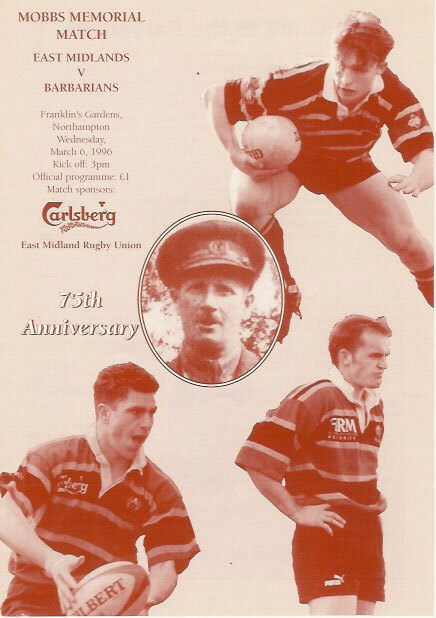 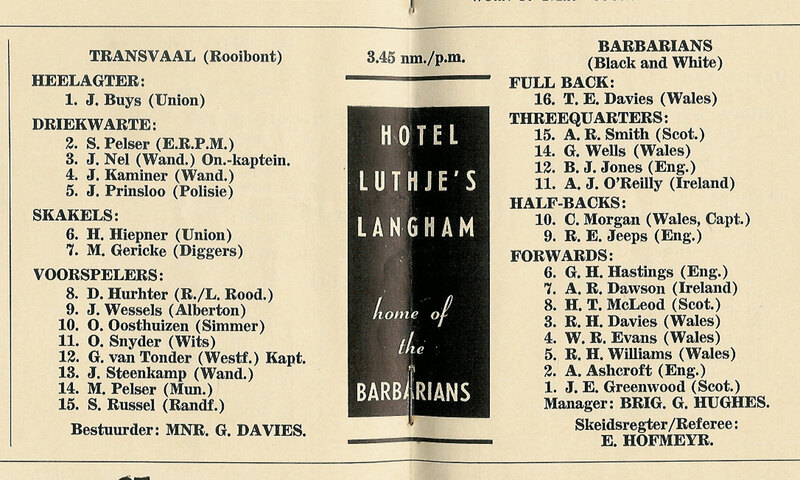 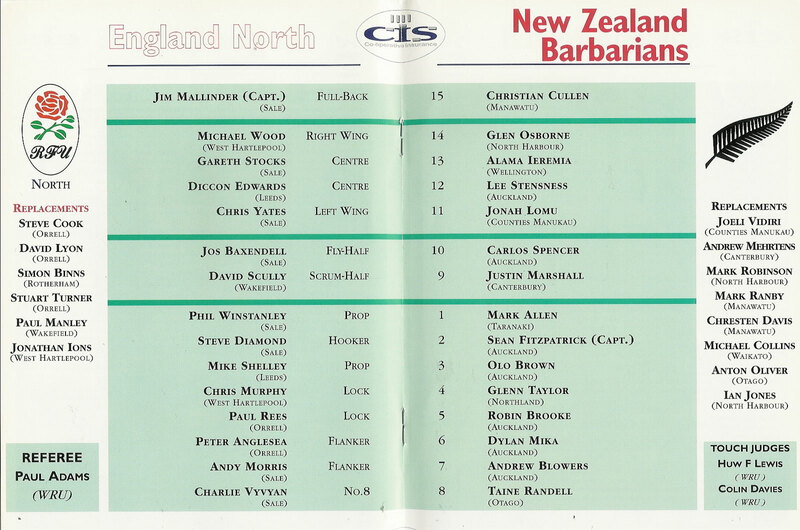 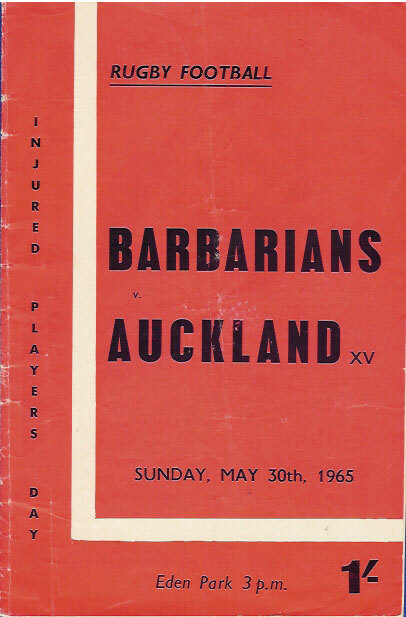 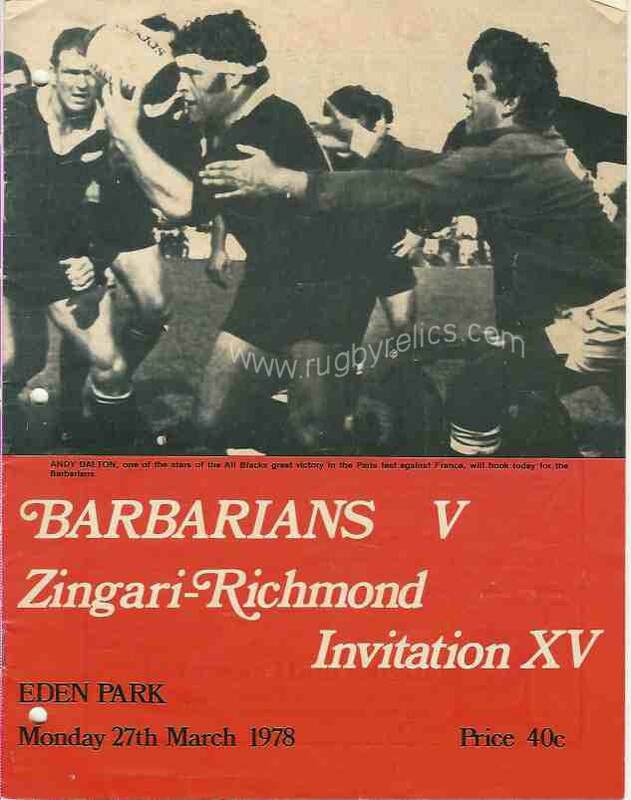 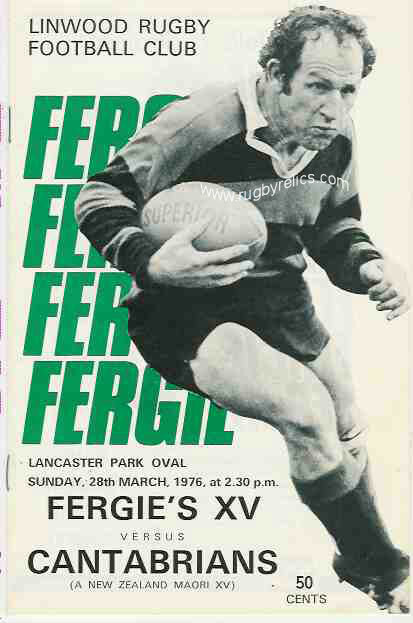 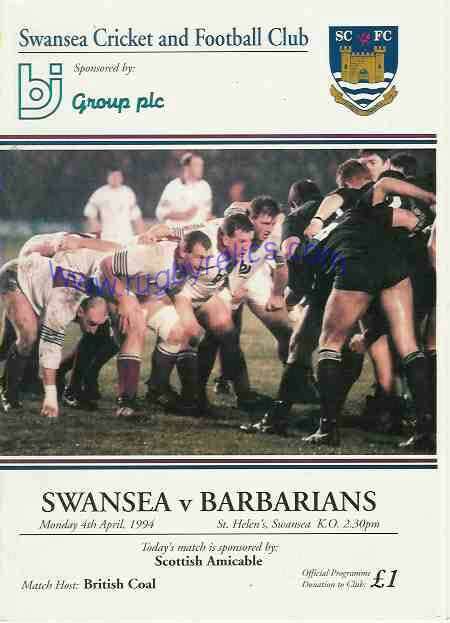 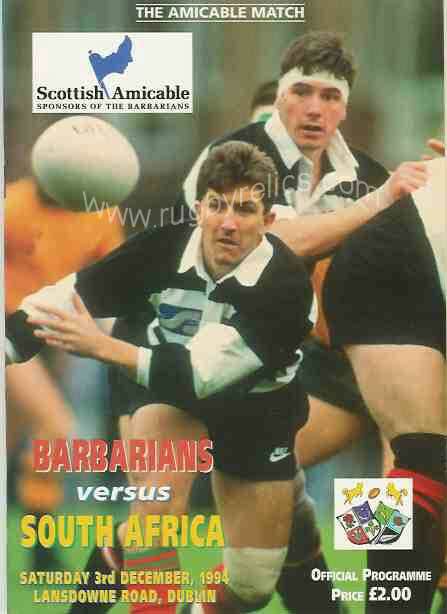 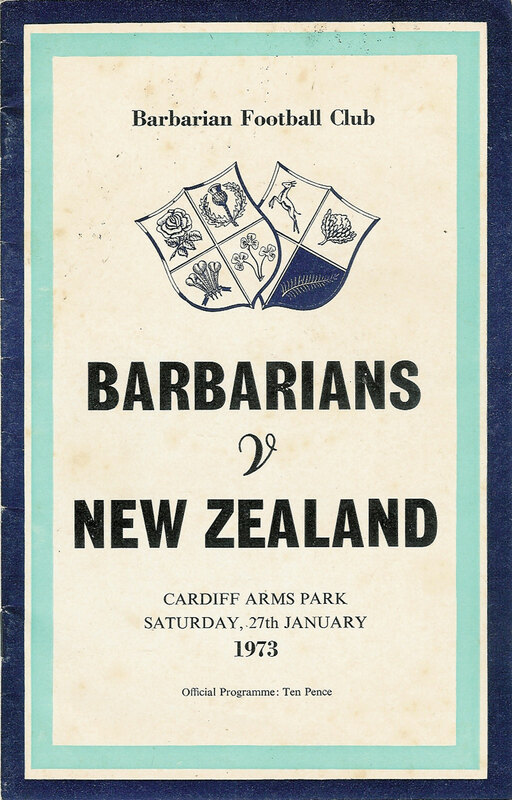 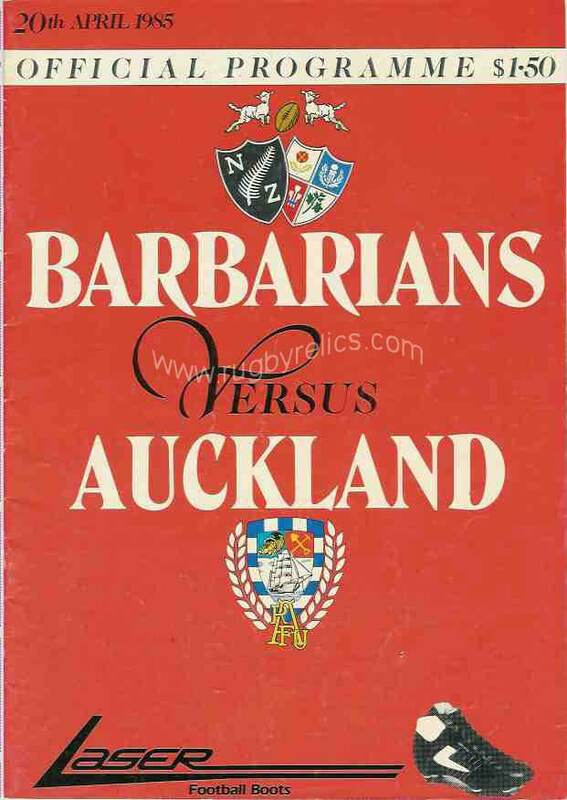 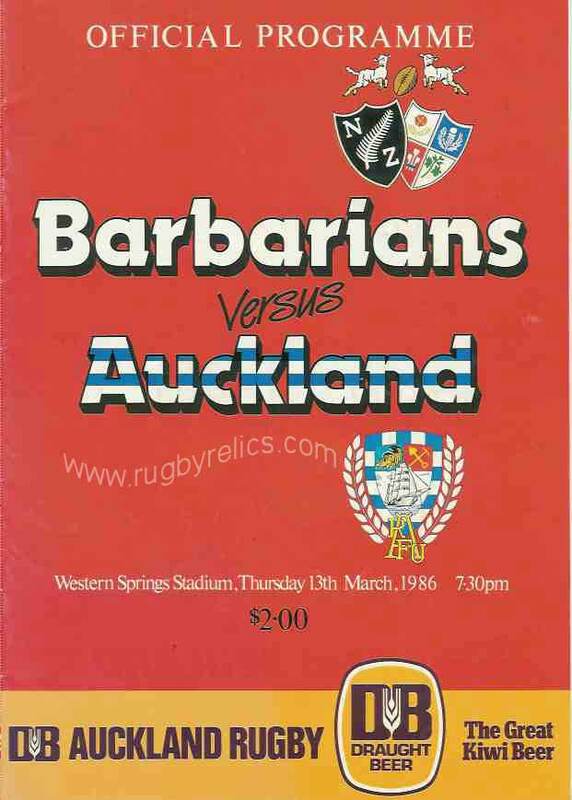 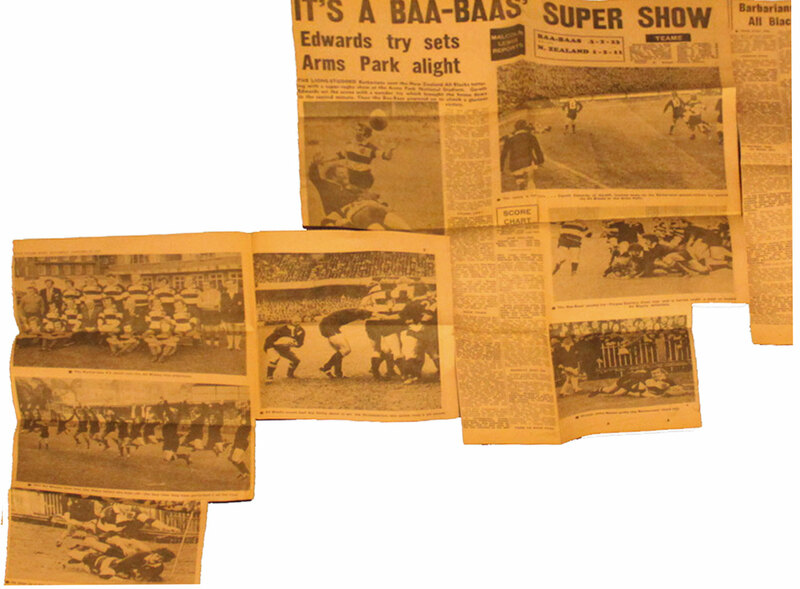 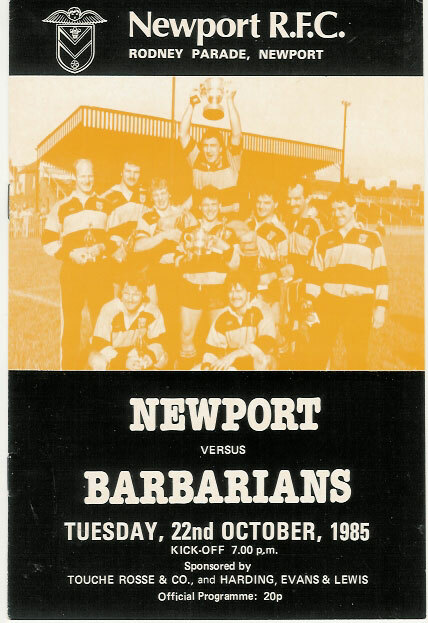 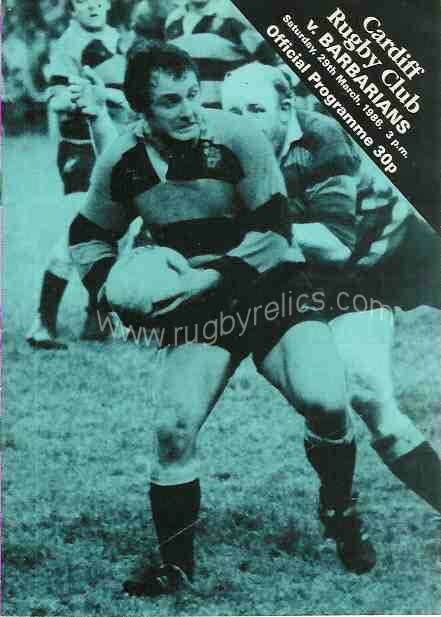 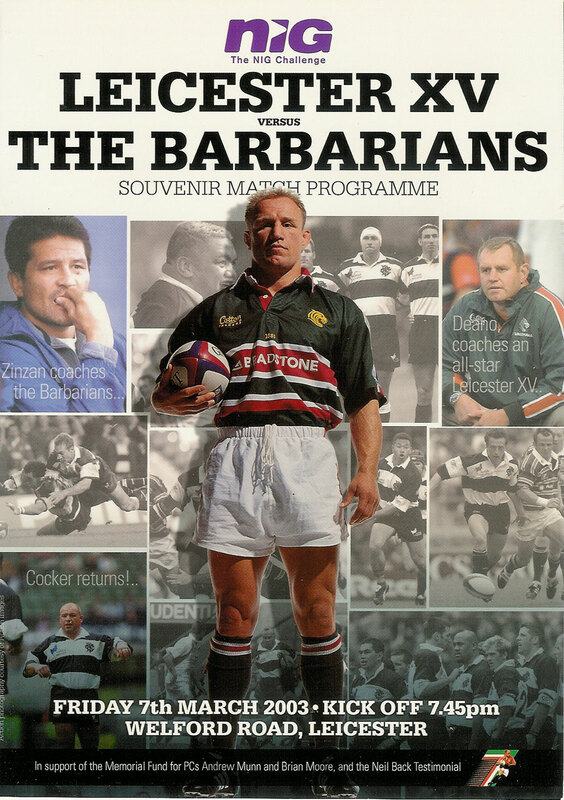 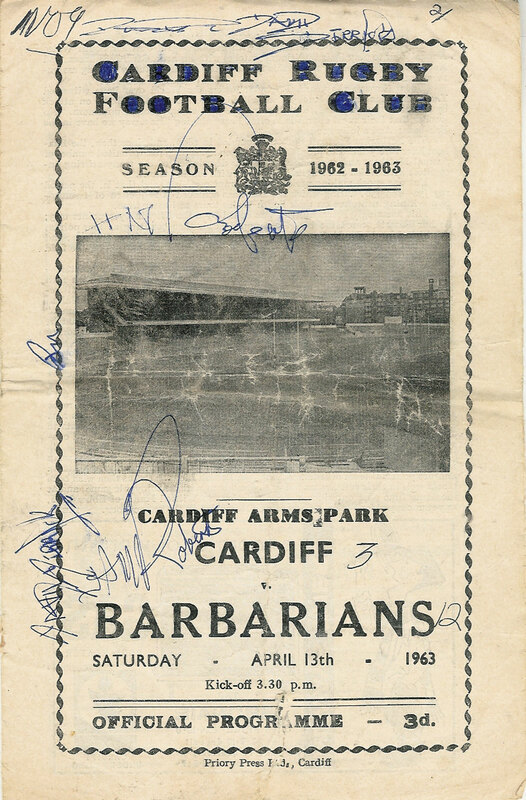 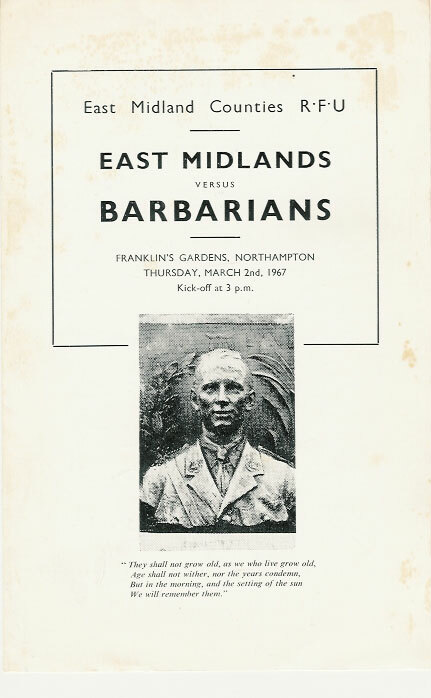 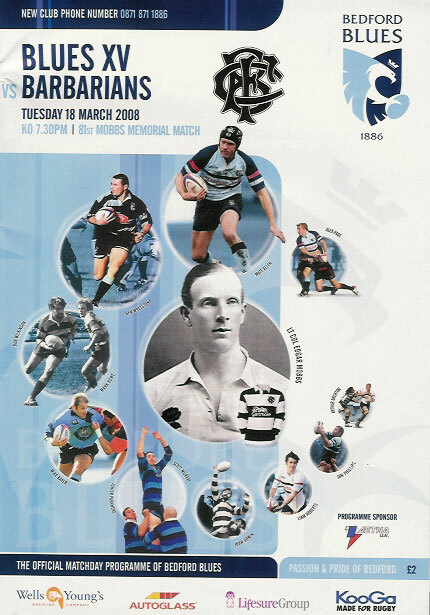 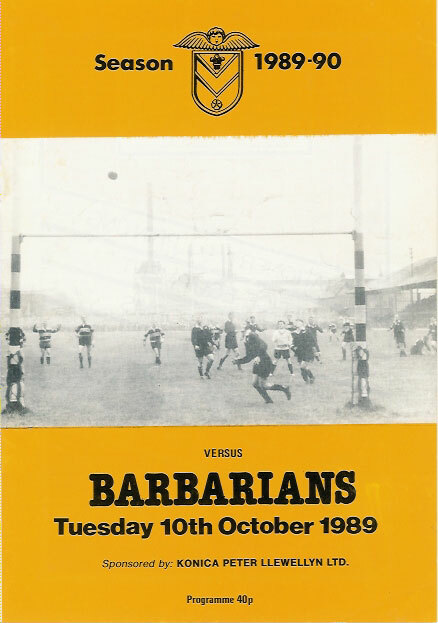 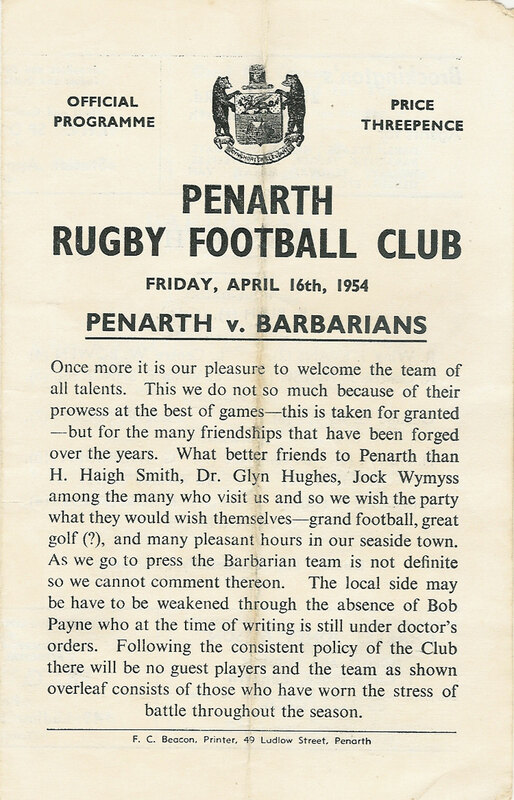 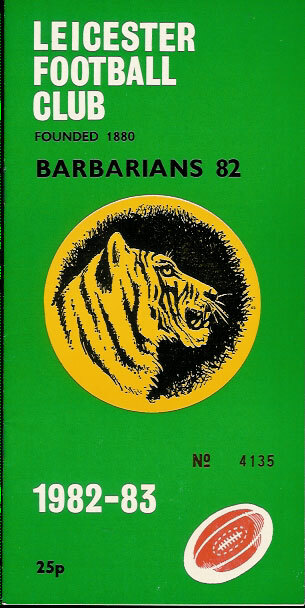 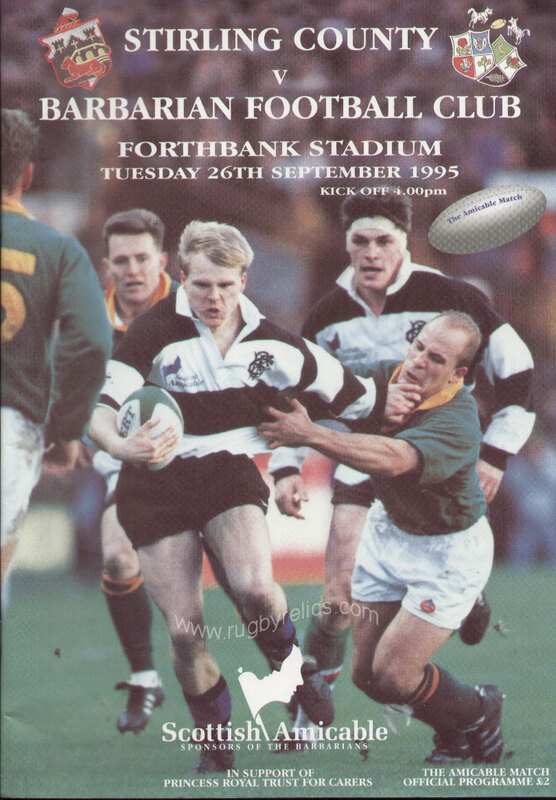 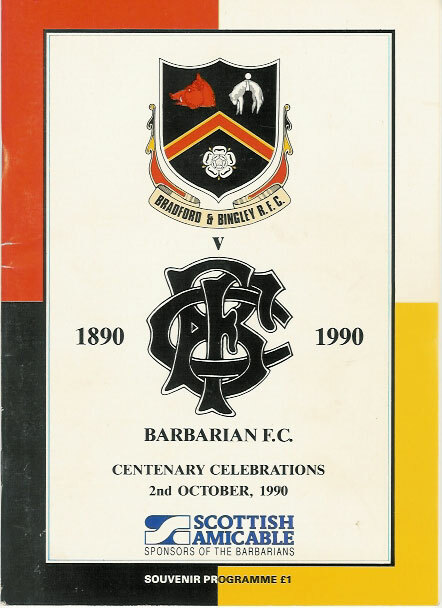 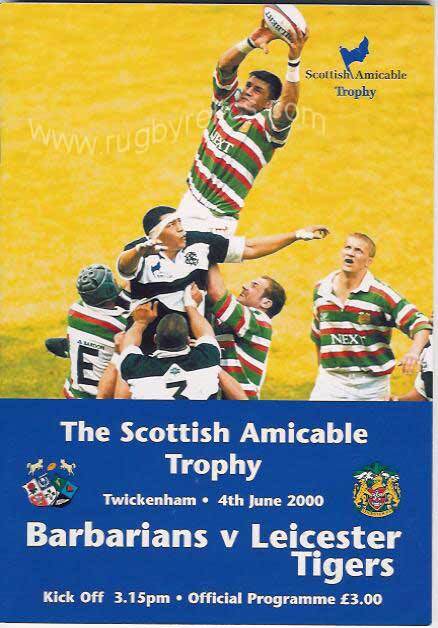 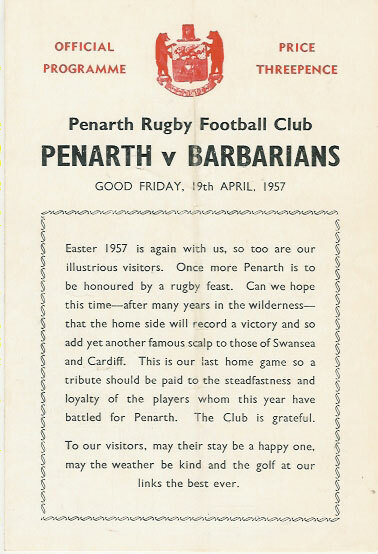 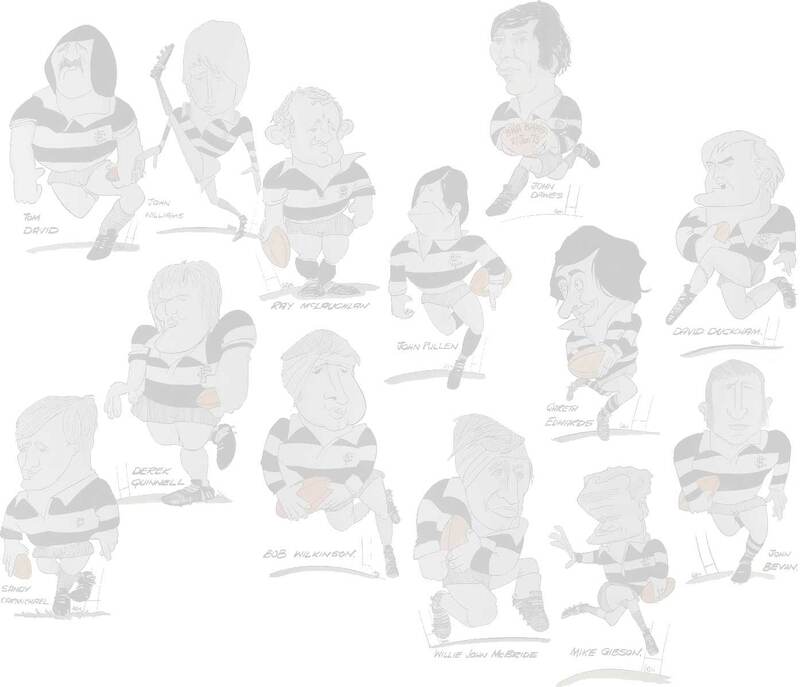 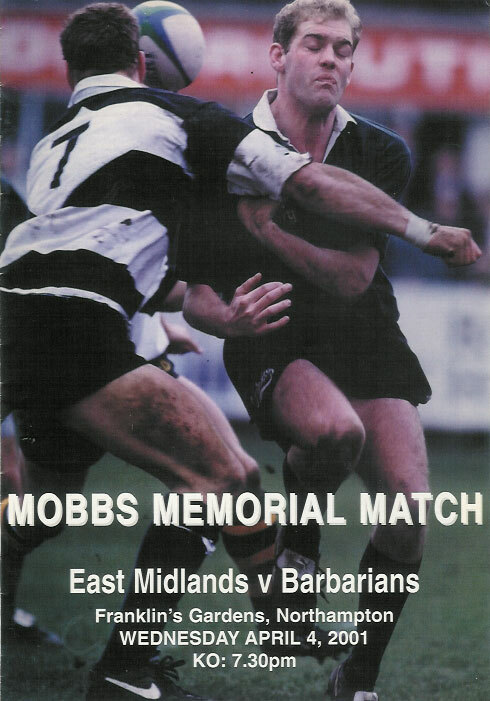 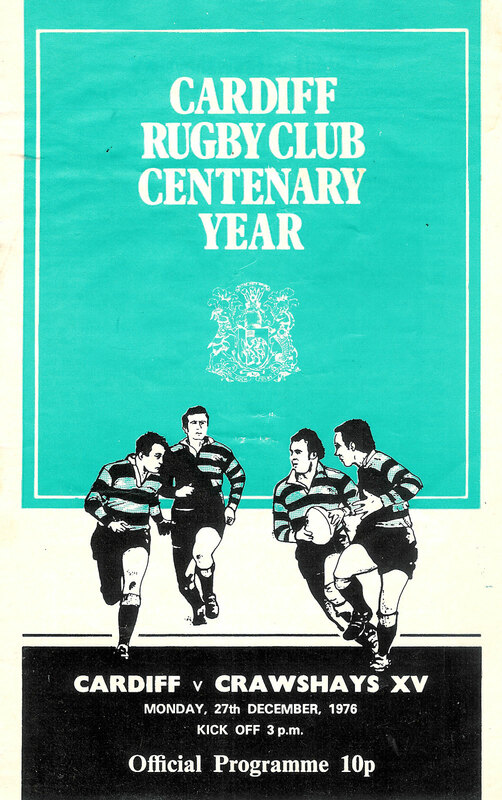 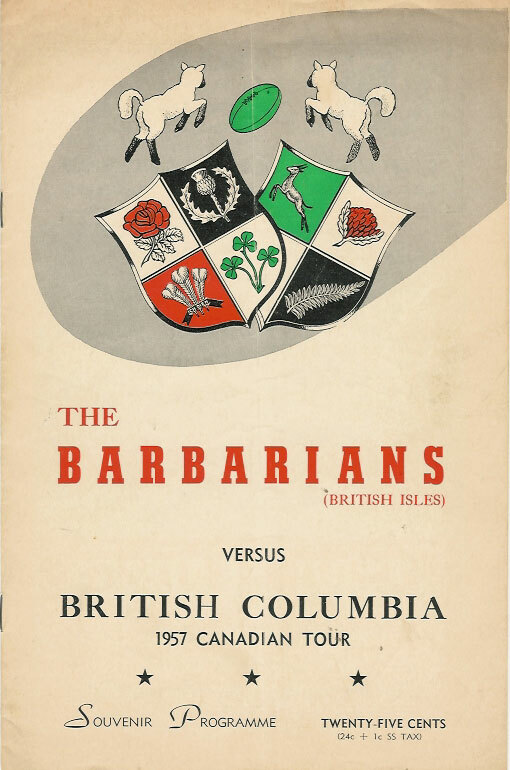 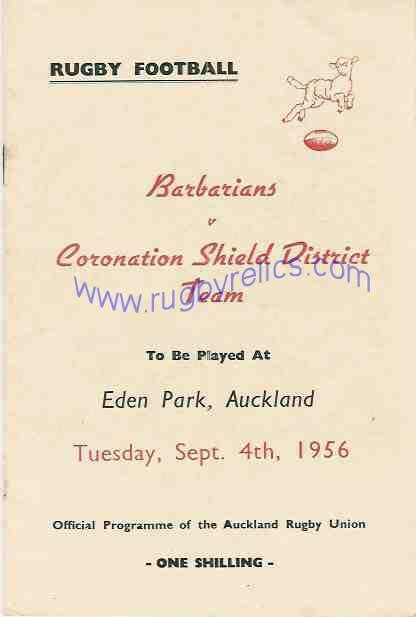 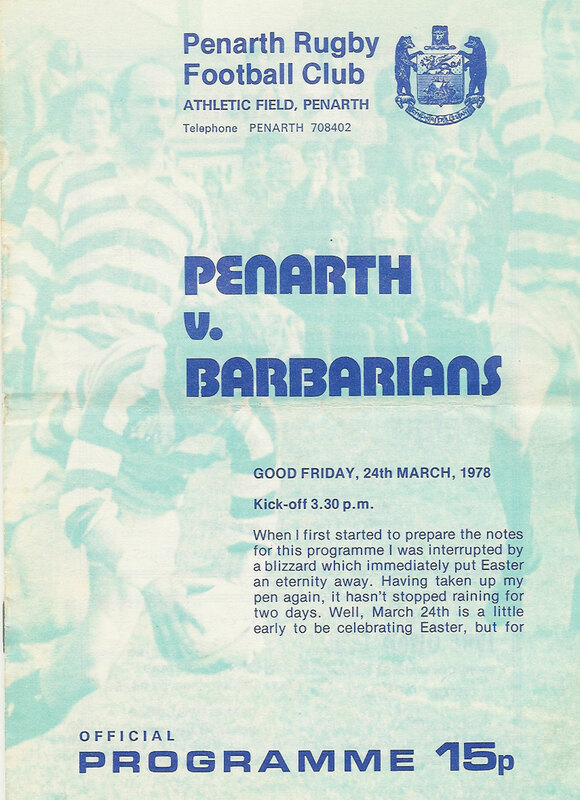 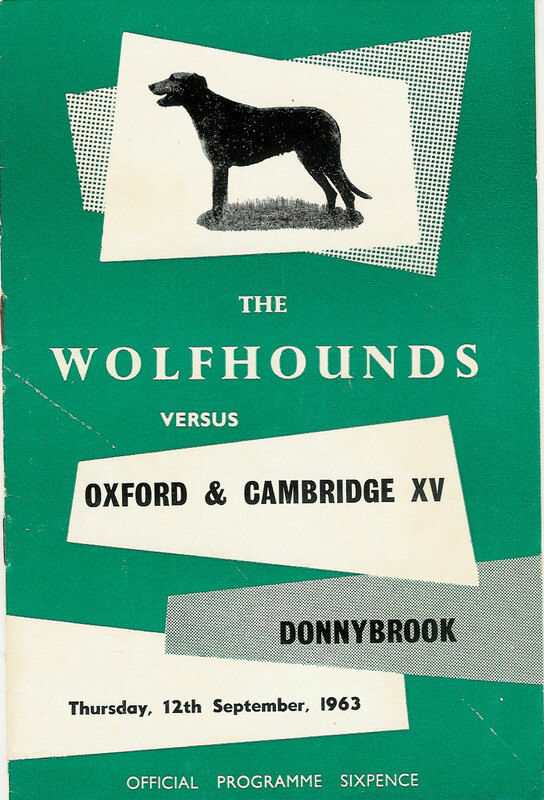 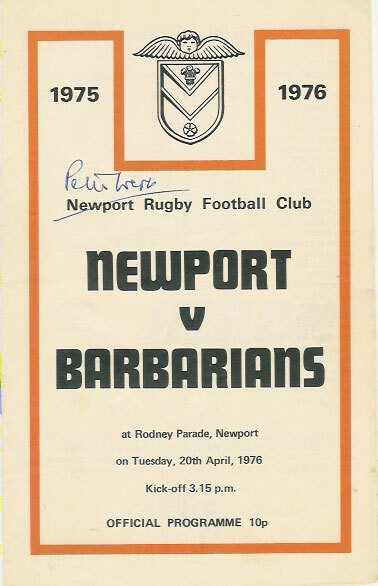 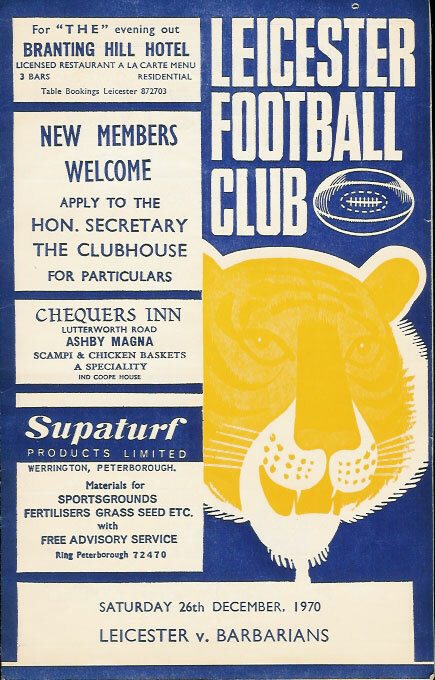 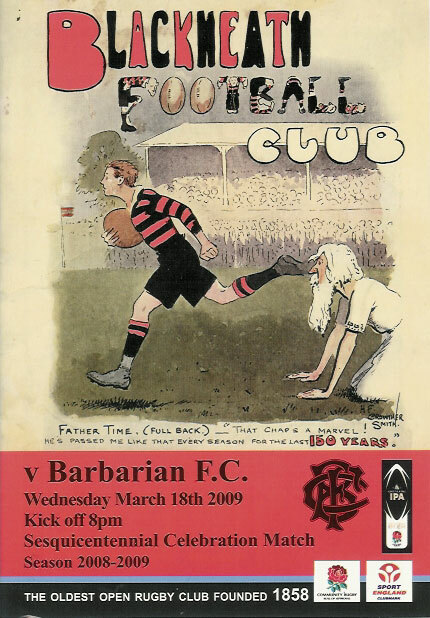 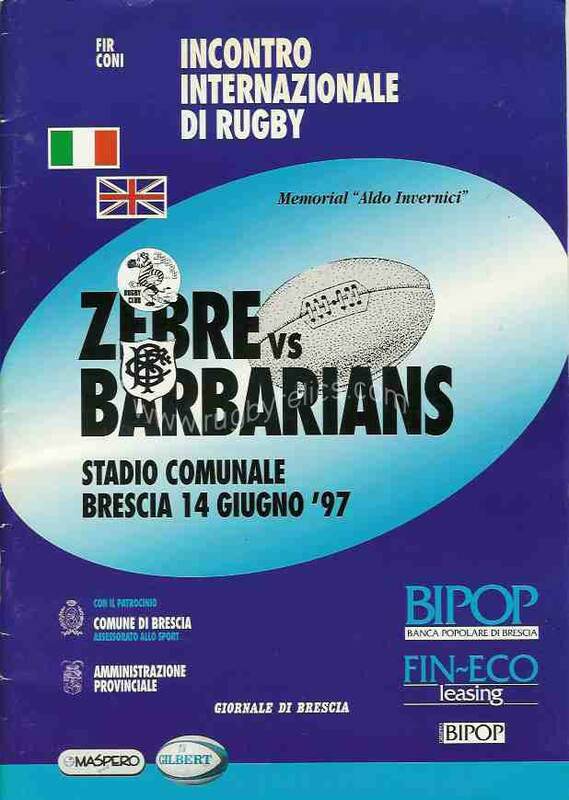 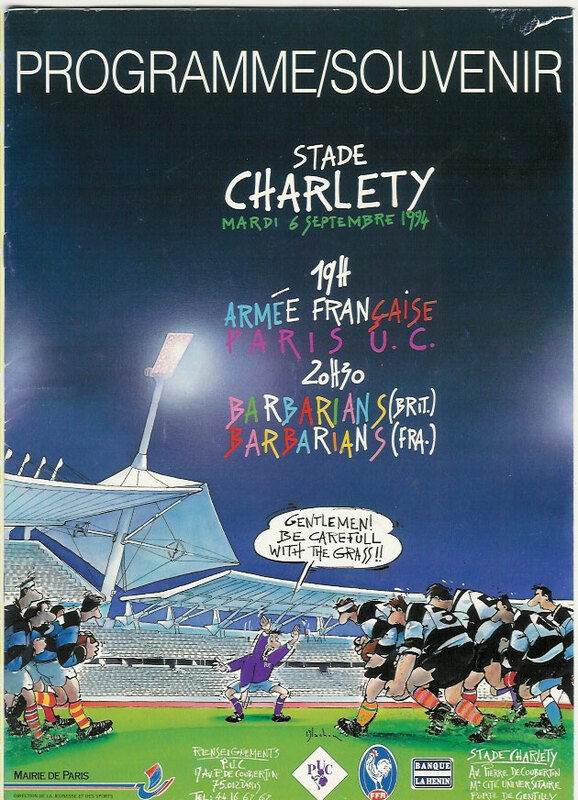 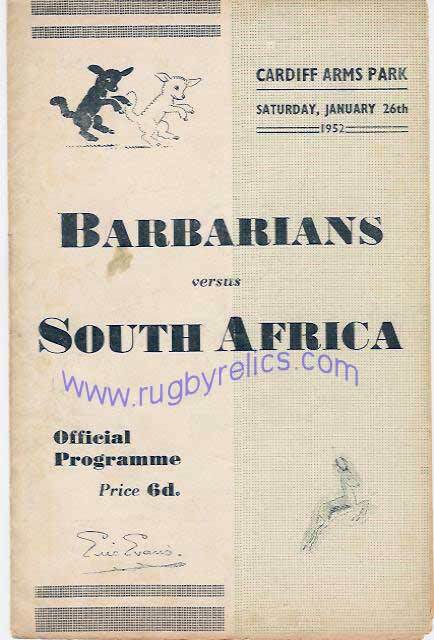 Please click on the links below to view books, publications, autographed programmes & menu cards and memorabilia from overseas Barbarians teams and other Barbarians style teams.